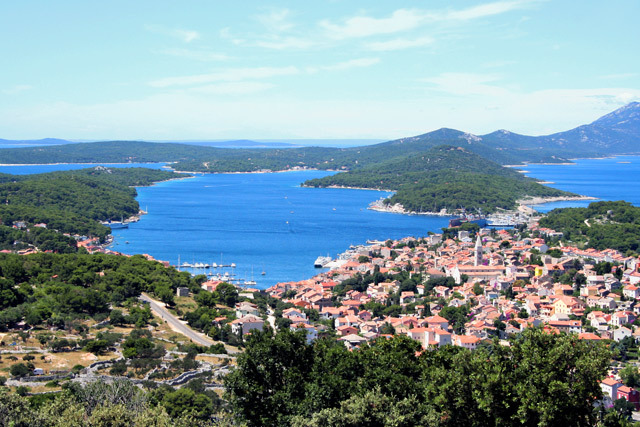 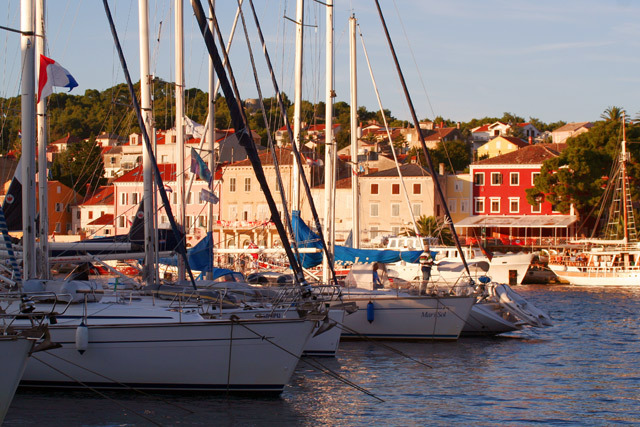 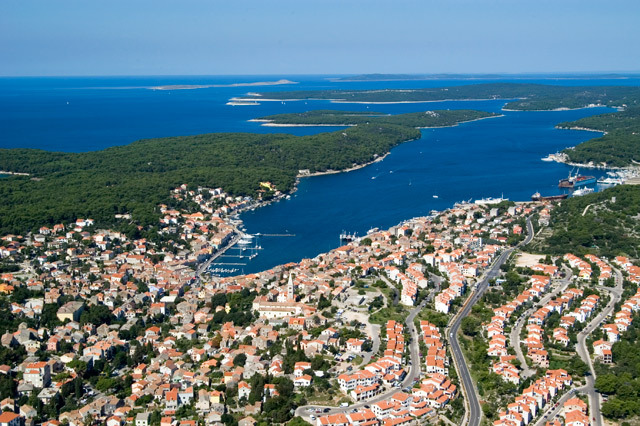 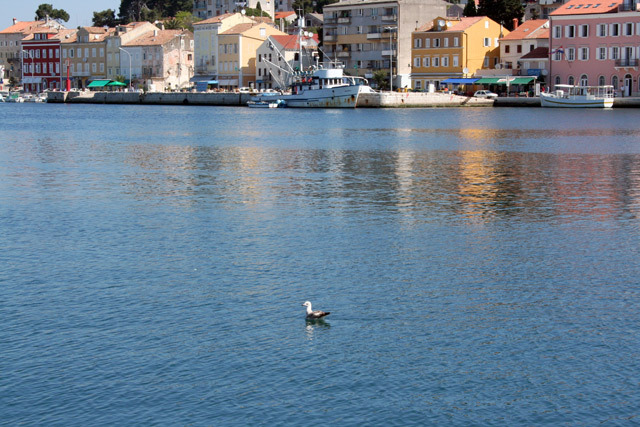 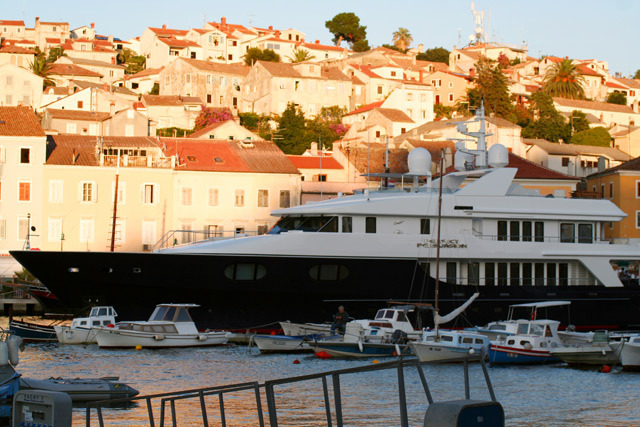 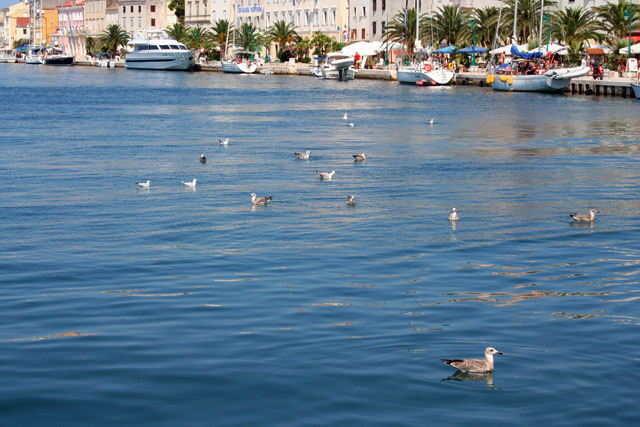 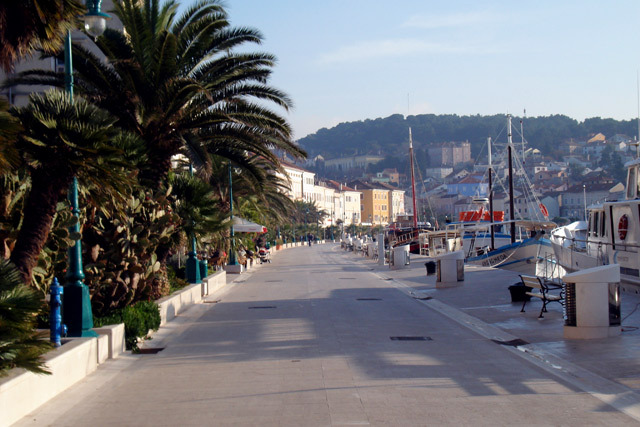 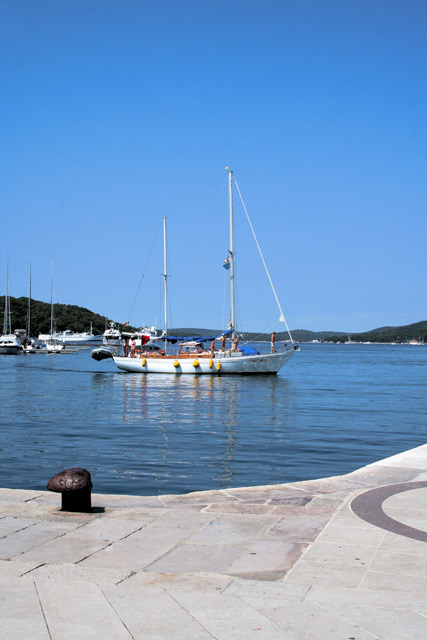 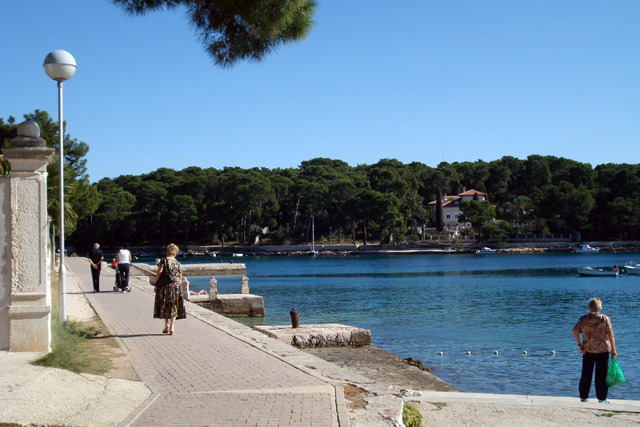 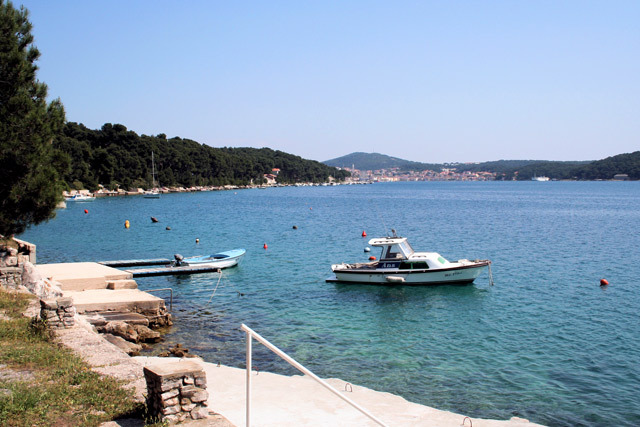 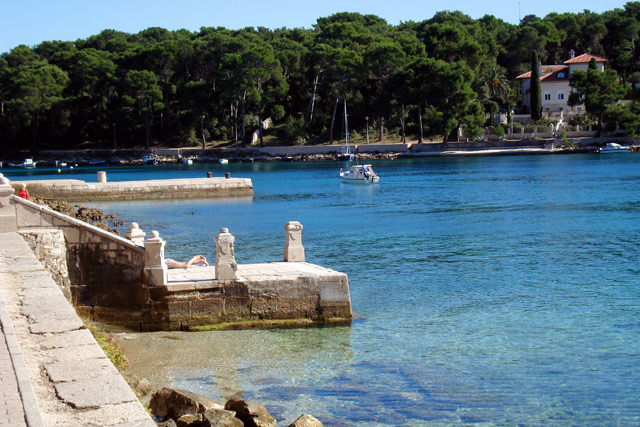 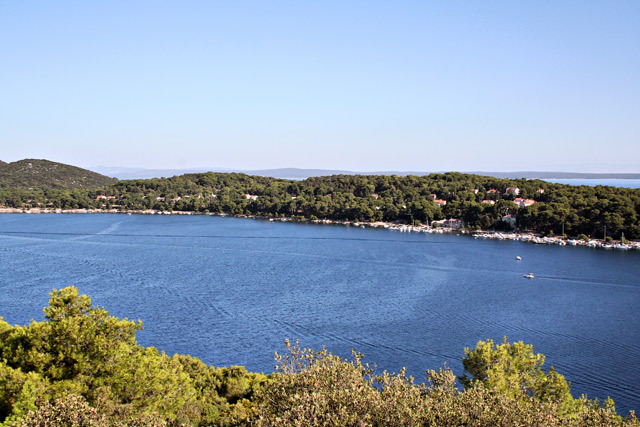 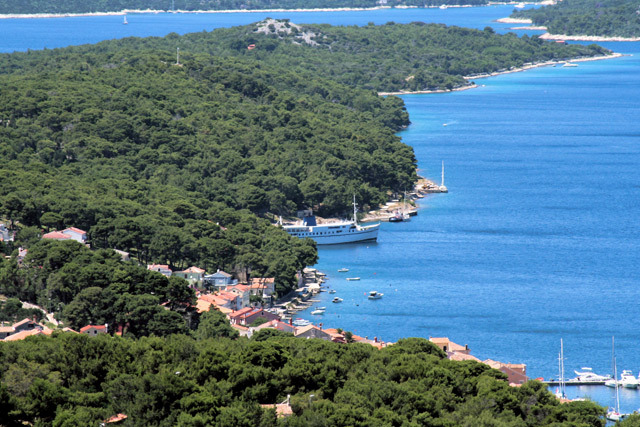 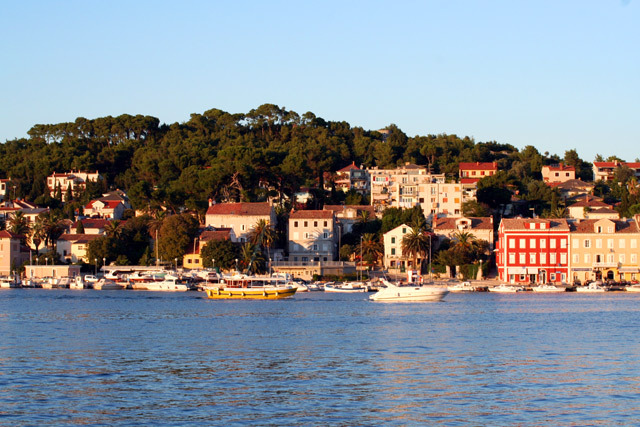 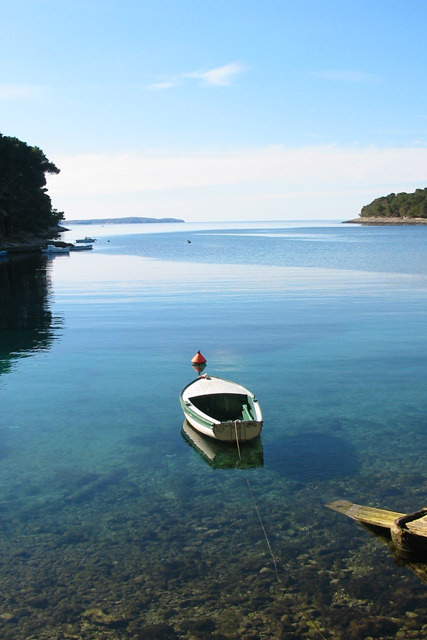 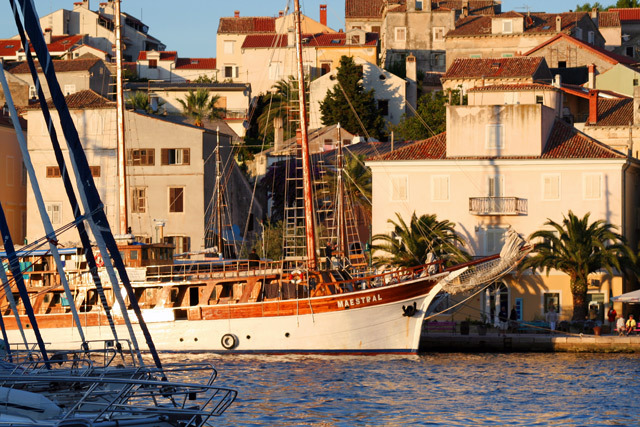 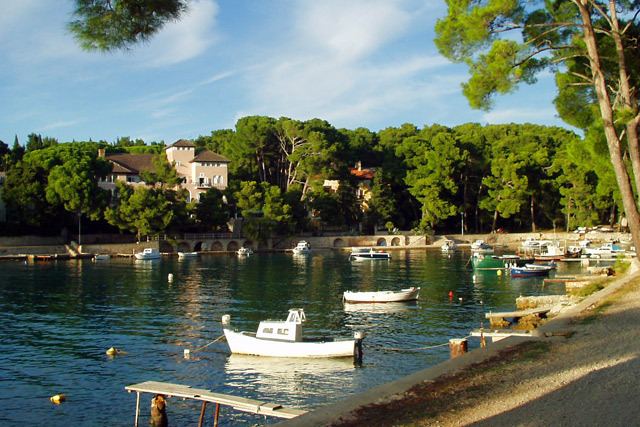 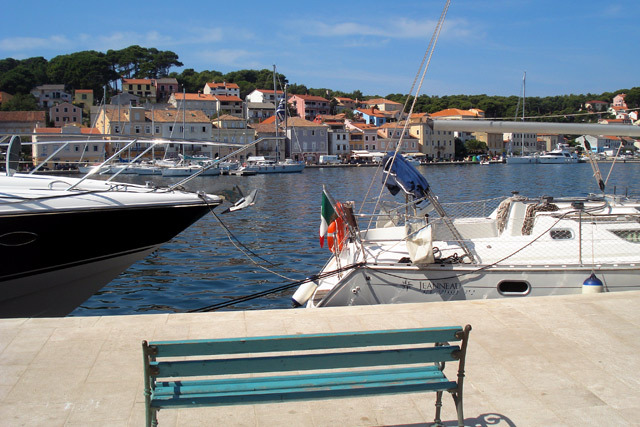 Mali Losinj is situated in the Augusta Cove, the largest closed cove of this archipelago. 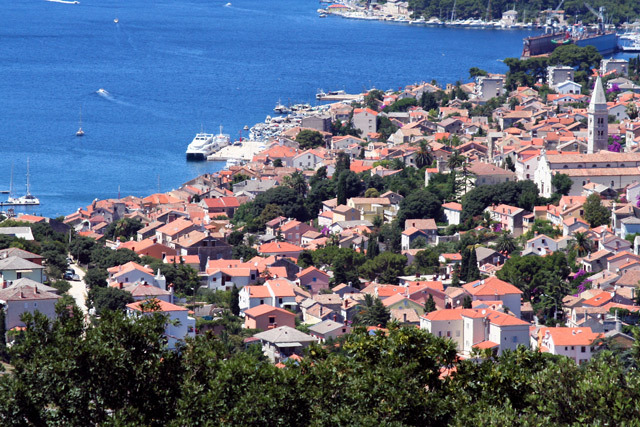 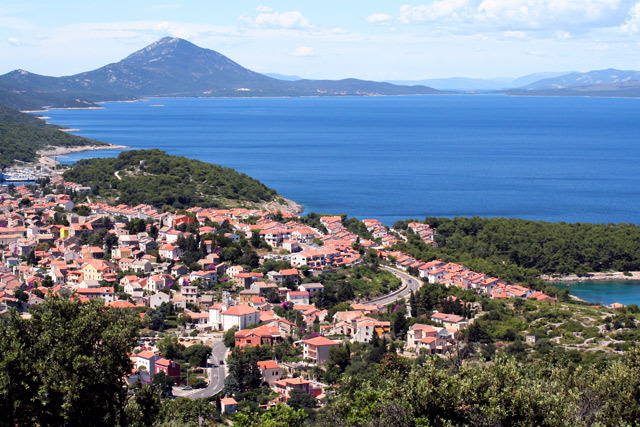 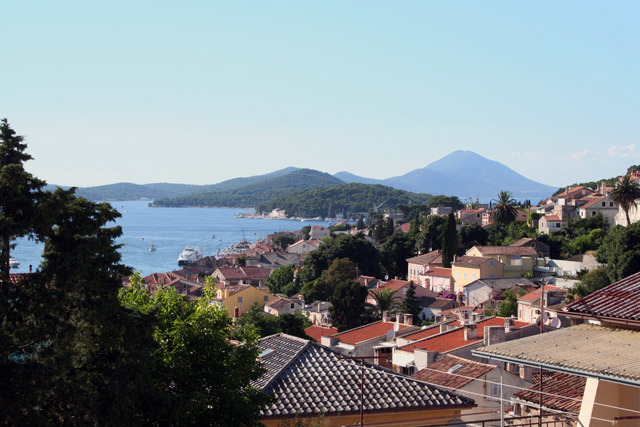 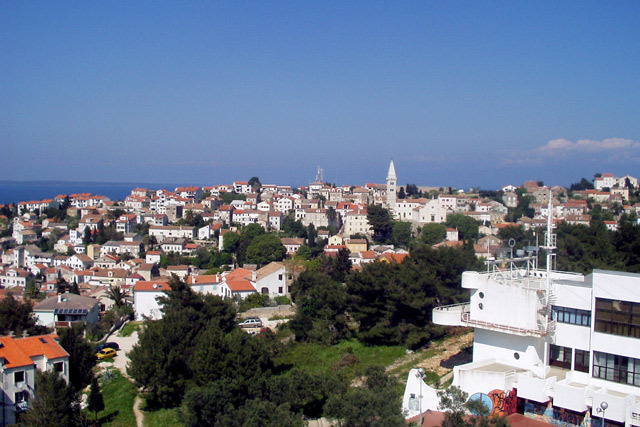 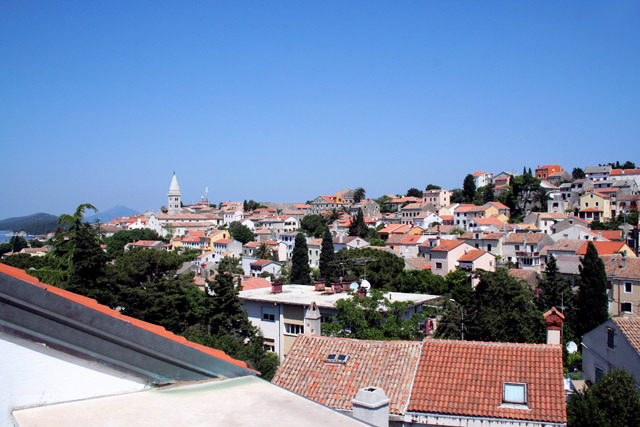 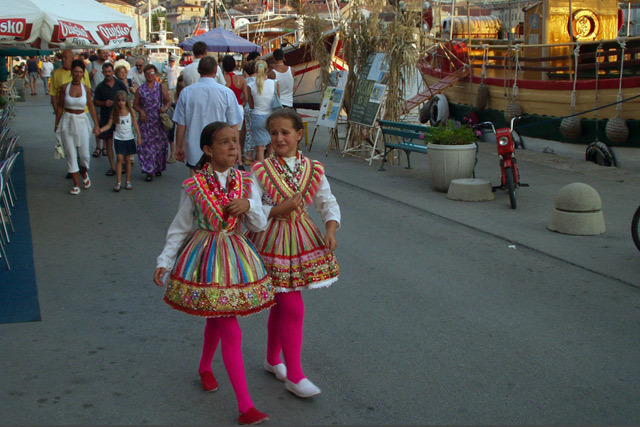 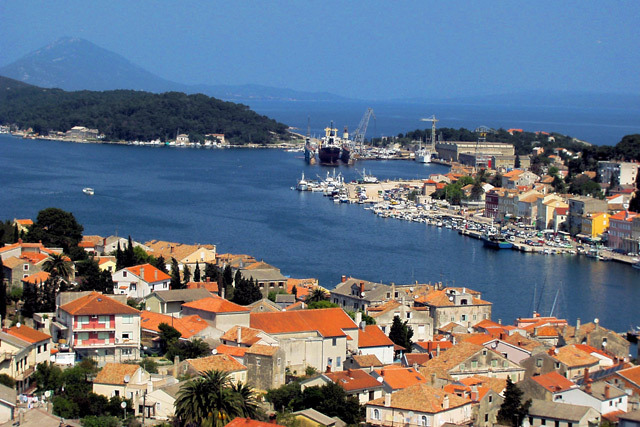 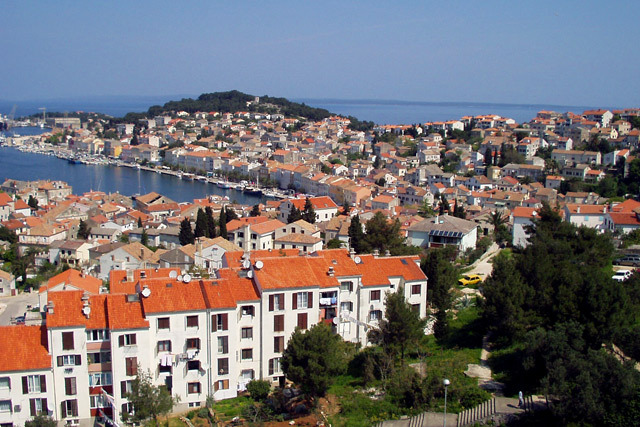 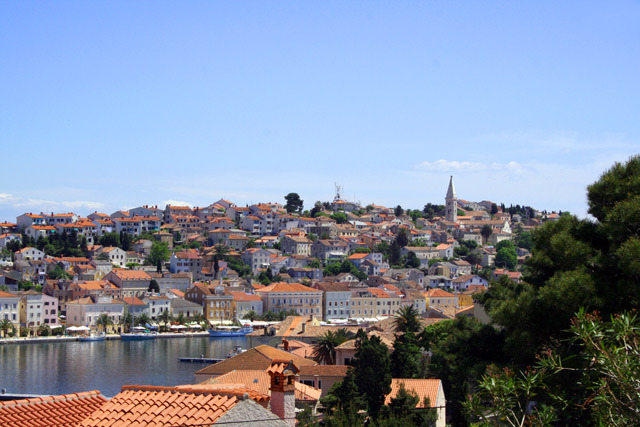 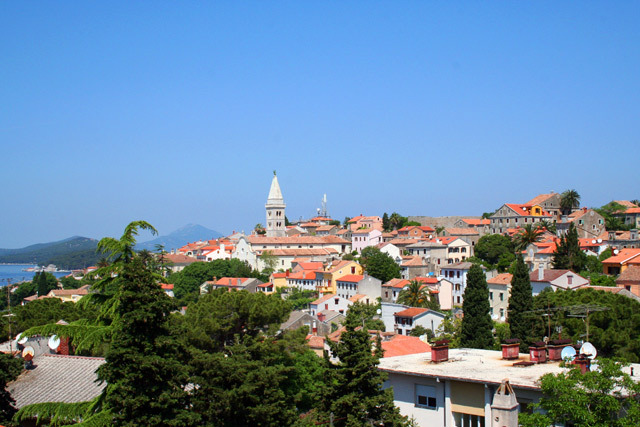 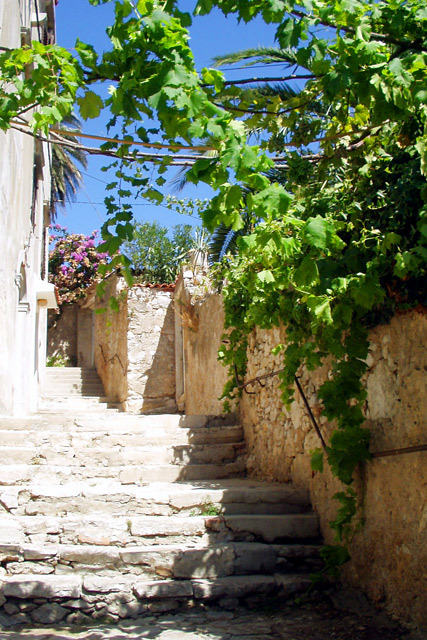 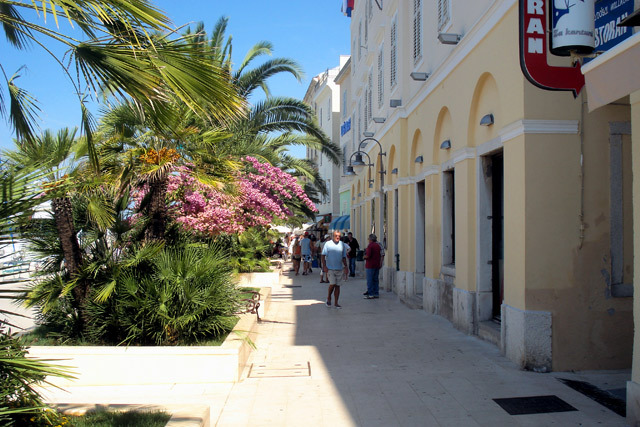 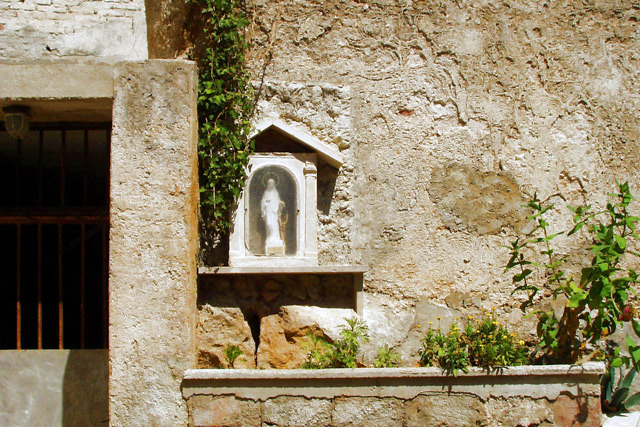 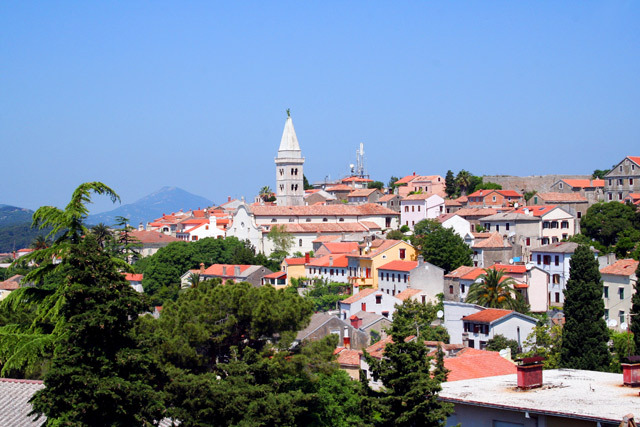 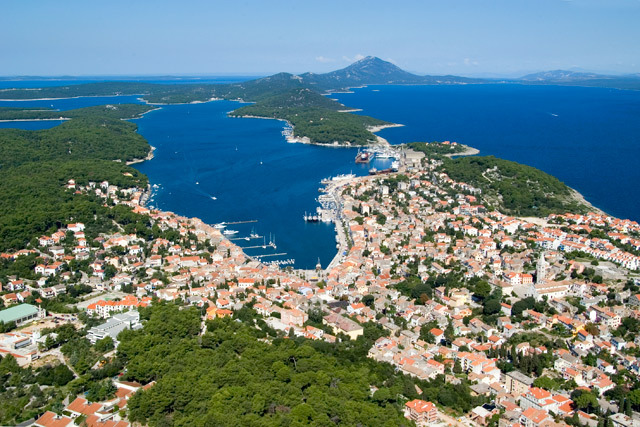 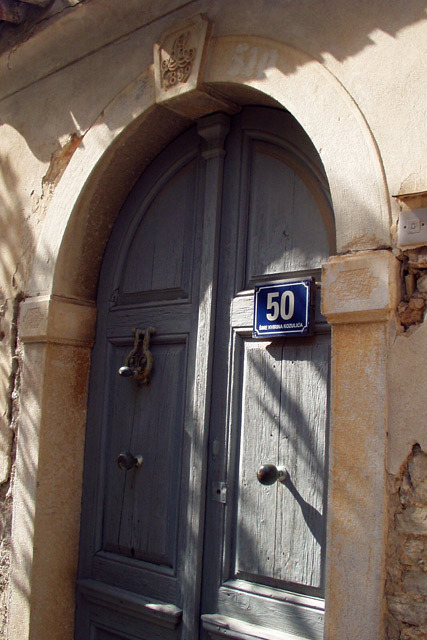 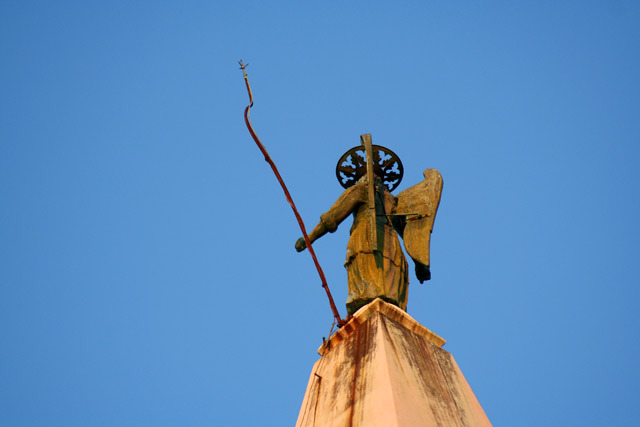 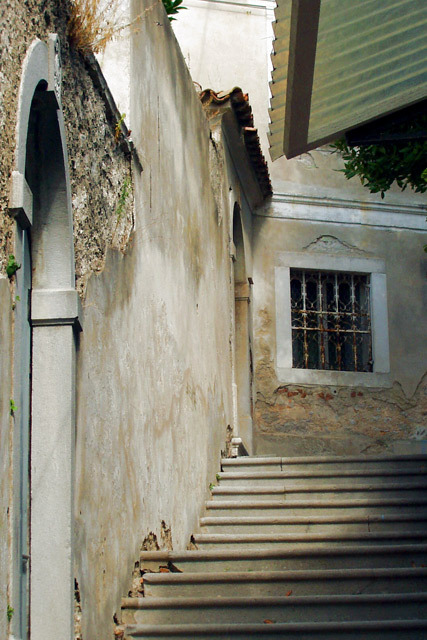 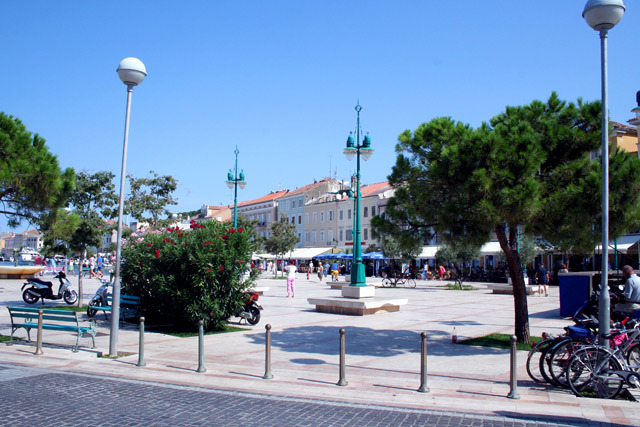 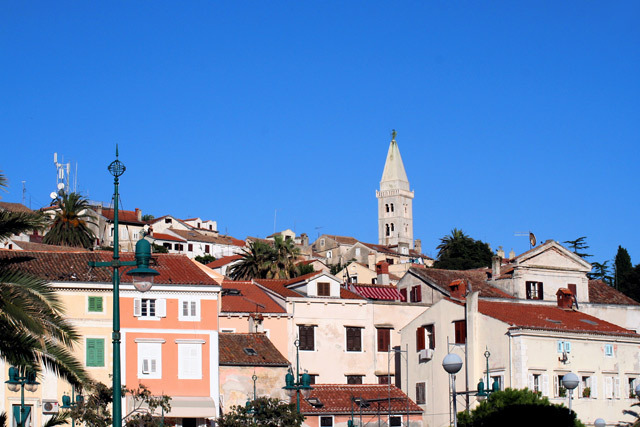 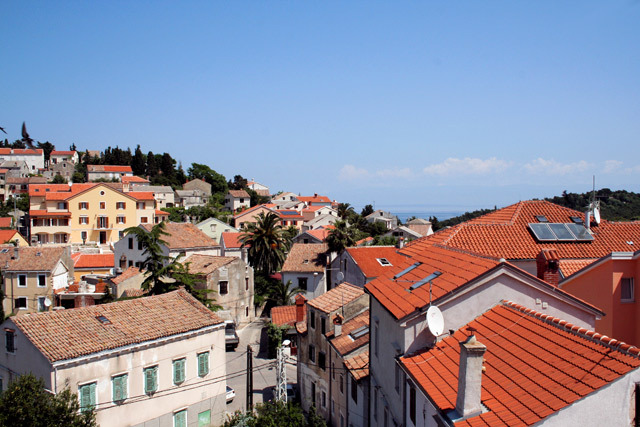 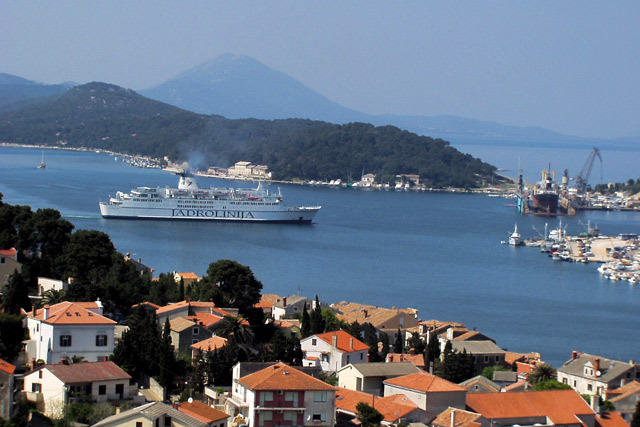 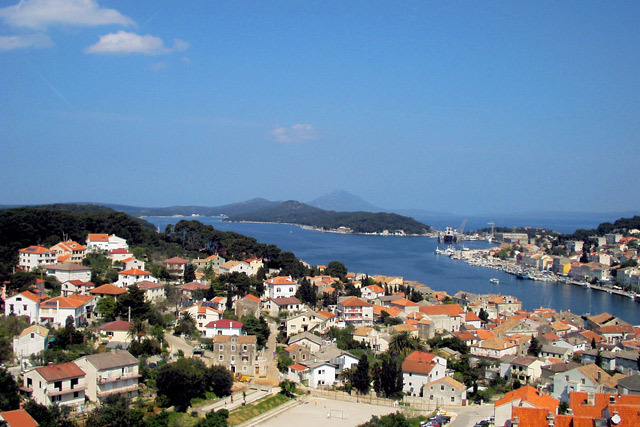 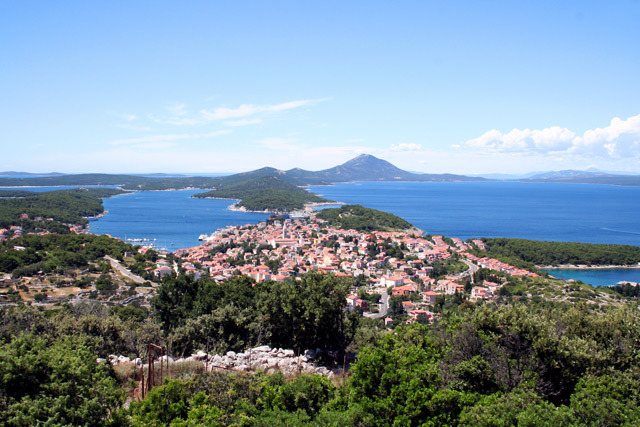 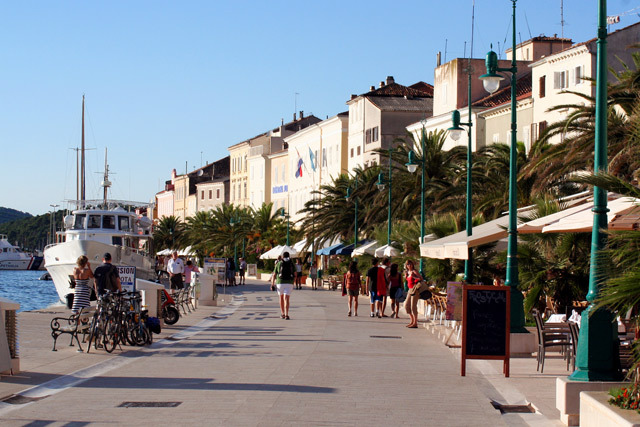 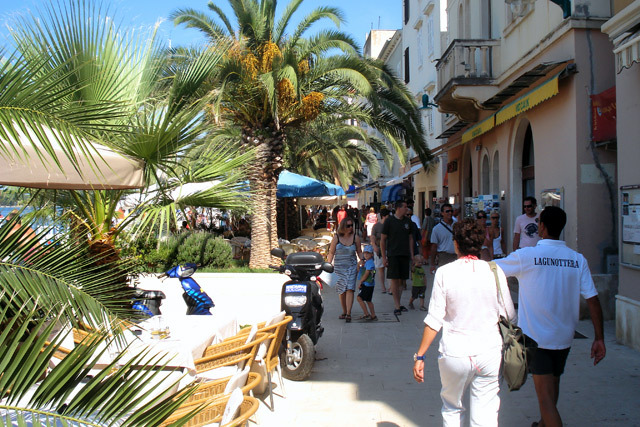 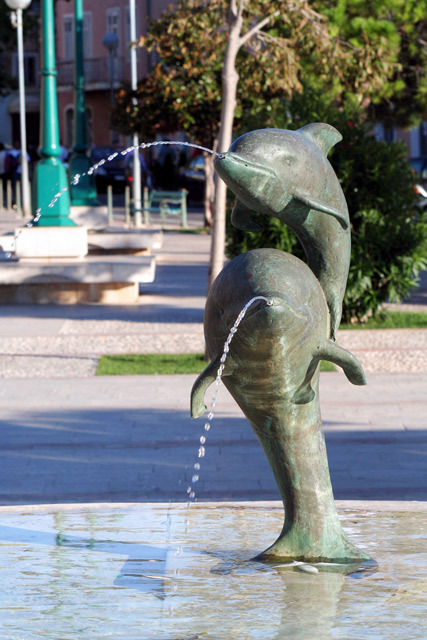 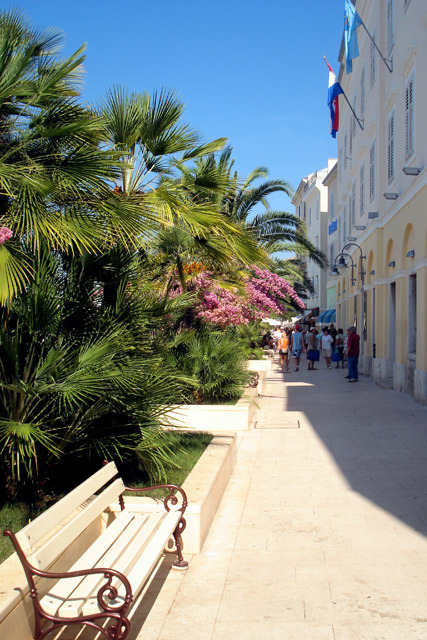 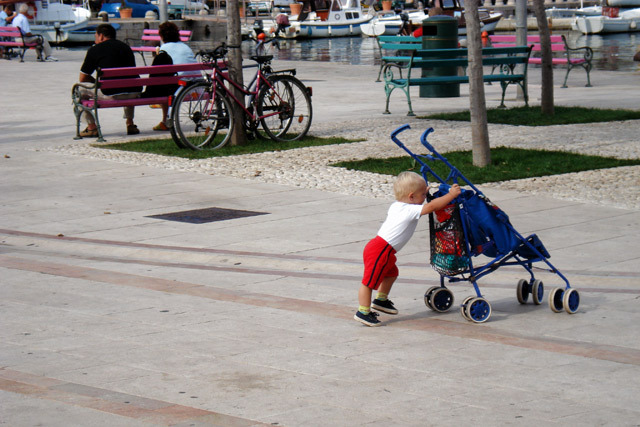 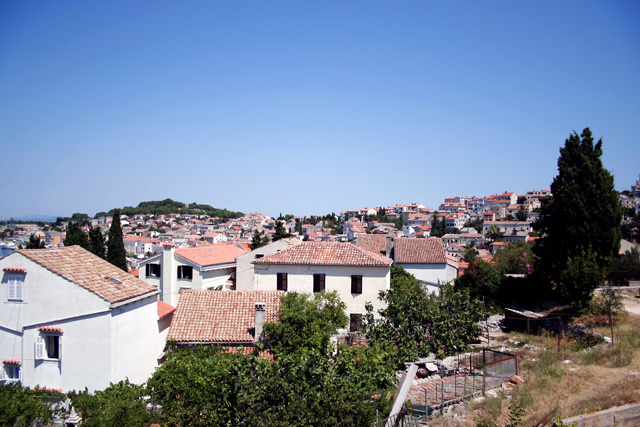 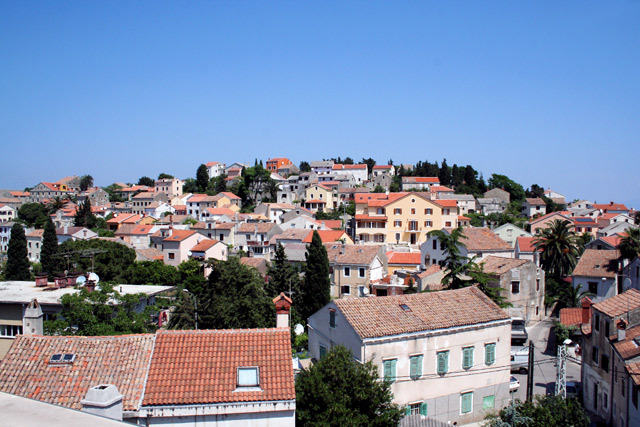 With a population of nearly 7,000, it is the largest town of all islands in the Adriatic. 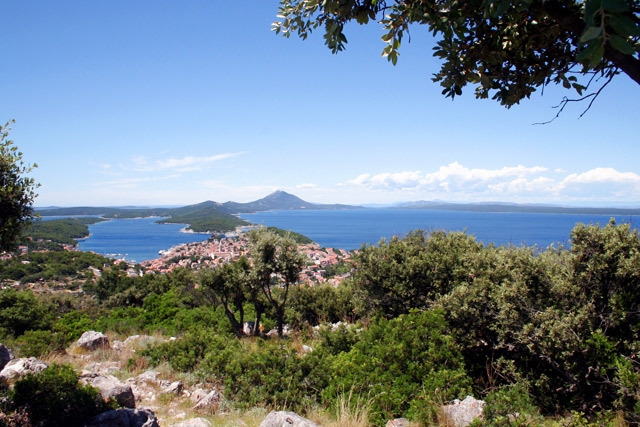 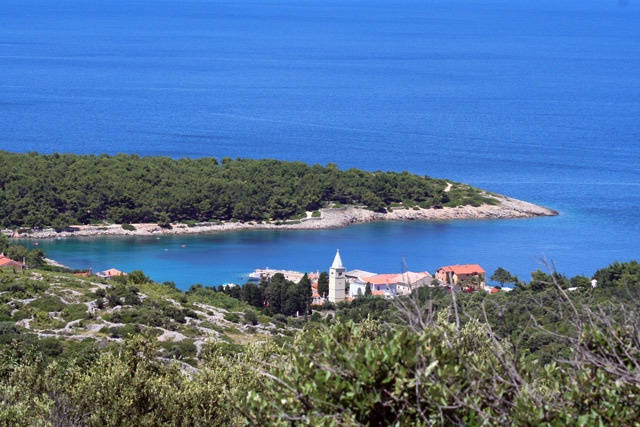 The settlement on and development of the island began in 12th century, when, escaping the onslaught of Mongols from Hungary, 12 Croatian families arrived on the island. 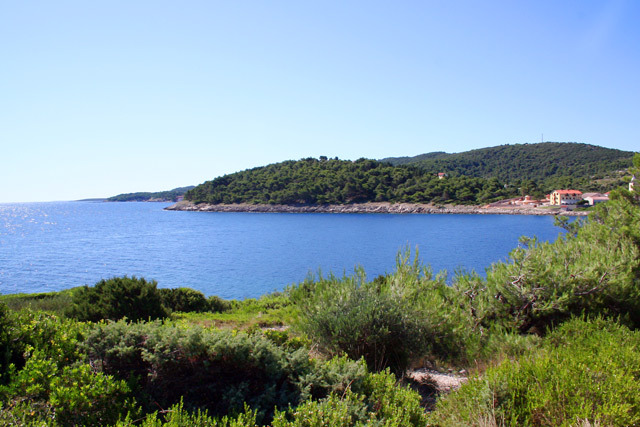 Some of them inhabited the St. Martin's cove, which was, according to some historical evidence, the first place of contact and landing of these founders. 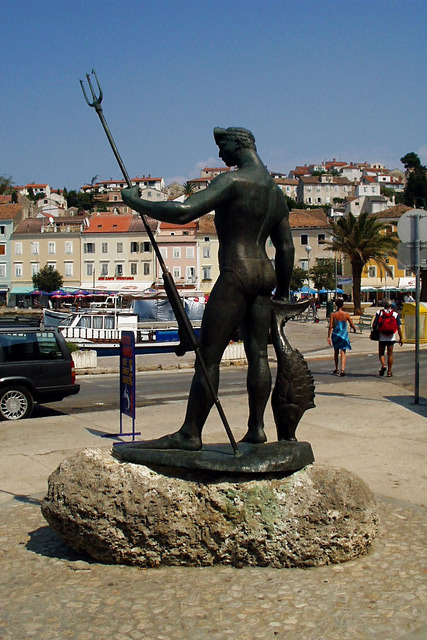 The settlers originally engaged in husbandry and agriculture. 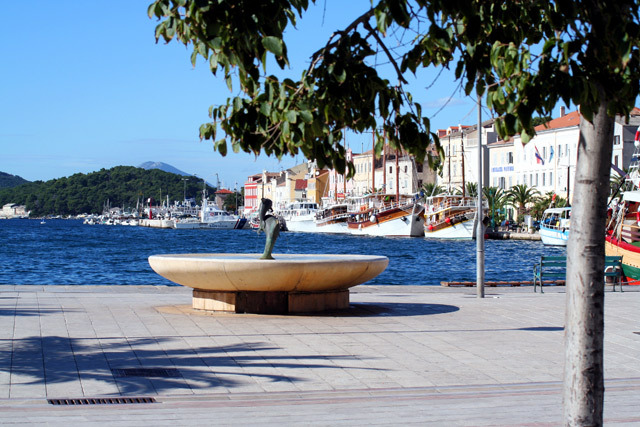 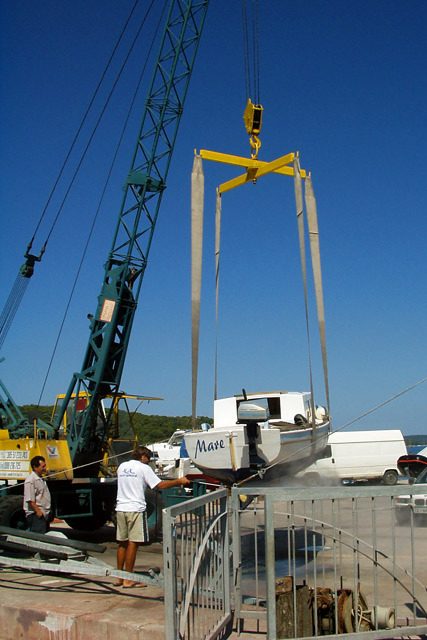 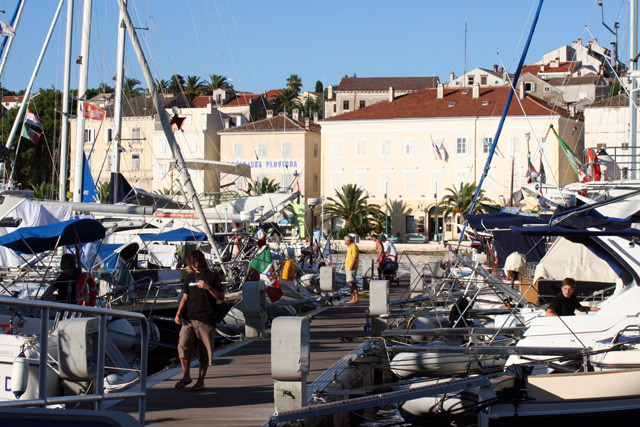 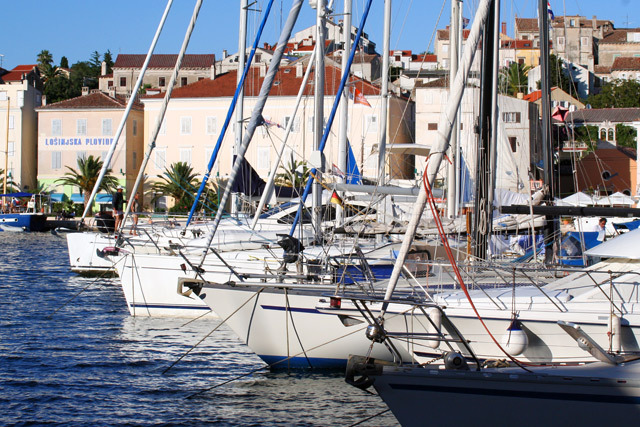 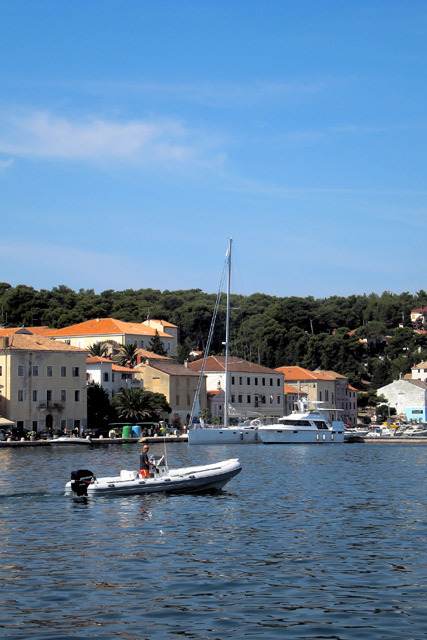 Towards the end of 19th century, the development of seamanship helped Mali Losinj become a sea town and centre of this island area. 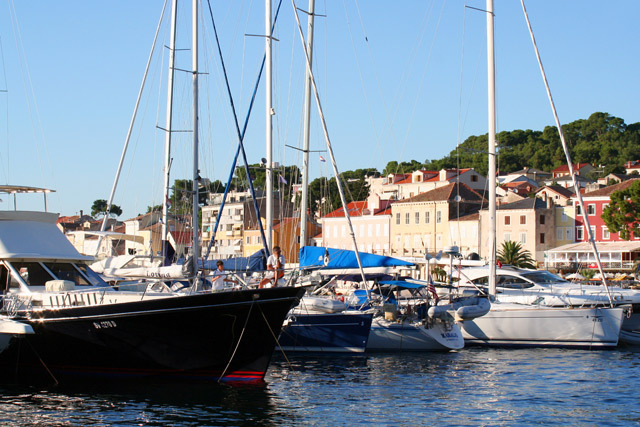 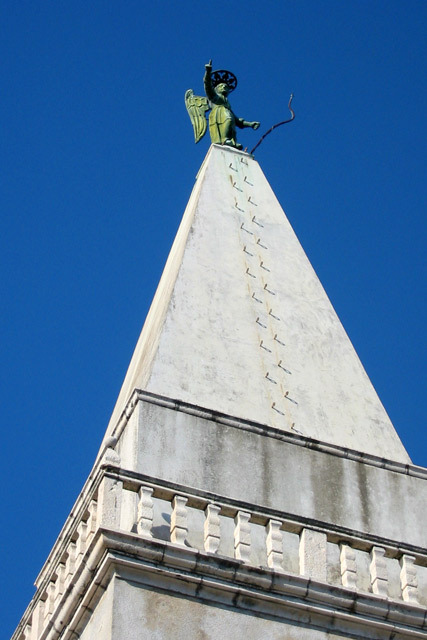 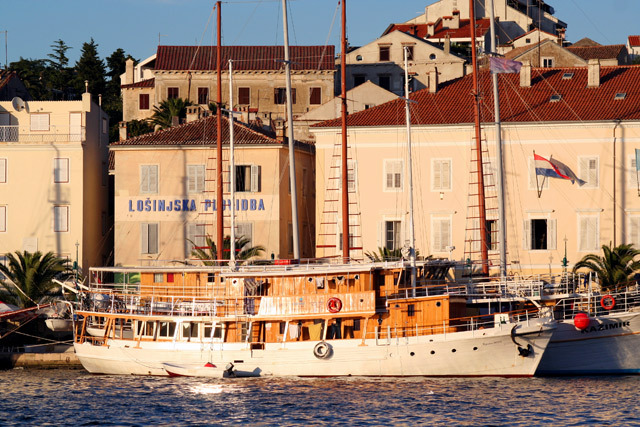 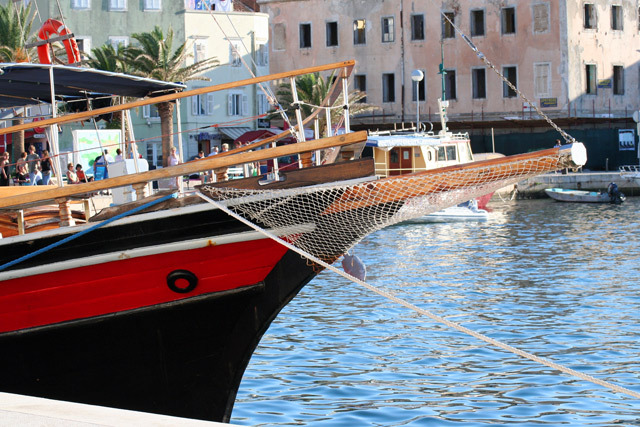 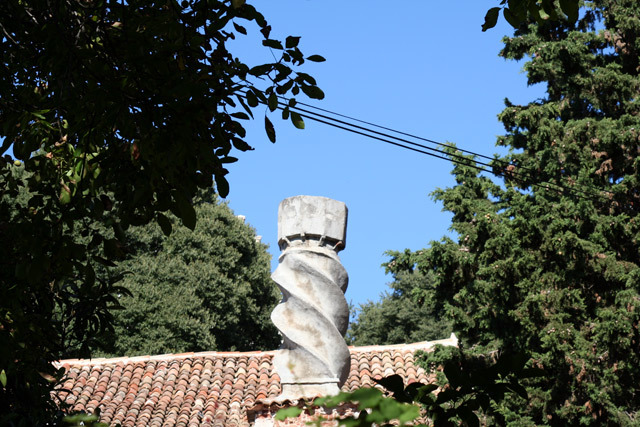 Today, the influence of the nautical past and the legacy of Losinj ship captains are felt in the whole town and its surroundings. 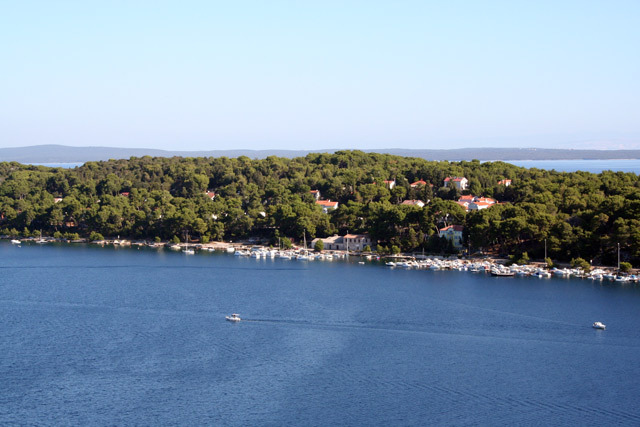 Due to the discovery of miraculous medicinal influences of the island's climate and the fast growth of tourism, Mali Losinj is becoming a widely known and very popular destination of a large number of tourists from all parts of the world. 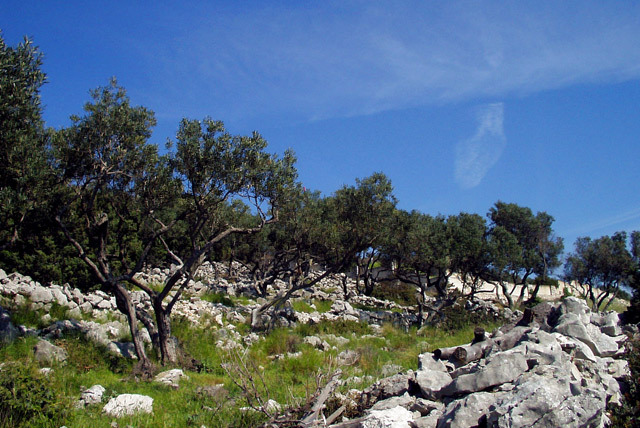 The predominant vegetation in this area are the pine woods, which have replaced the olive groves and cultivated gardens. 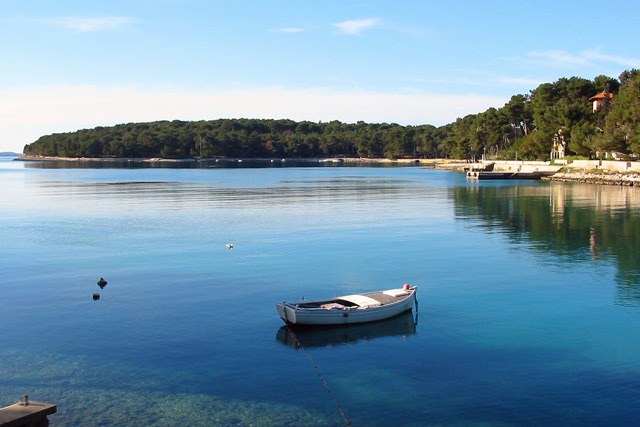 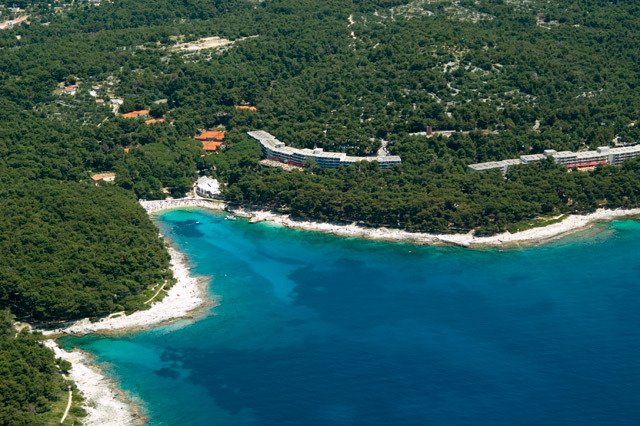 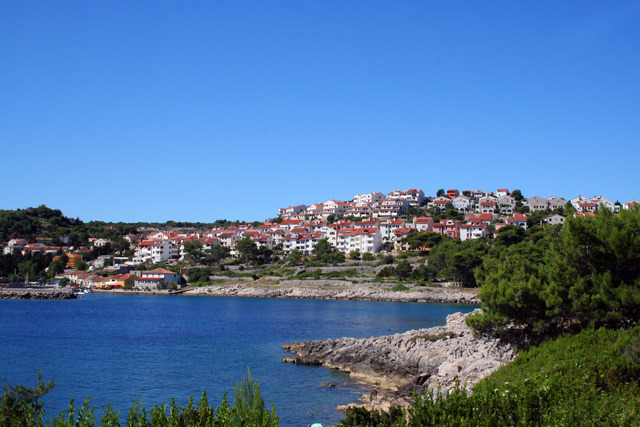 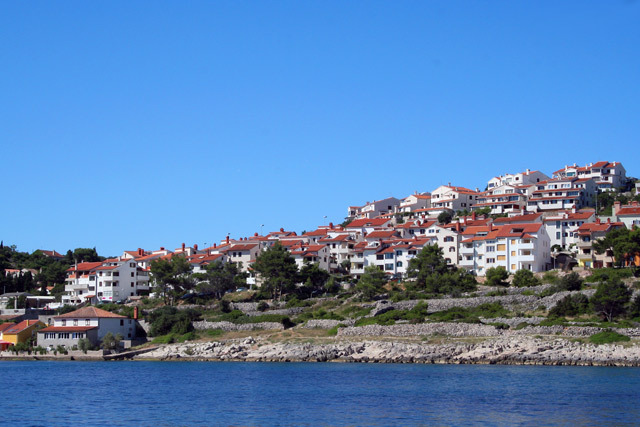 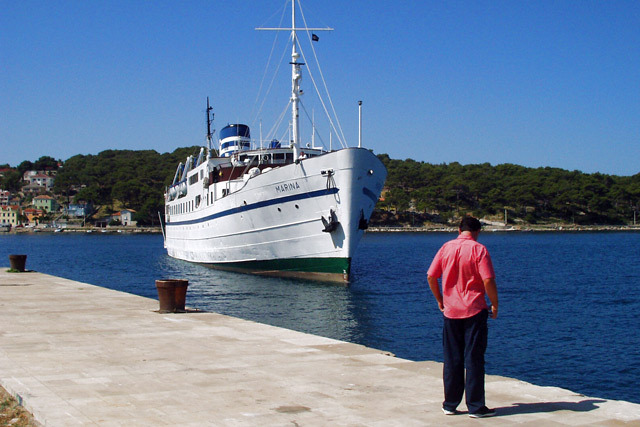 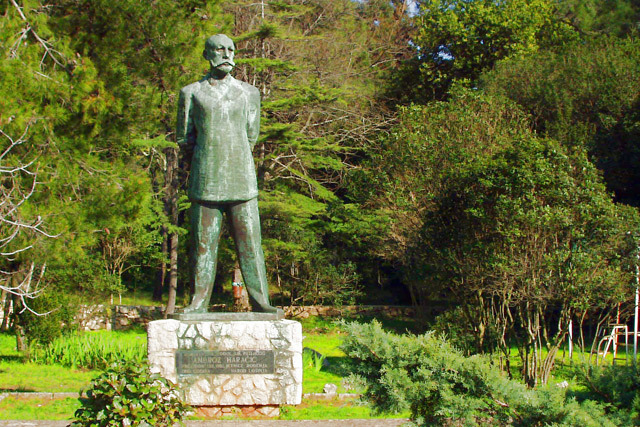 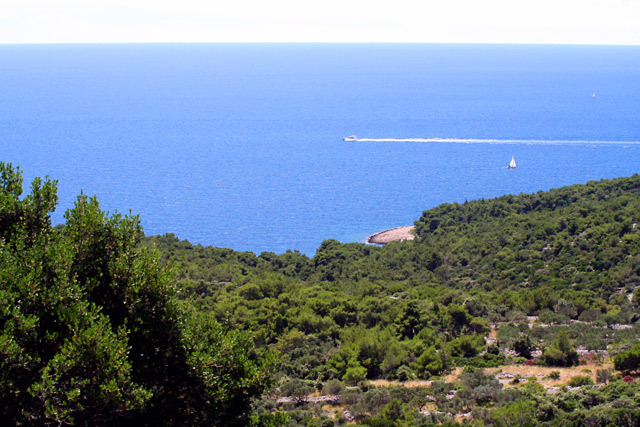 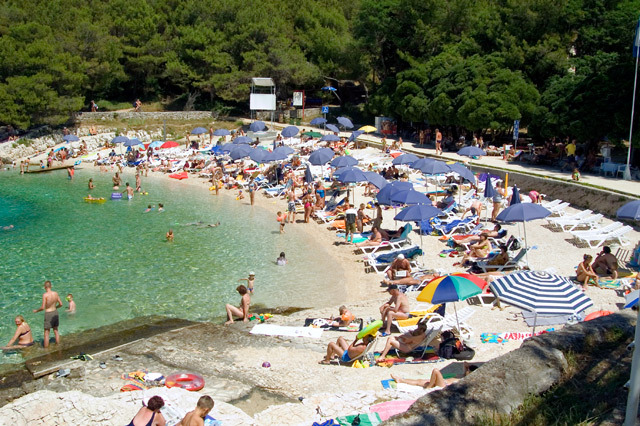 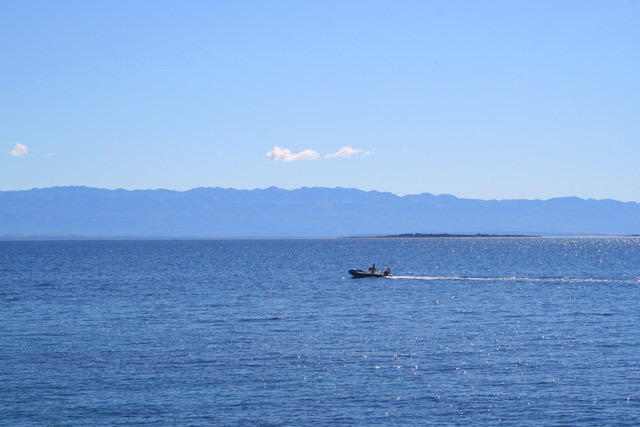 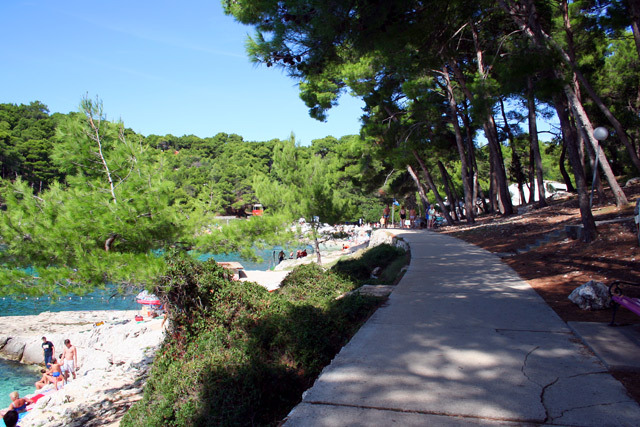 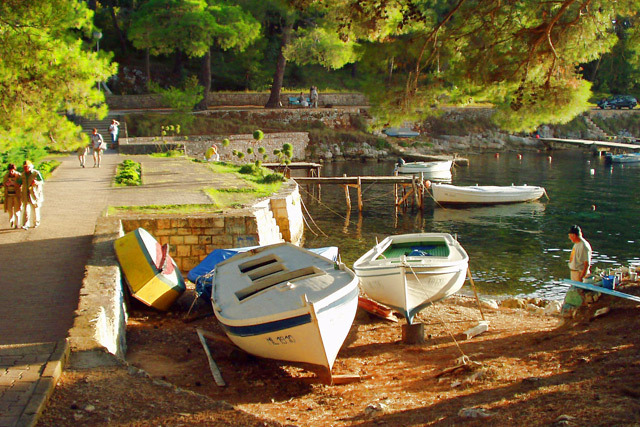 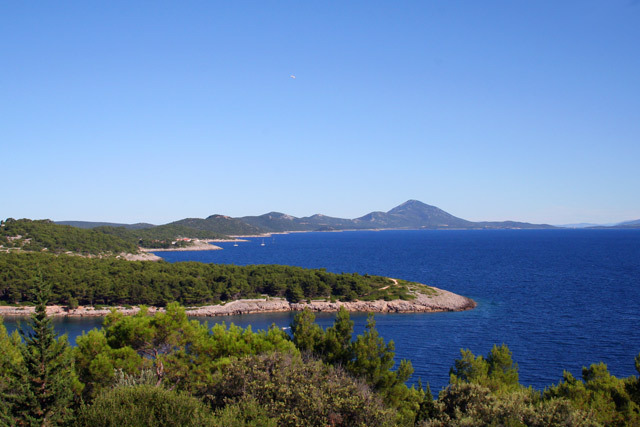 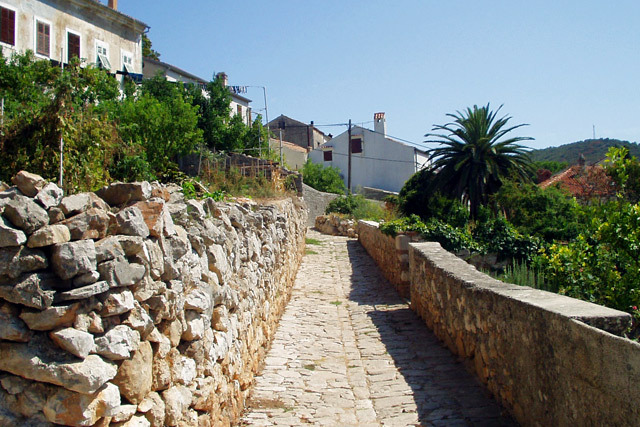 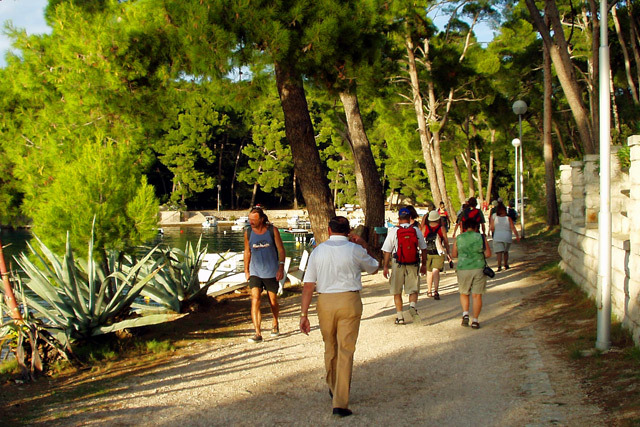 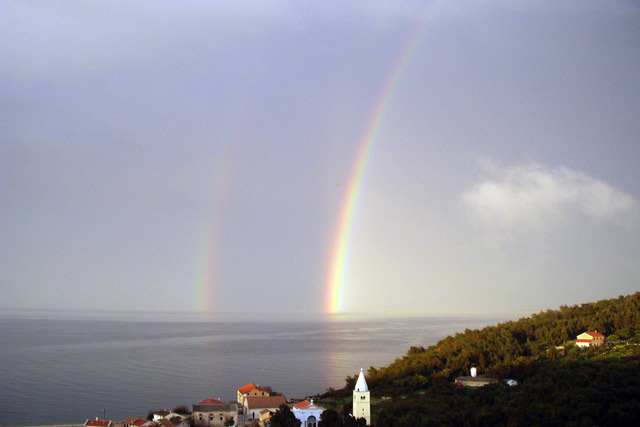 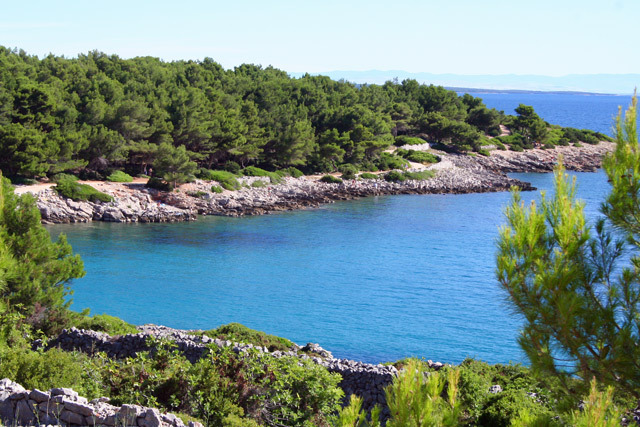 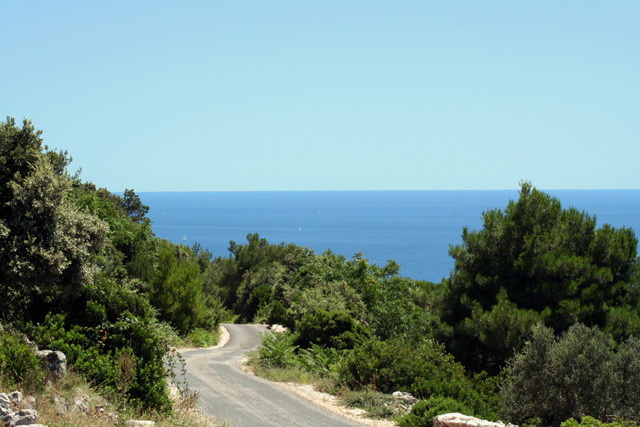 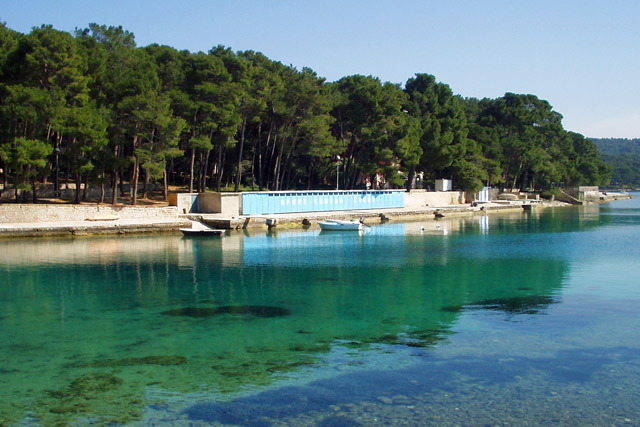 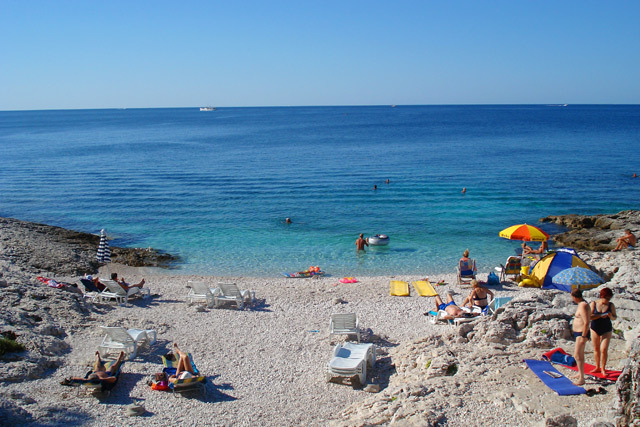 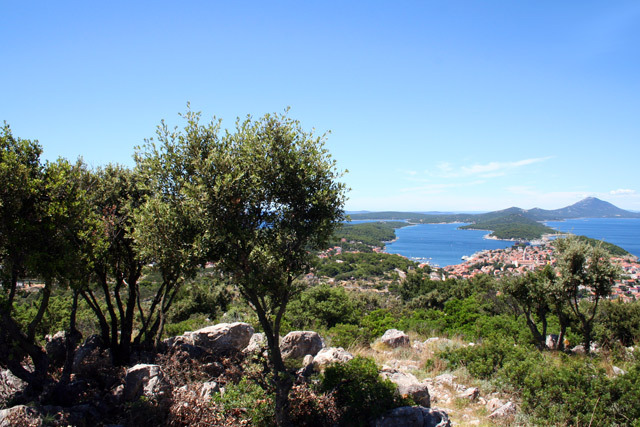 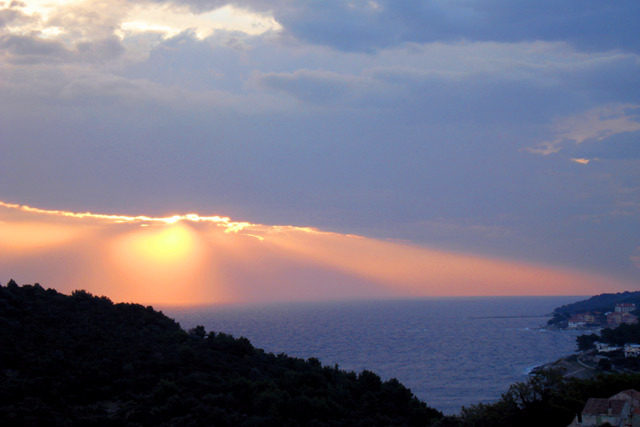 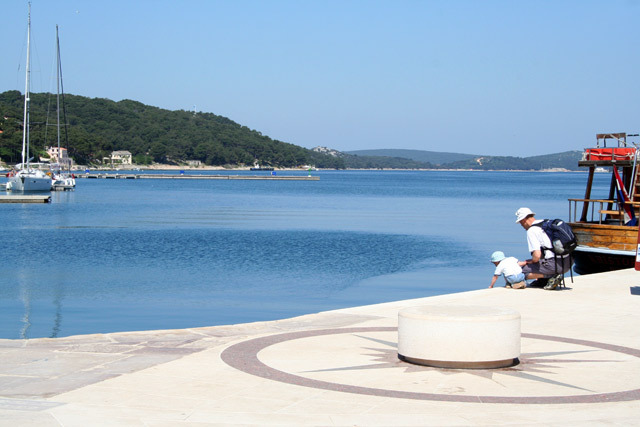 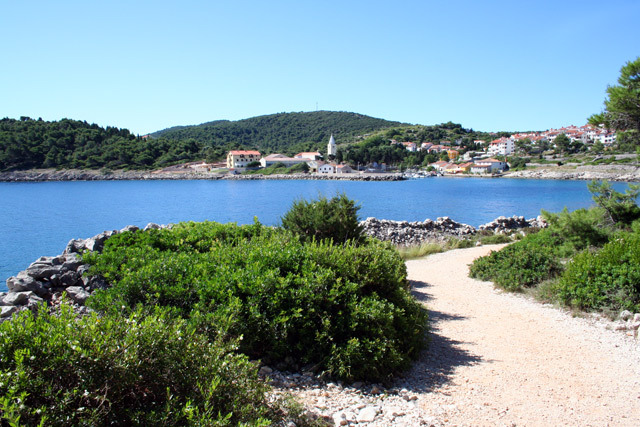 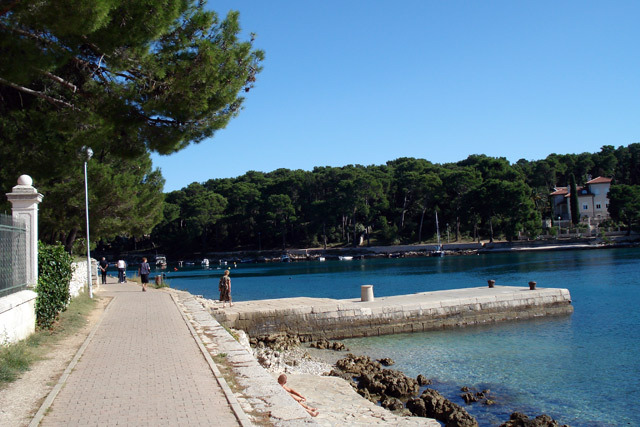 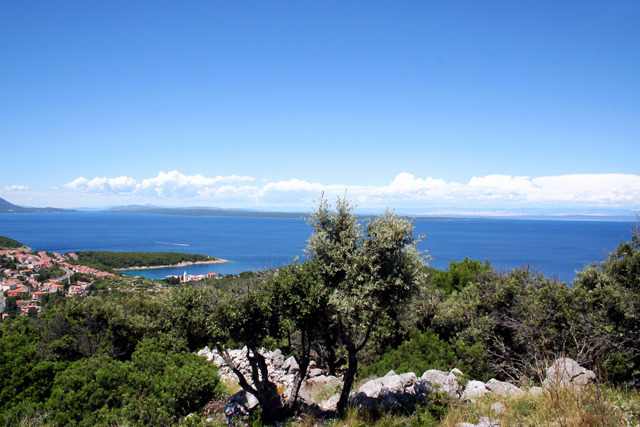 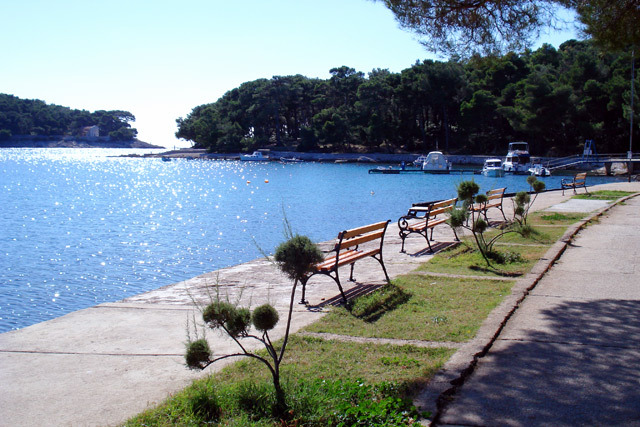 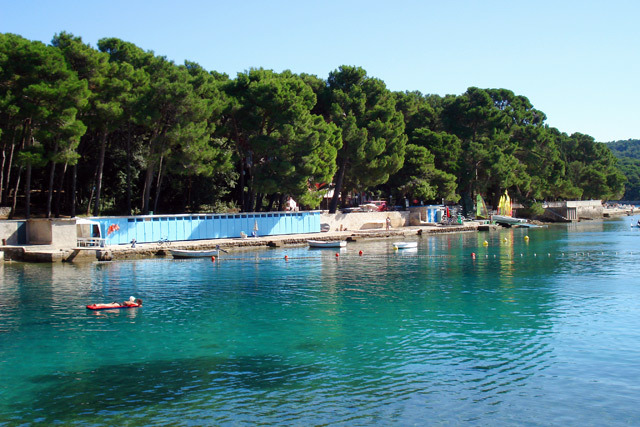 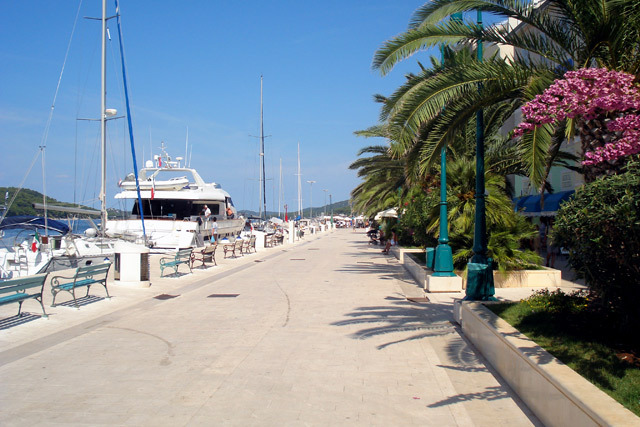 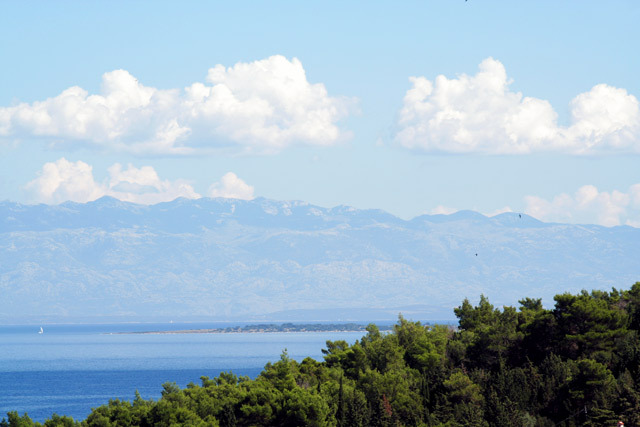 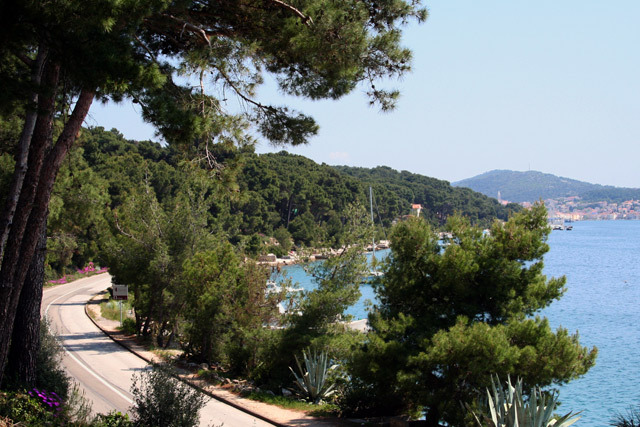 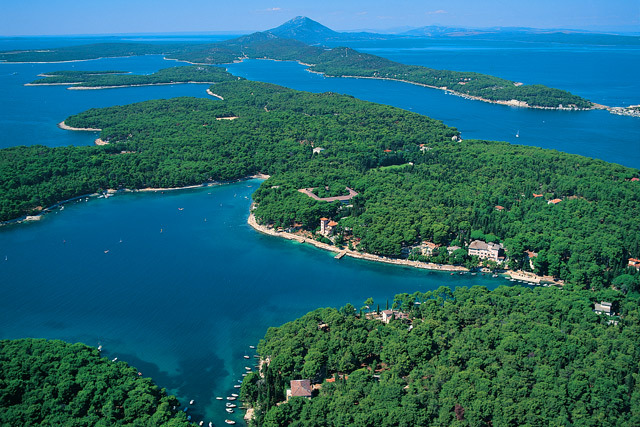 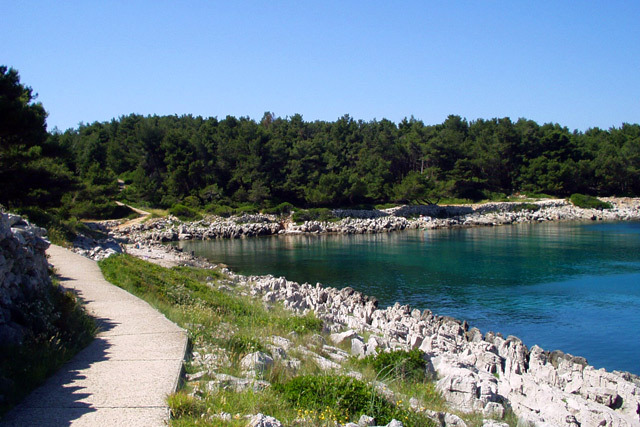 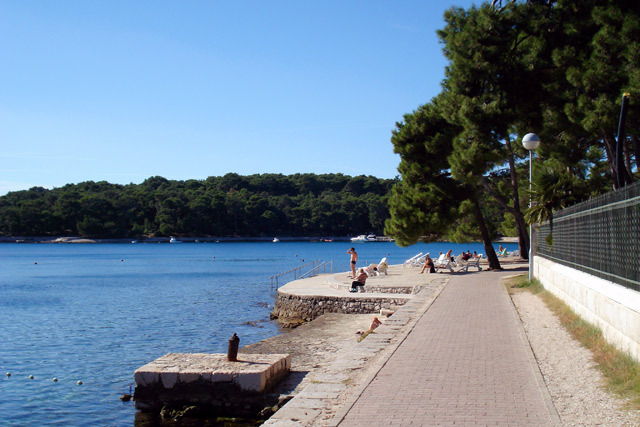 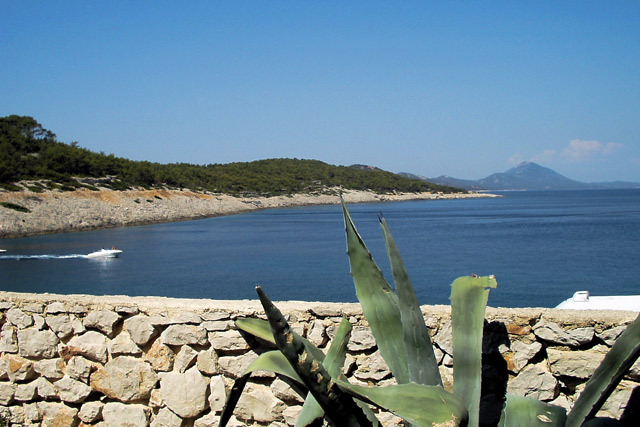 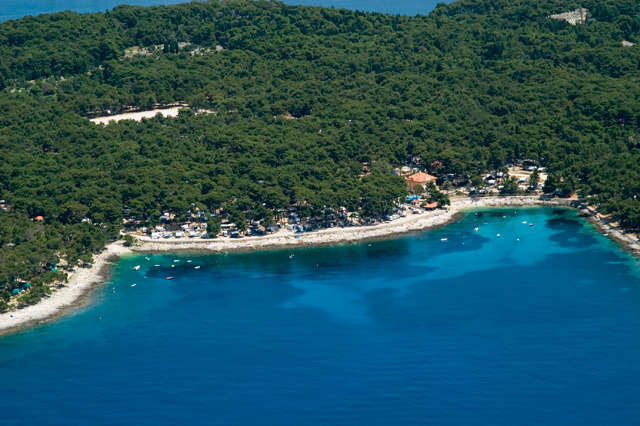 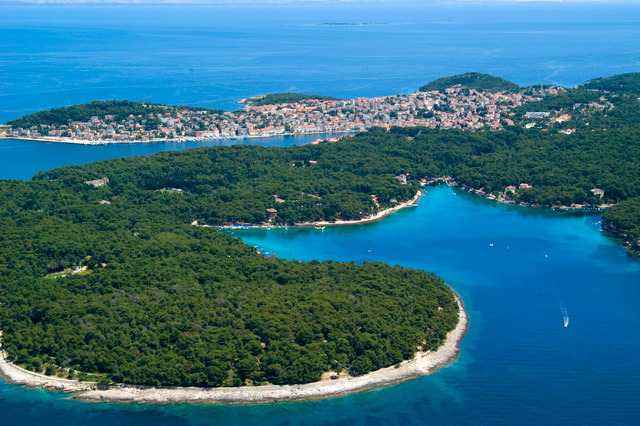 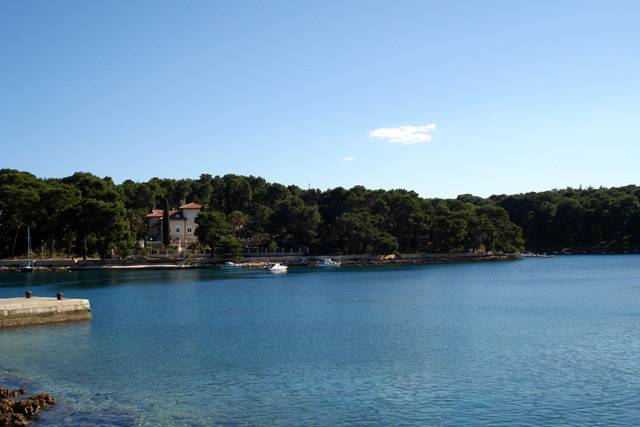 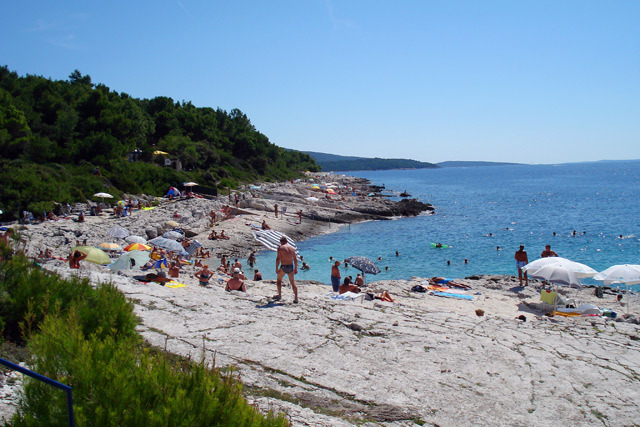 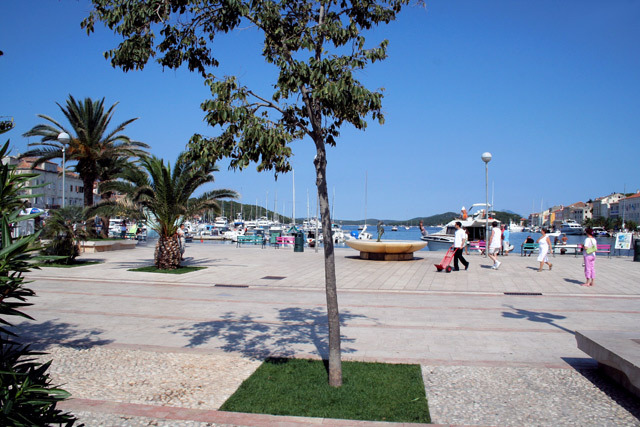 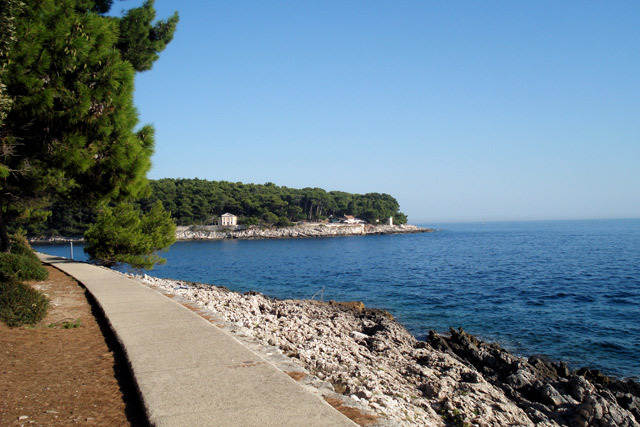 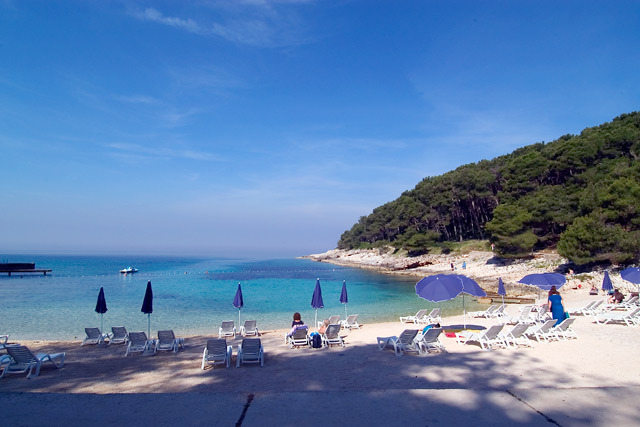 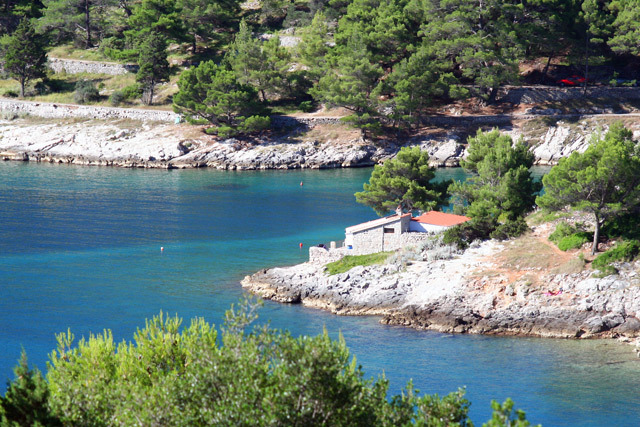 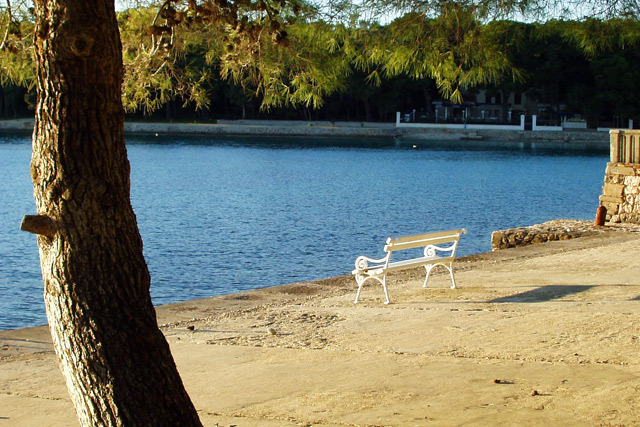 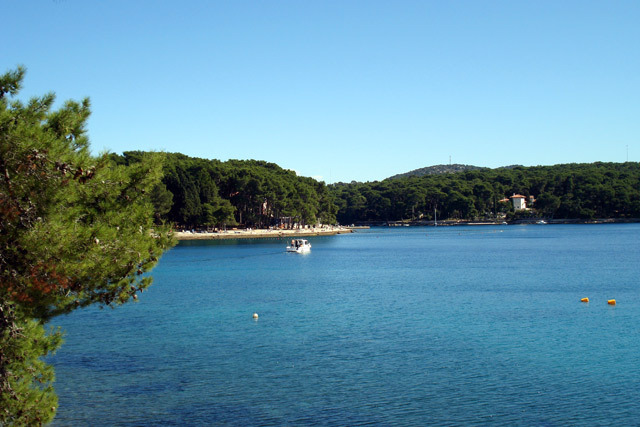 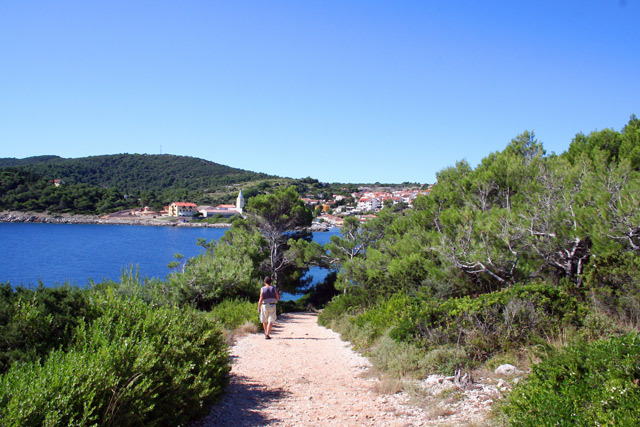 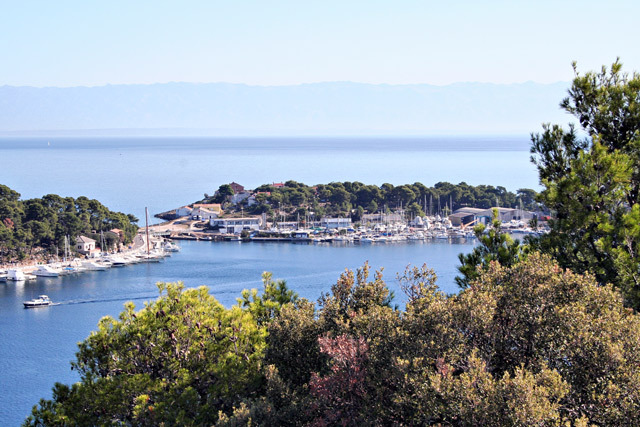 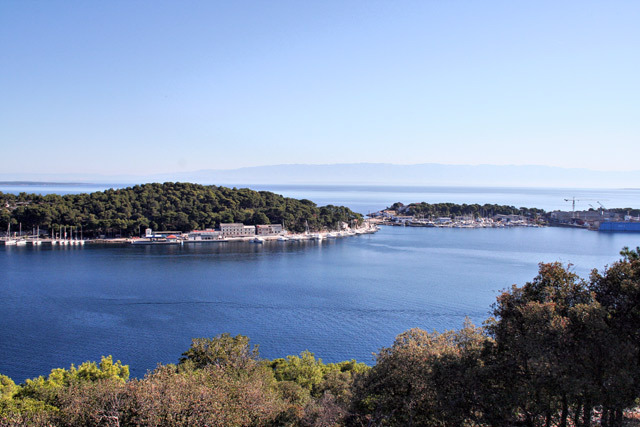 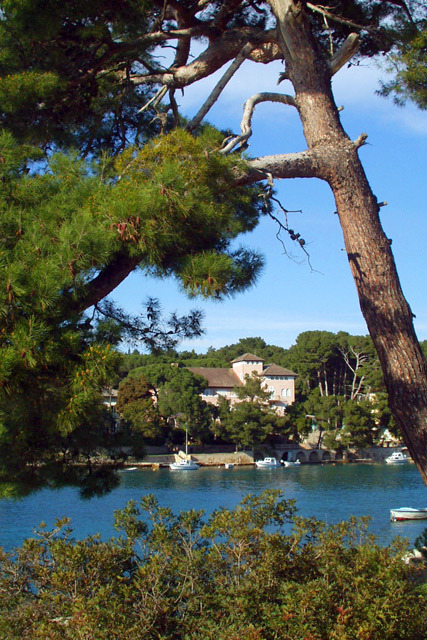 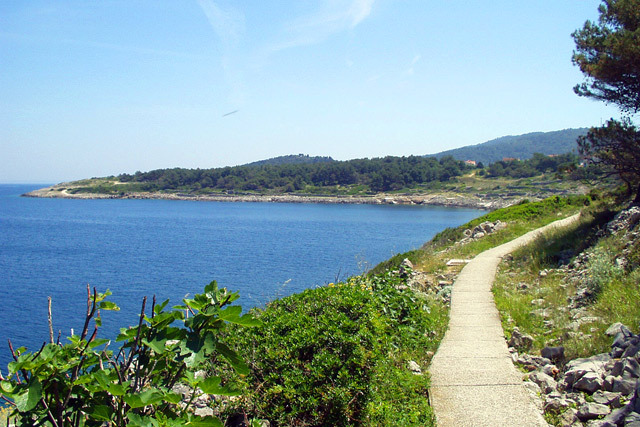 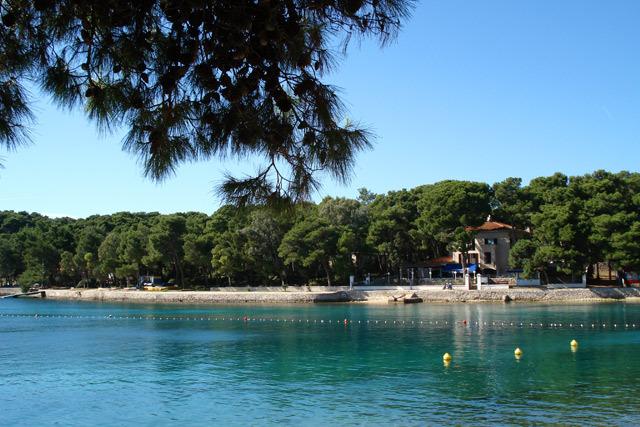 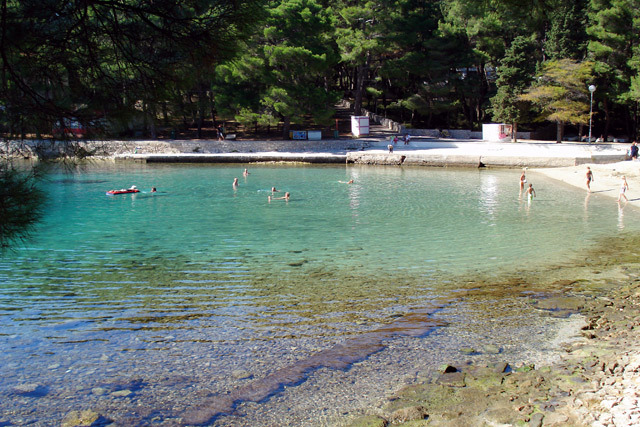 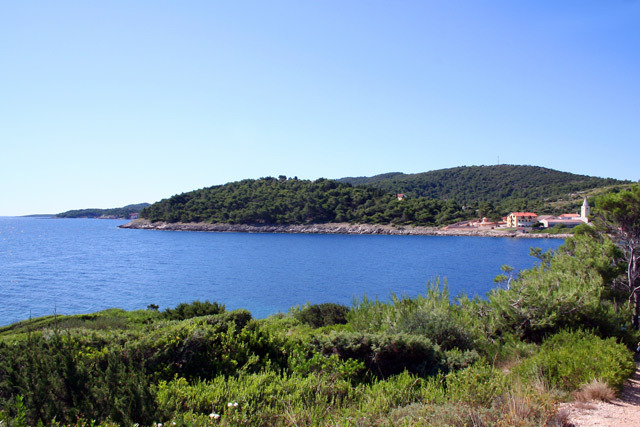 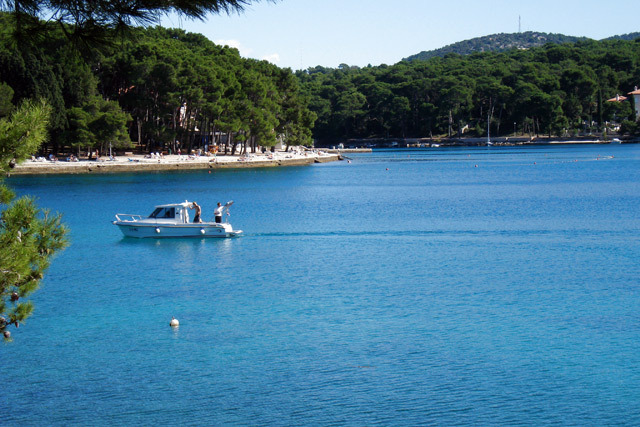 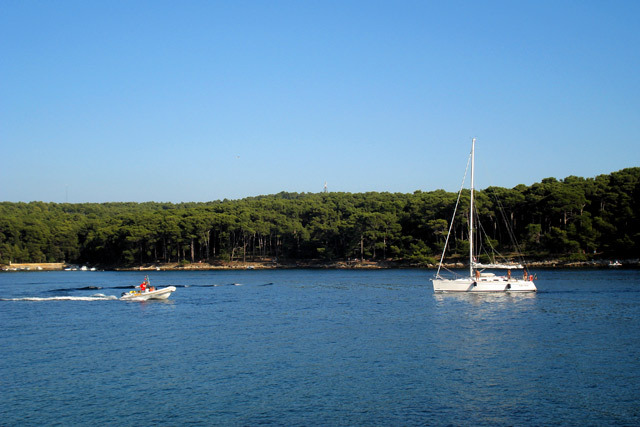 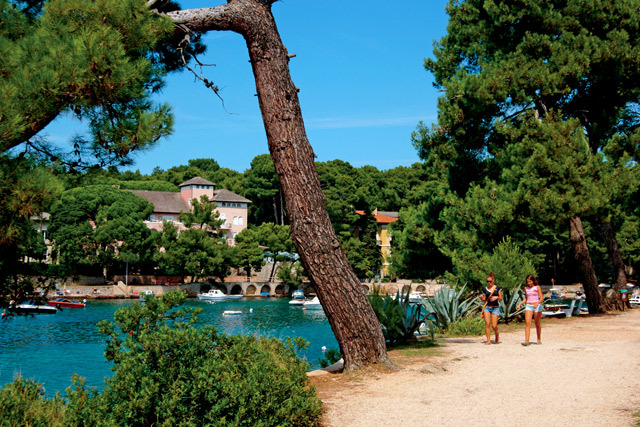 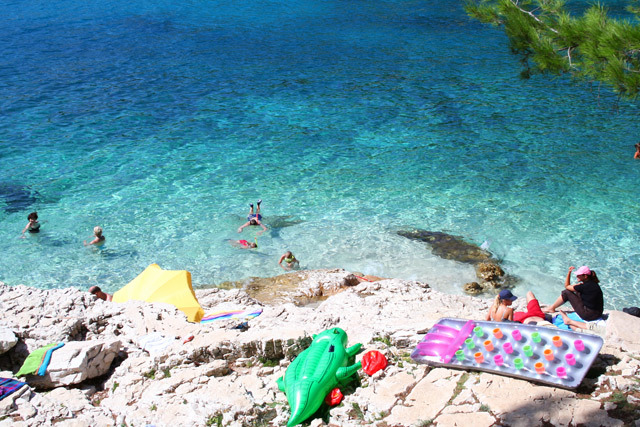 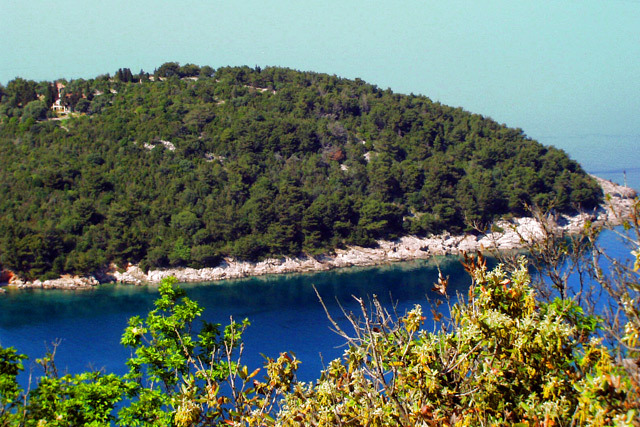 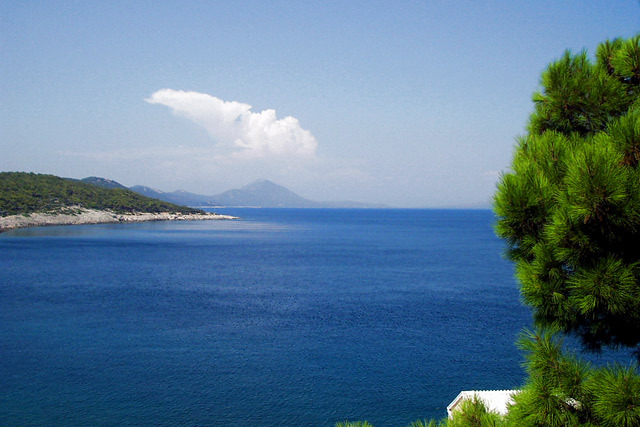 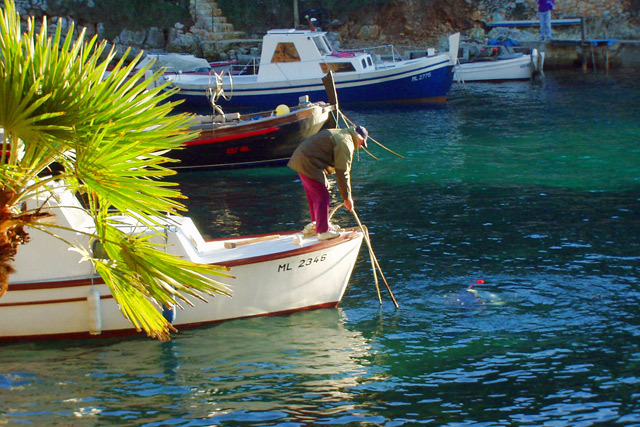 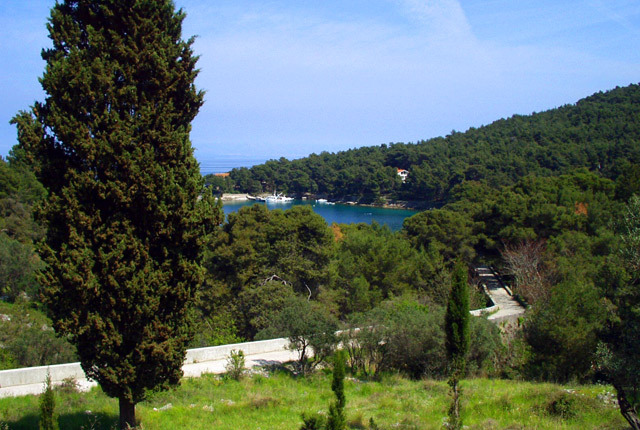 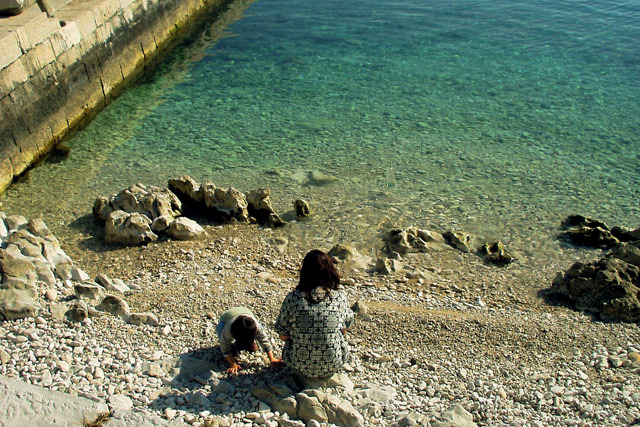 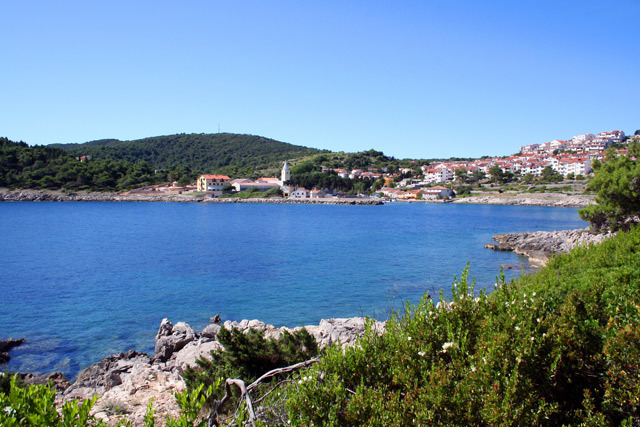 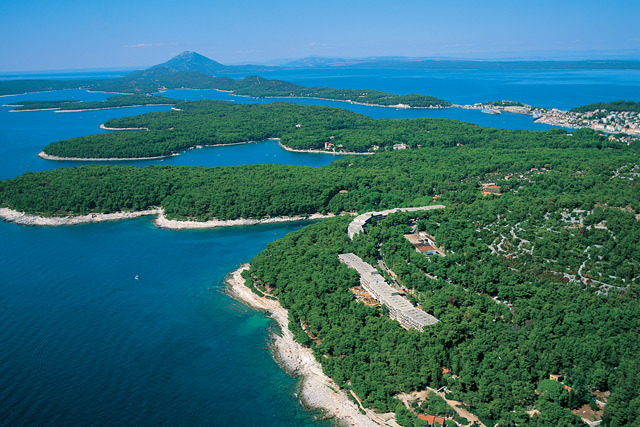 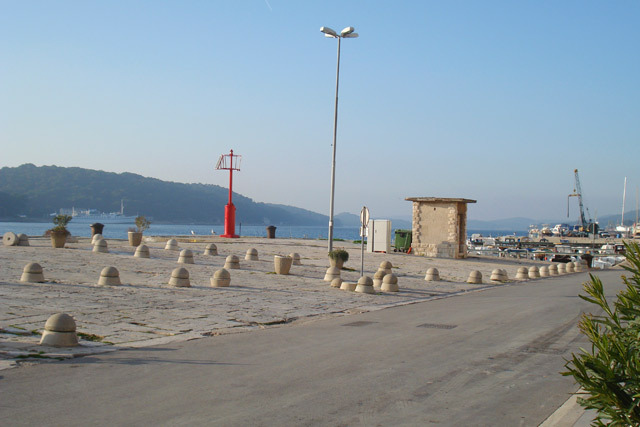 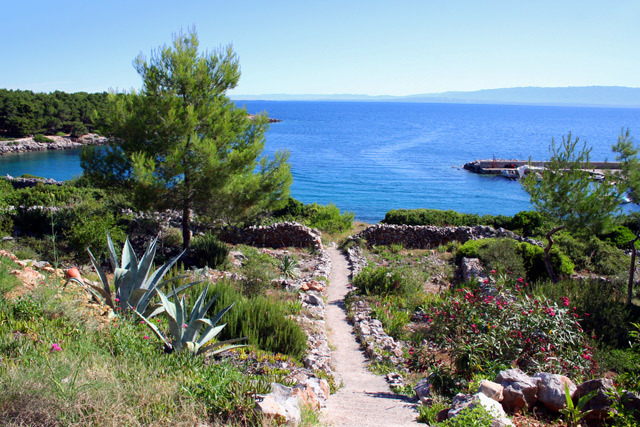 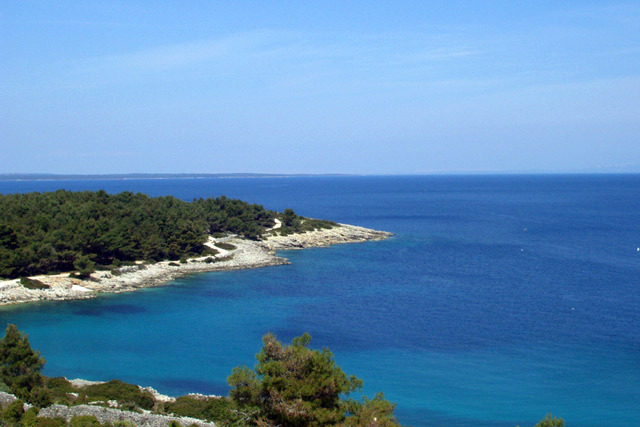 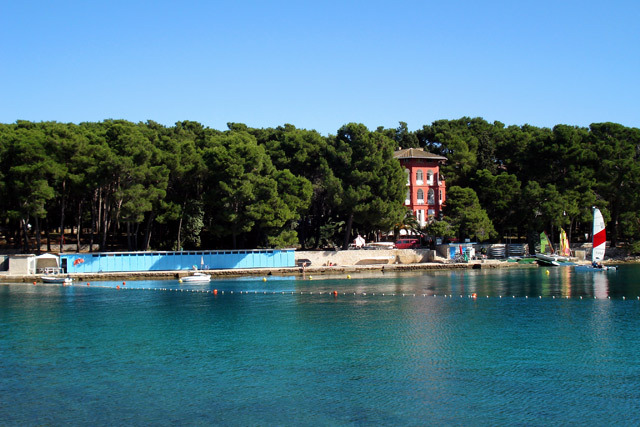 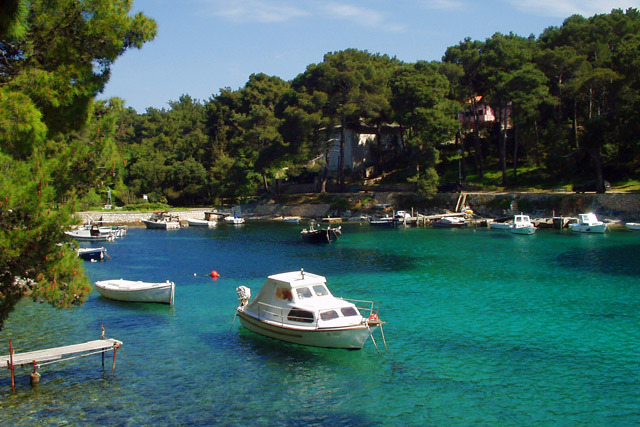 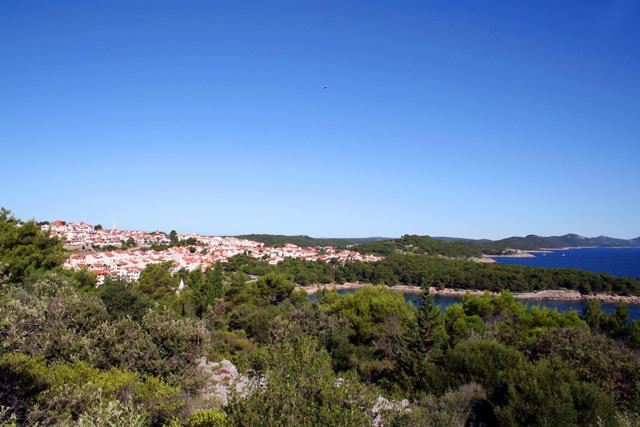 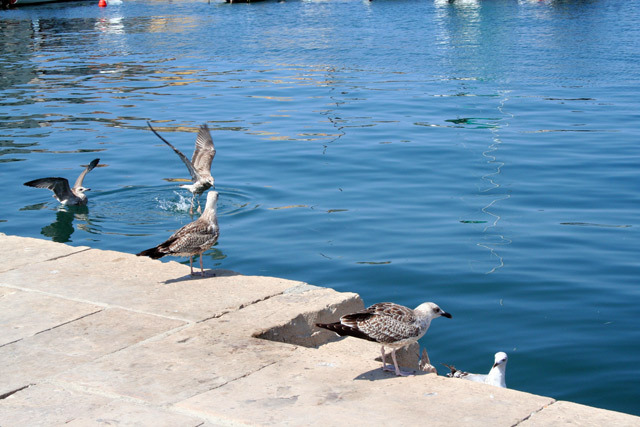 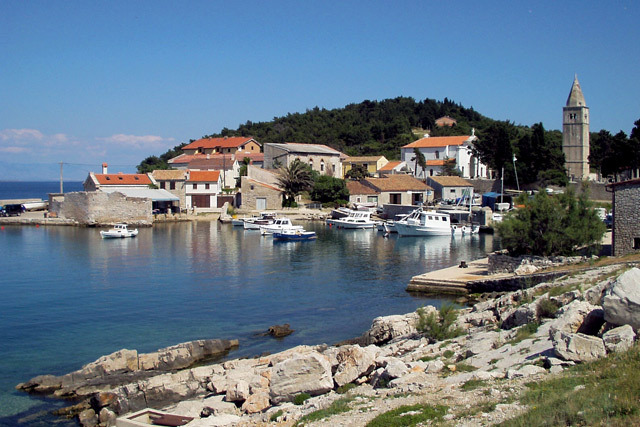 The Cikat cove has contributed to the development of tourism on Losinj. 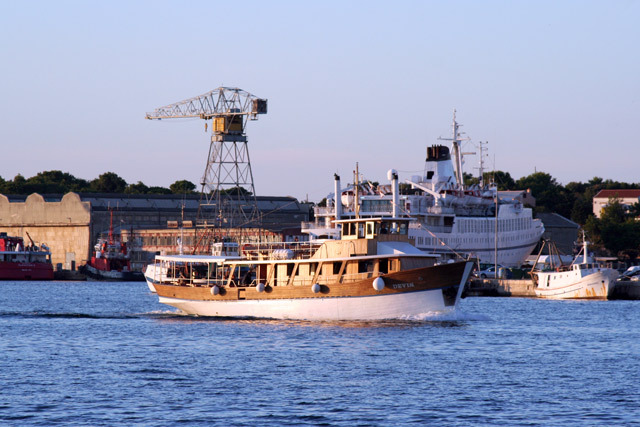 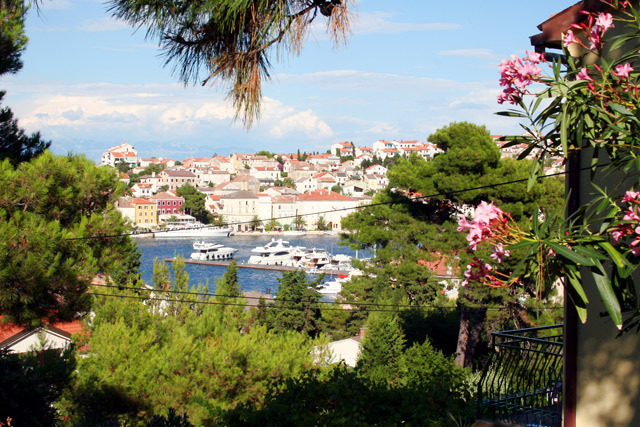 Apart from beautiful villas and summerhouses of former Austro-Hungarian dignitaries and riches, luxurious hotels flourishing on the island have begun attracting numerous guests and tourists and they spend an unforgettable vacation here. 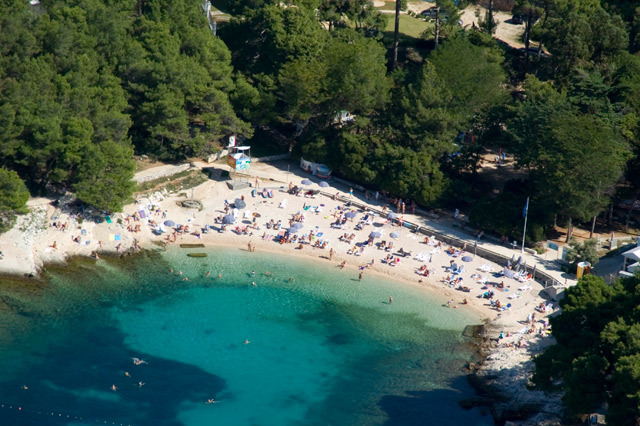 Here are some of the most beautiful Adriatic beaches and bays, such as Cikat, Suncana uvala (Sunny Cove) and Valdarke. 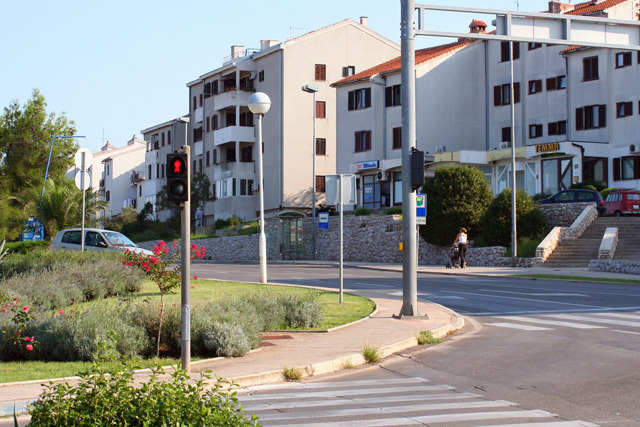 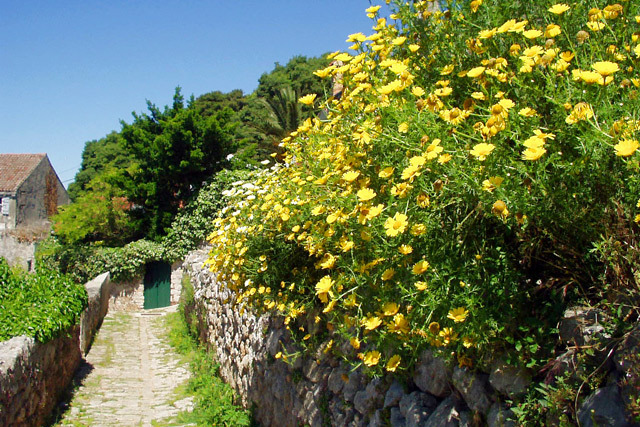 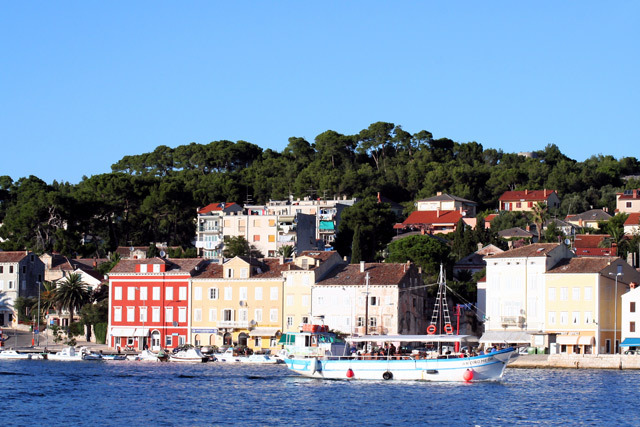 Visiting the city of Losinj in the summer months is a special experience, when tens of thousands of tourists flood this area and the tourist offer is at its peak. 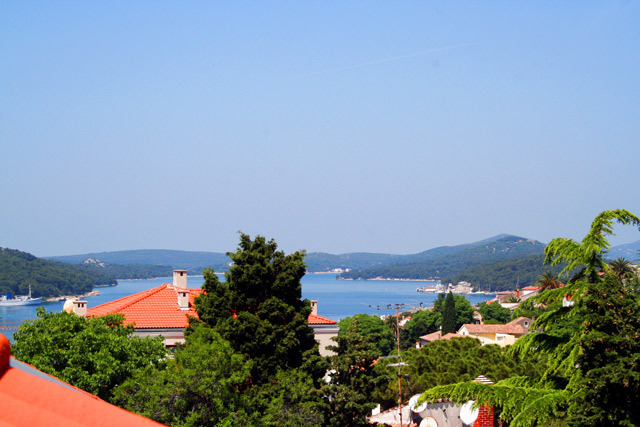 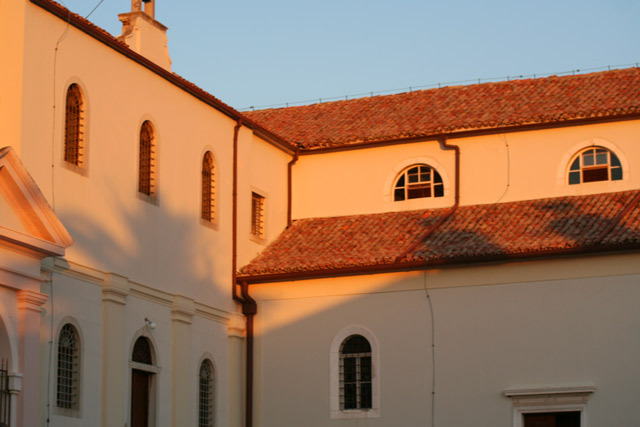 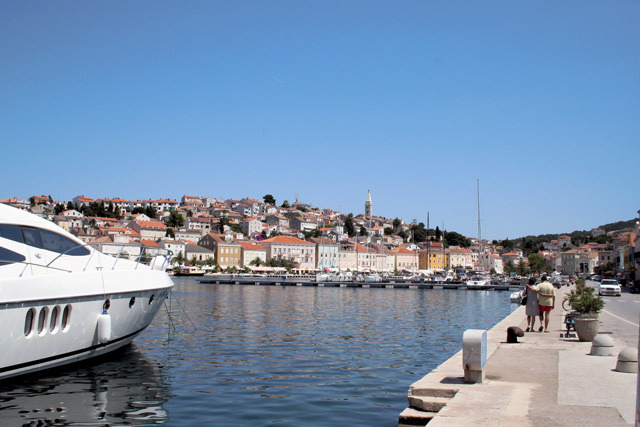 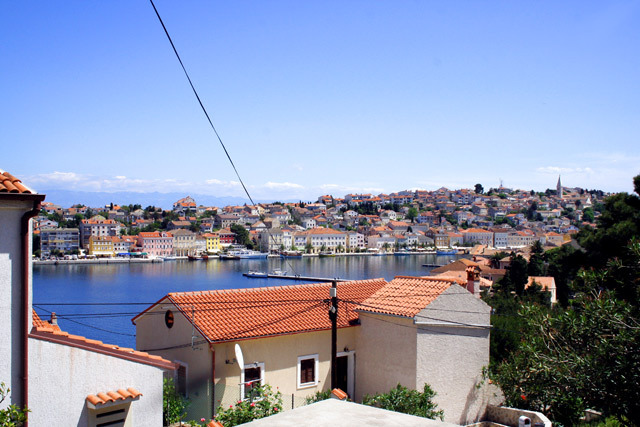 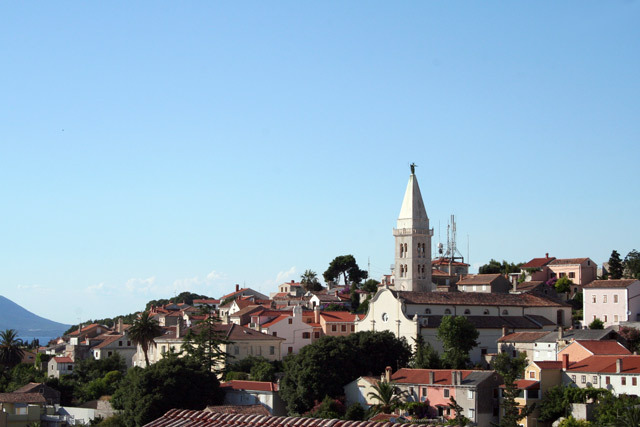 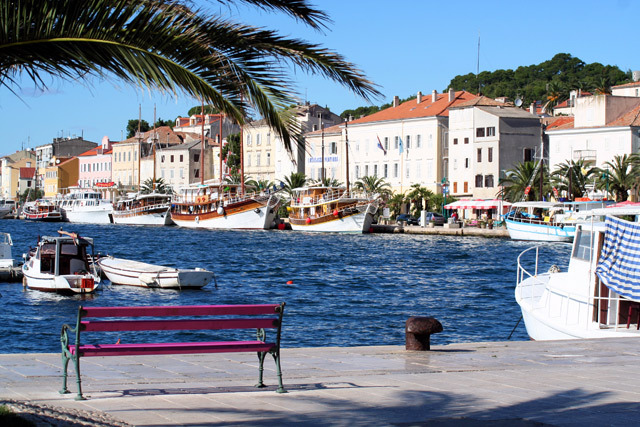 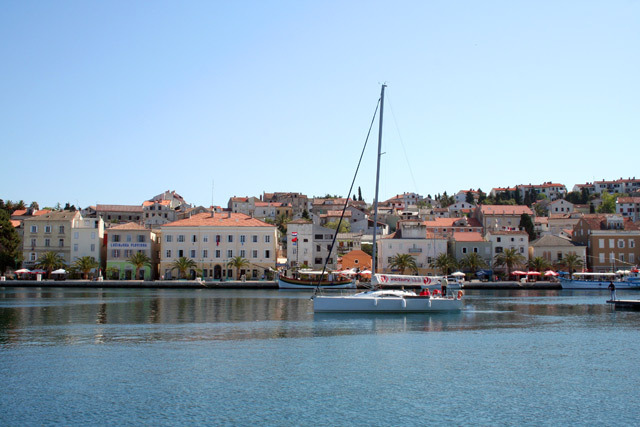 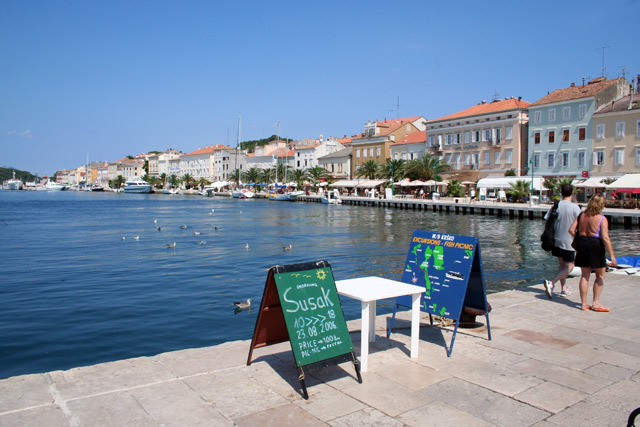 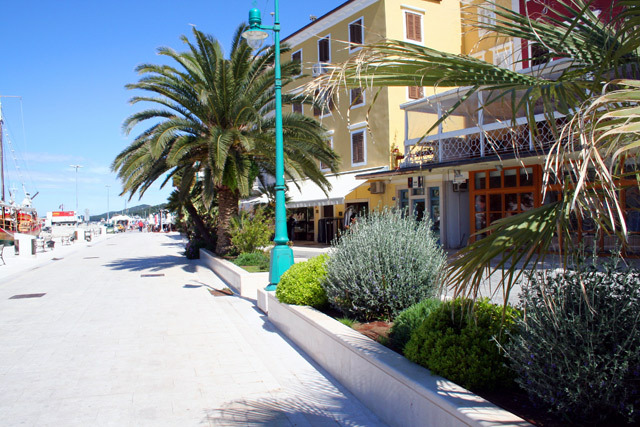 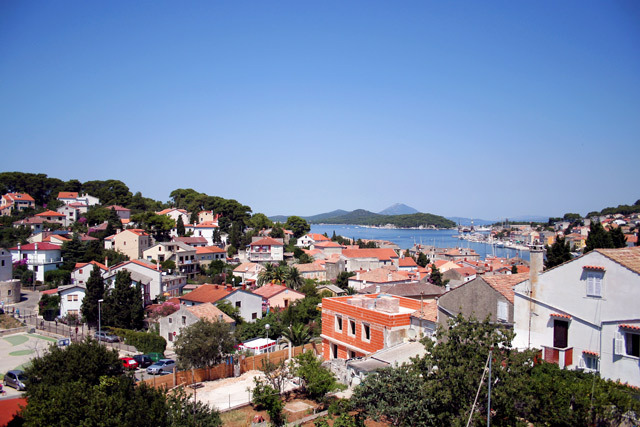 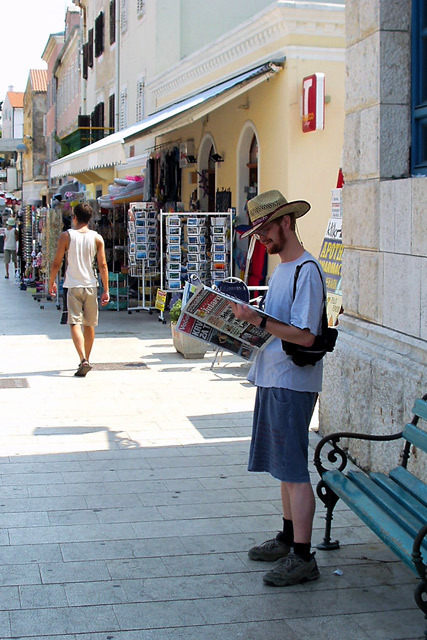 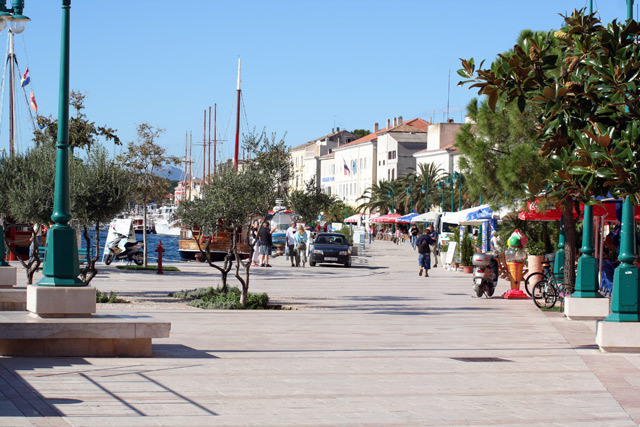 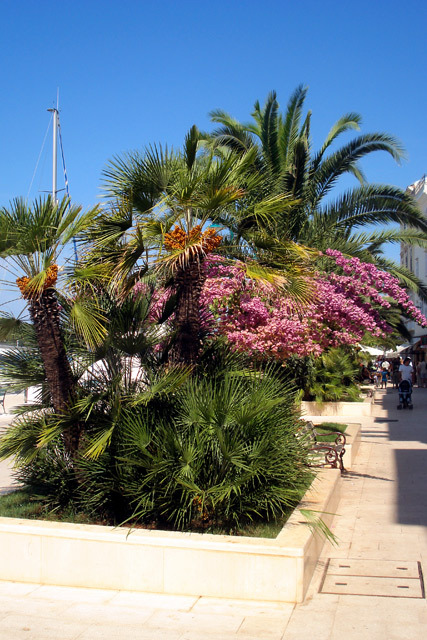 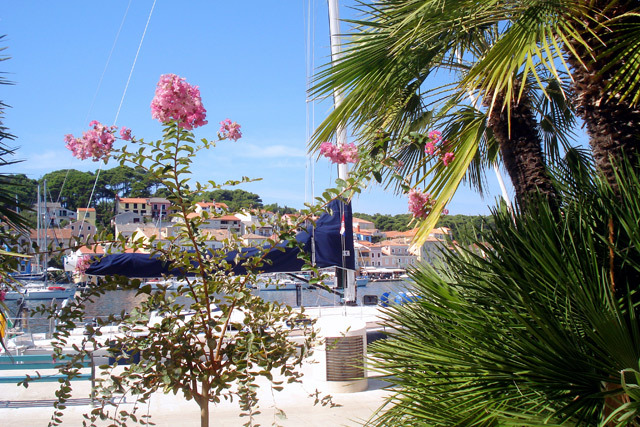 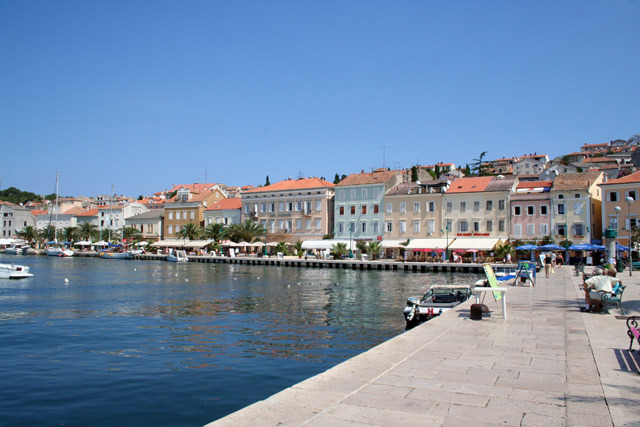 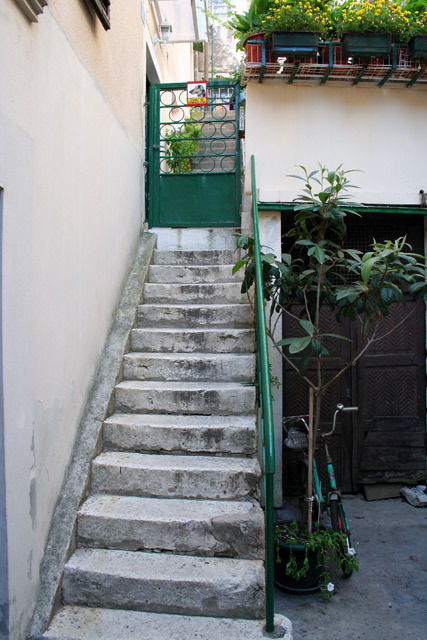 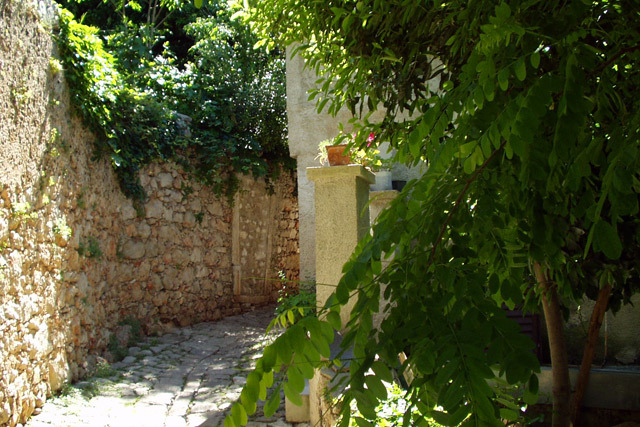 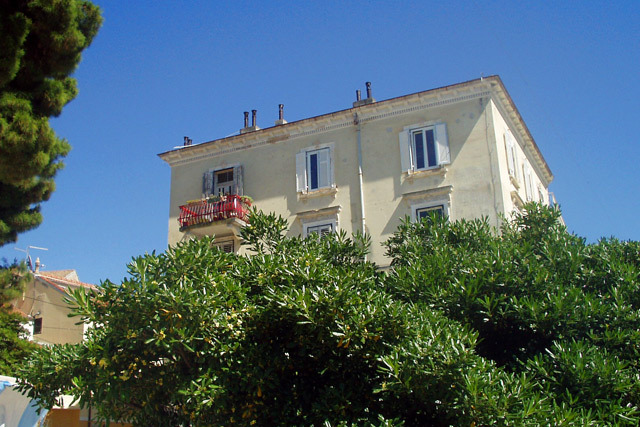 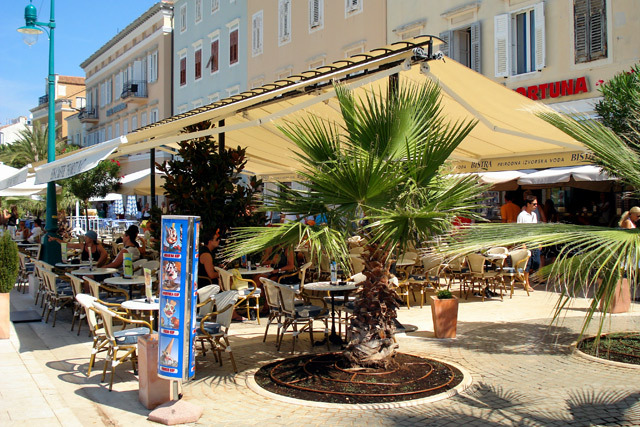 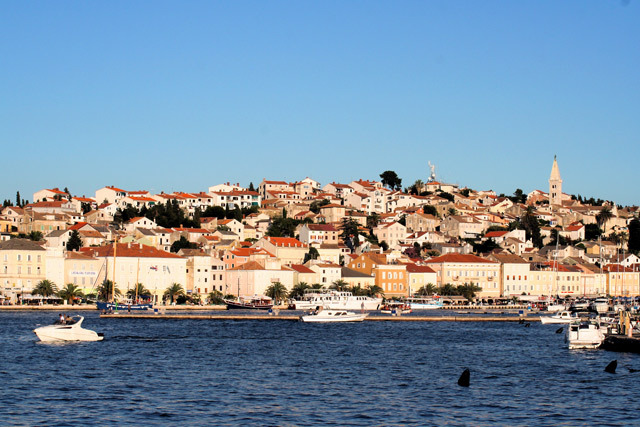 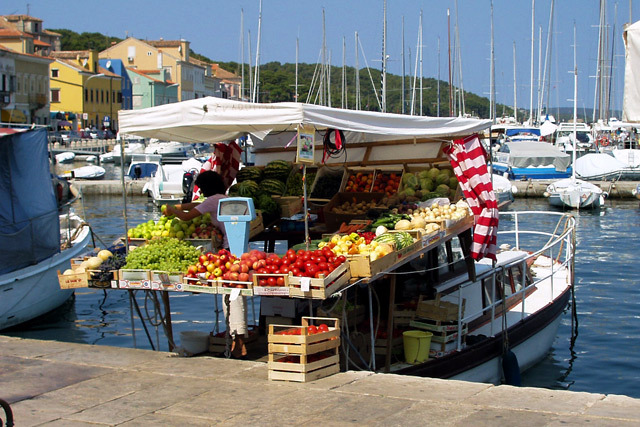 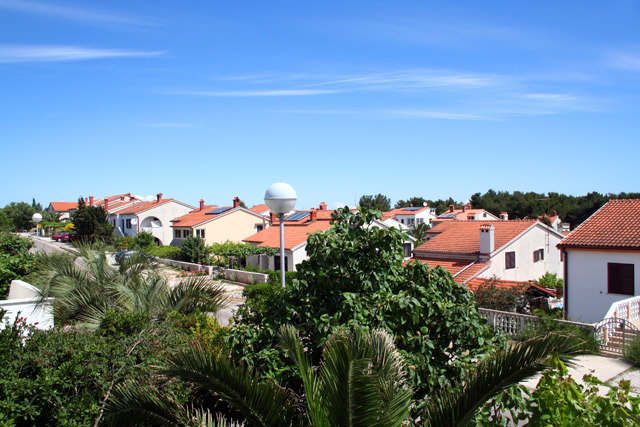 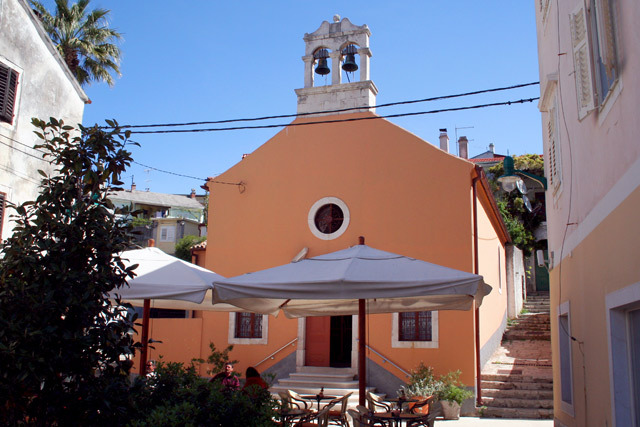 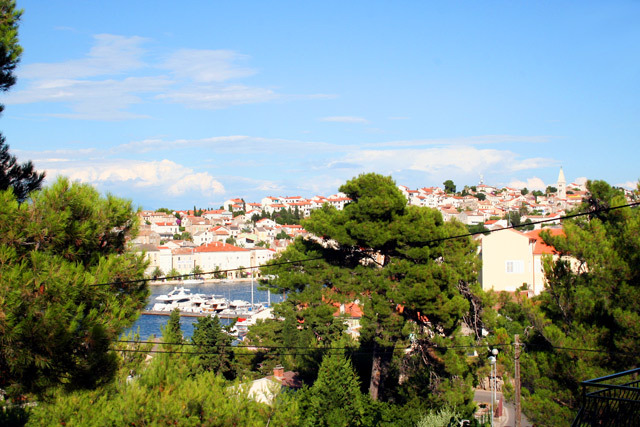 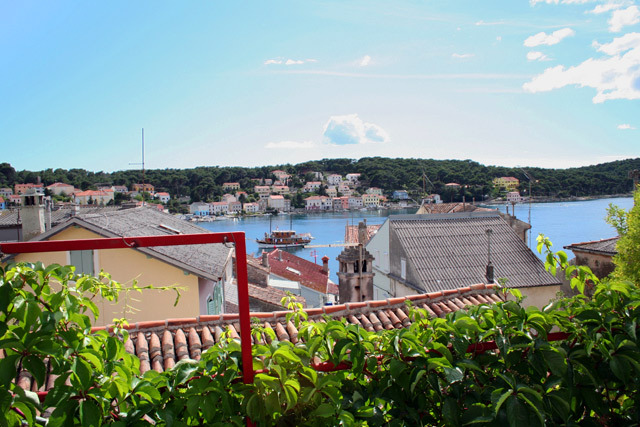 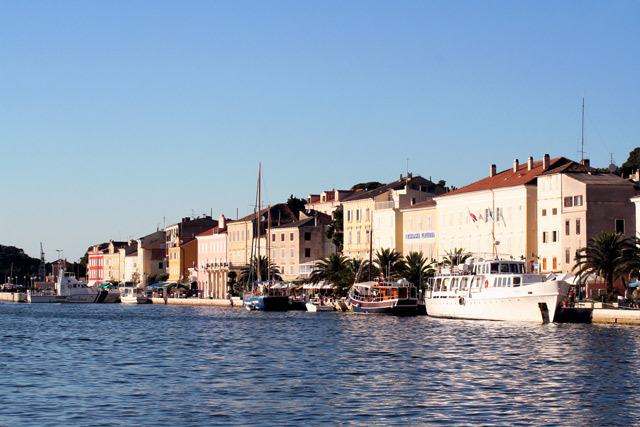 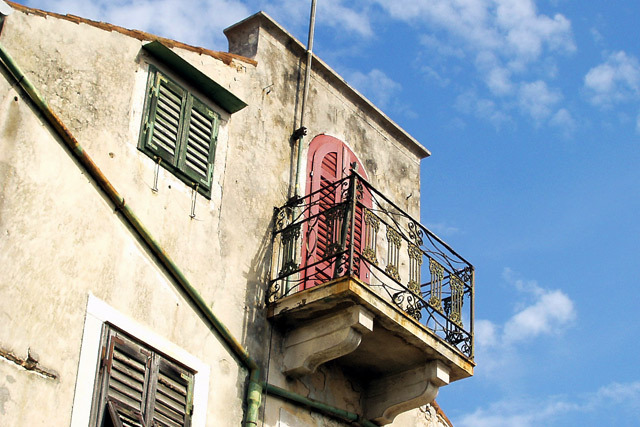 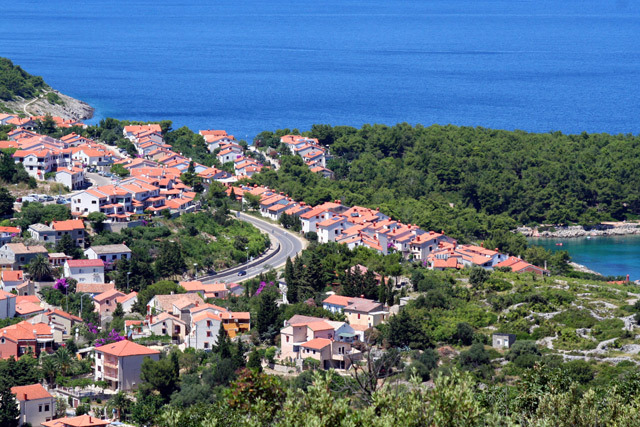 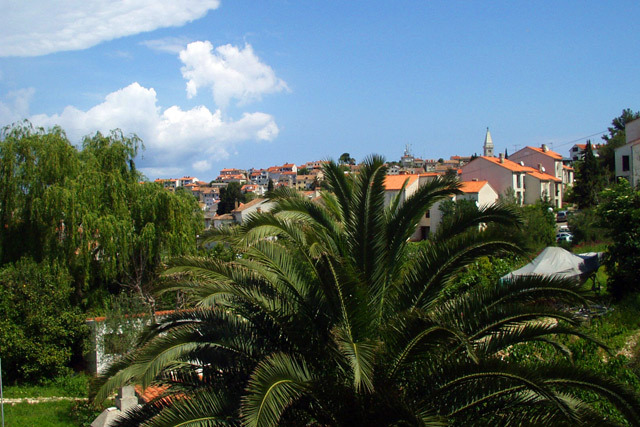 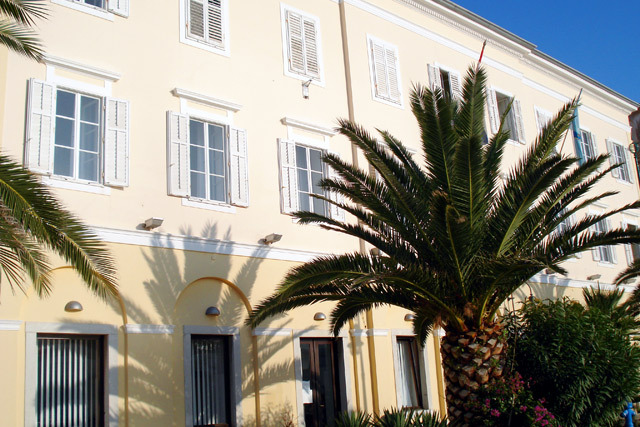 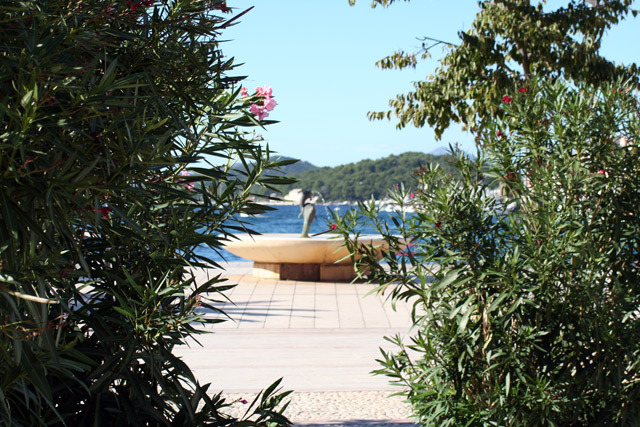 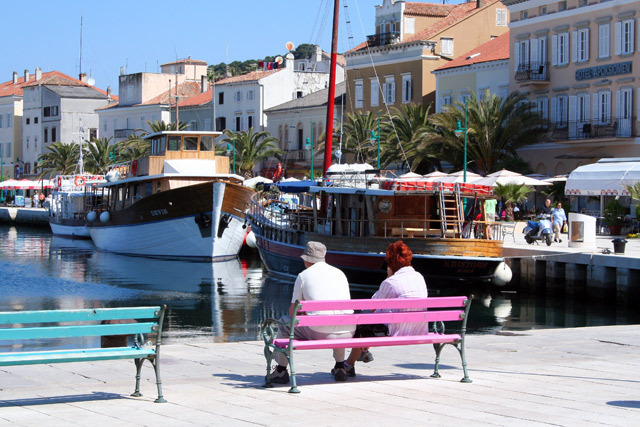 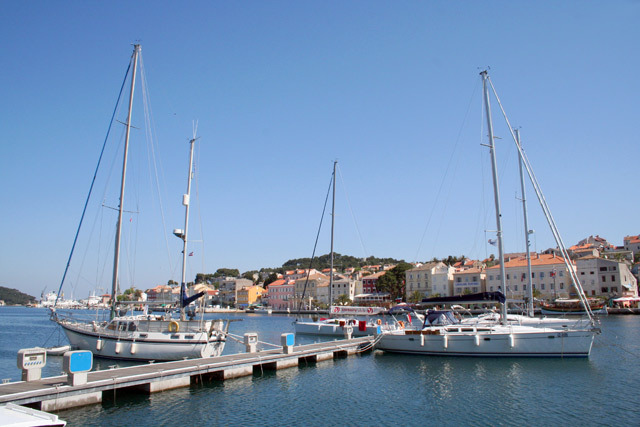 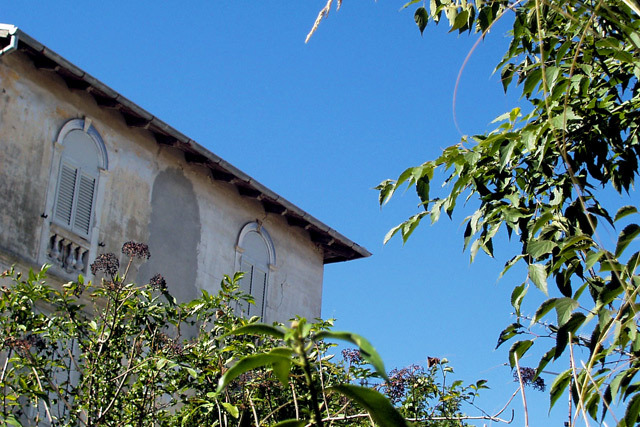 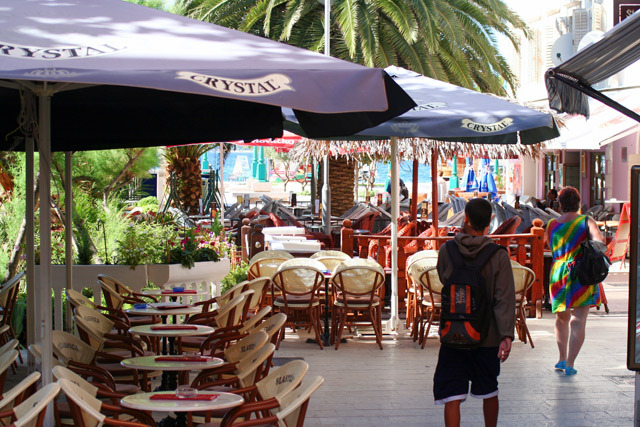 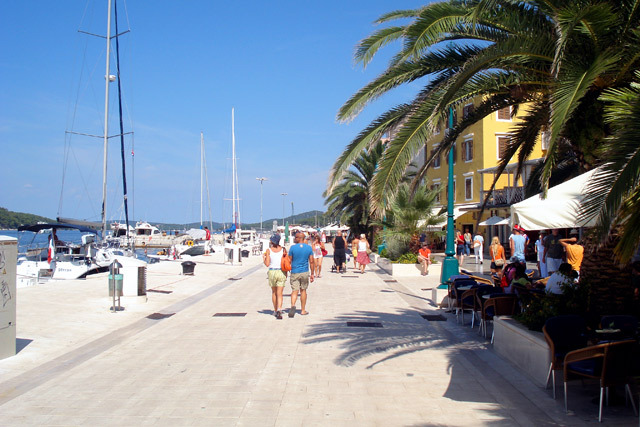 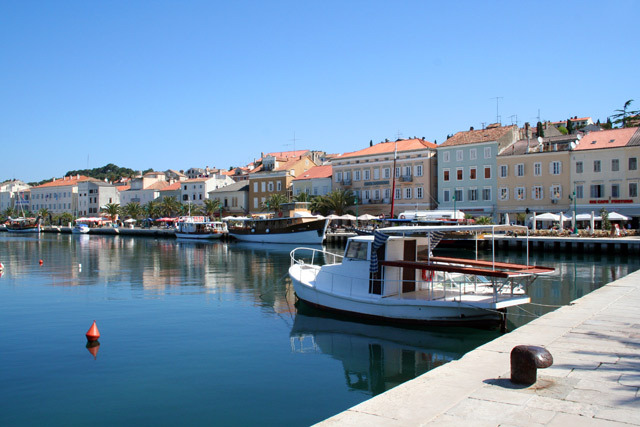 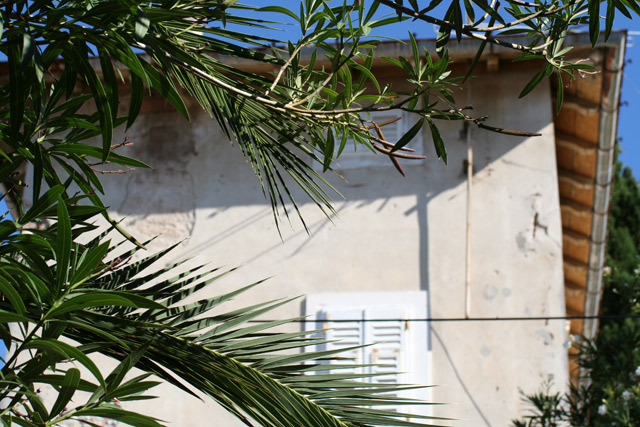 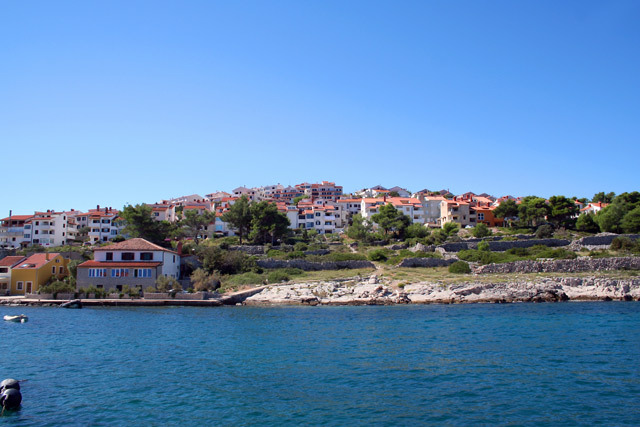 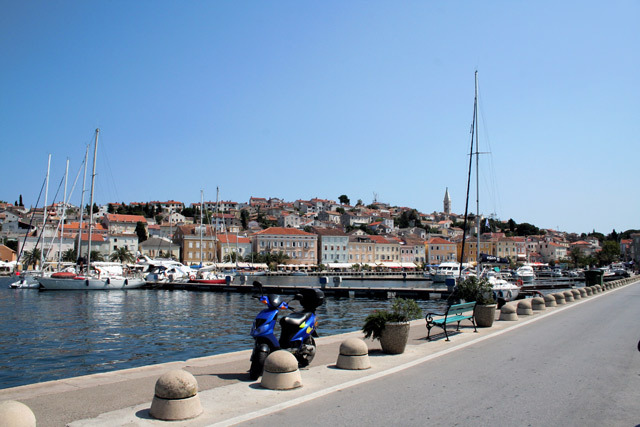 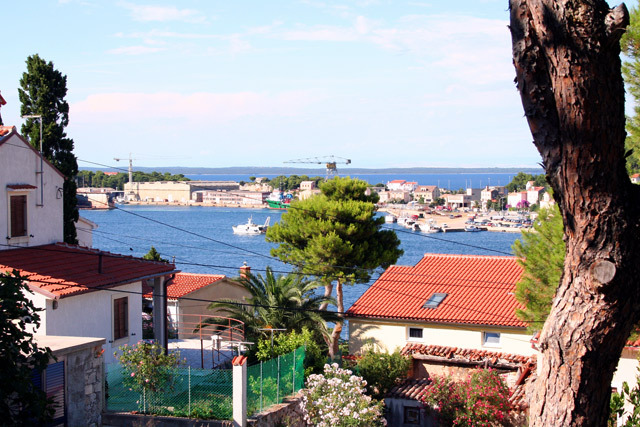 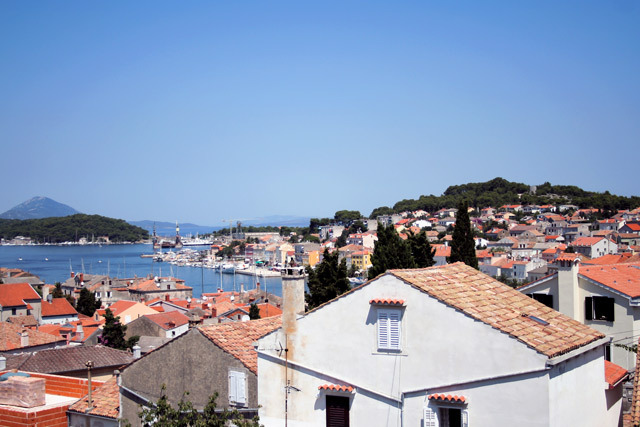 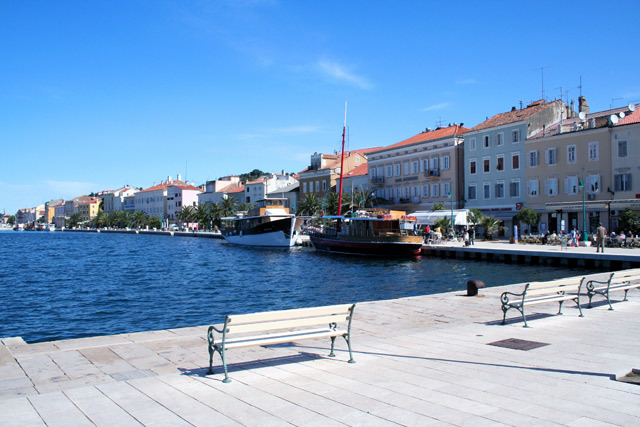 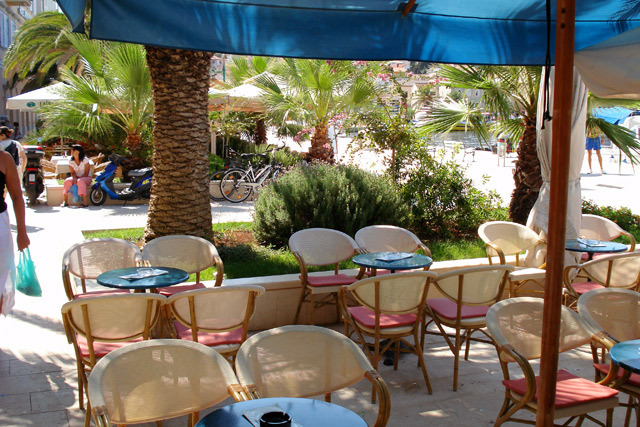 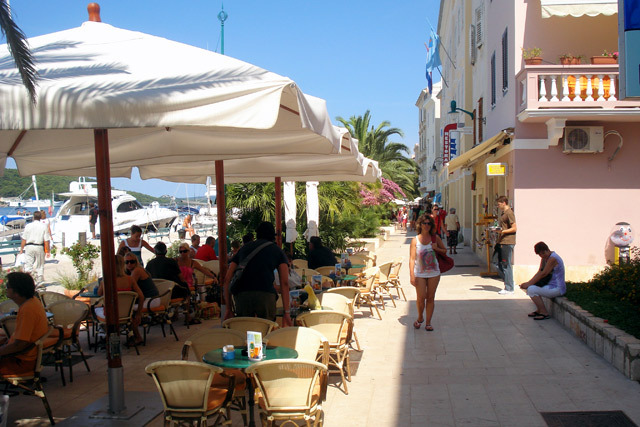 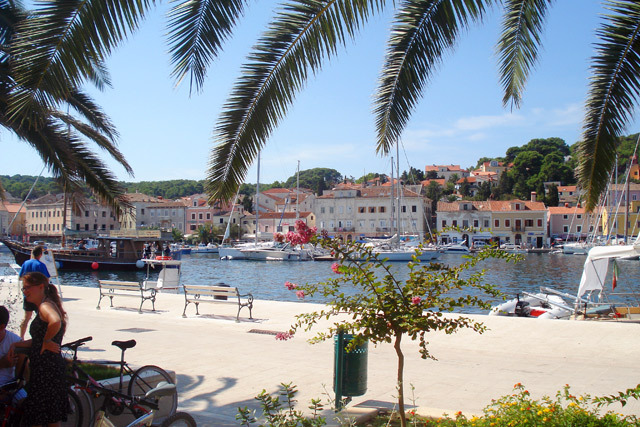 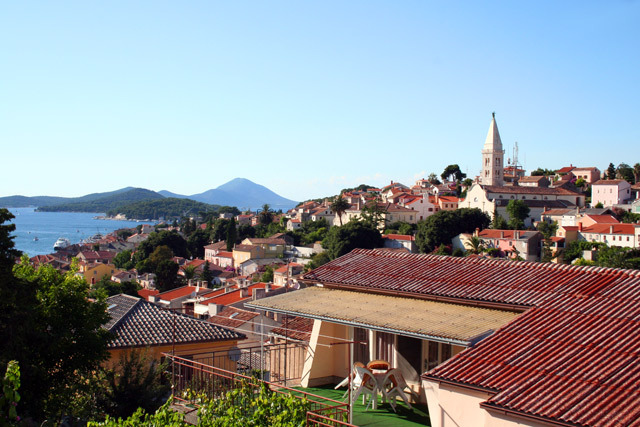 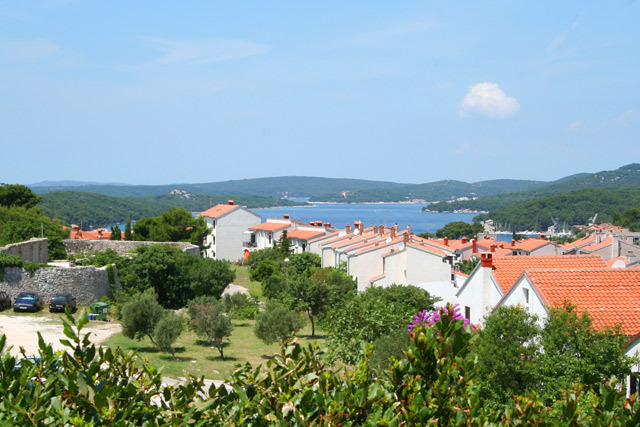 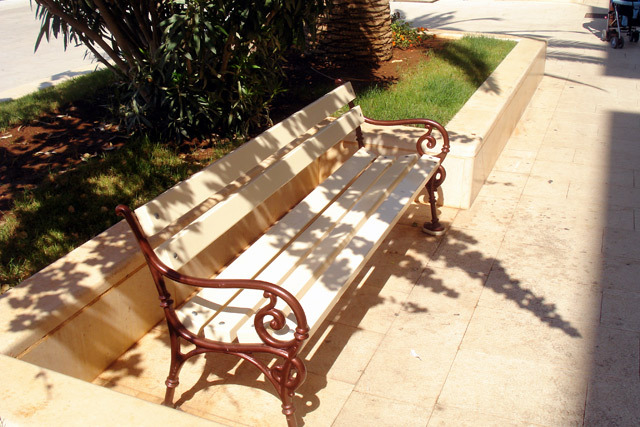 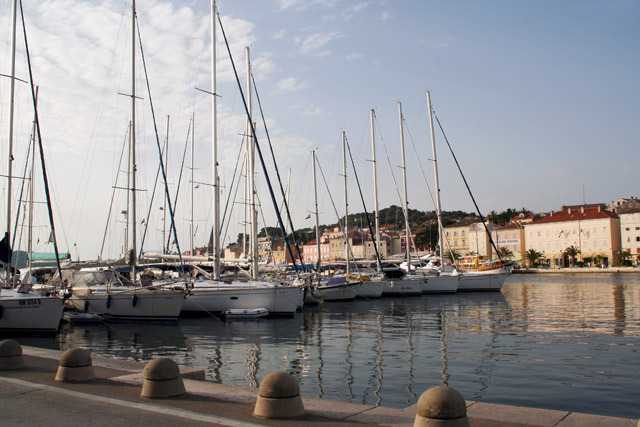 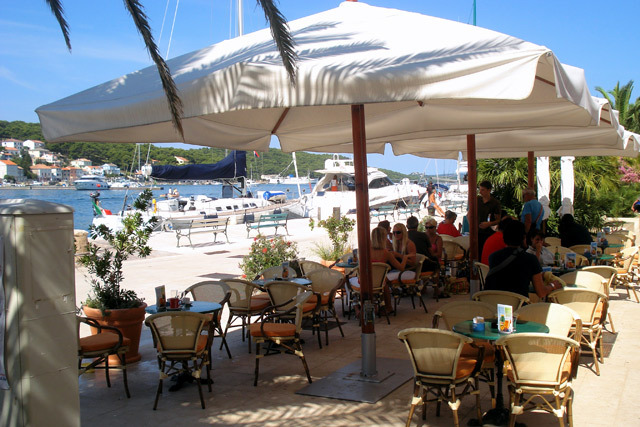 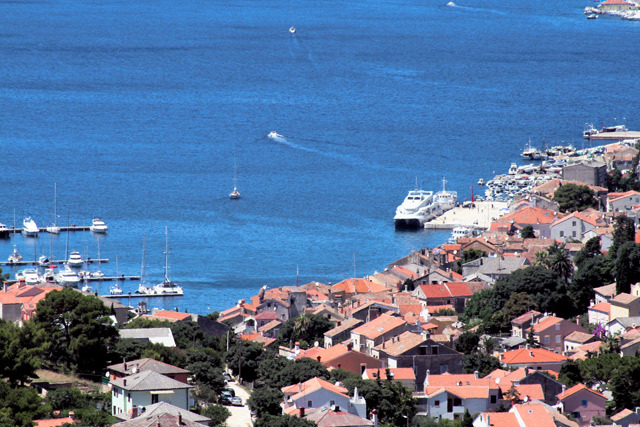 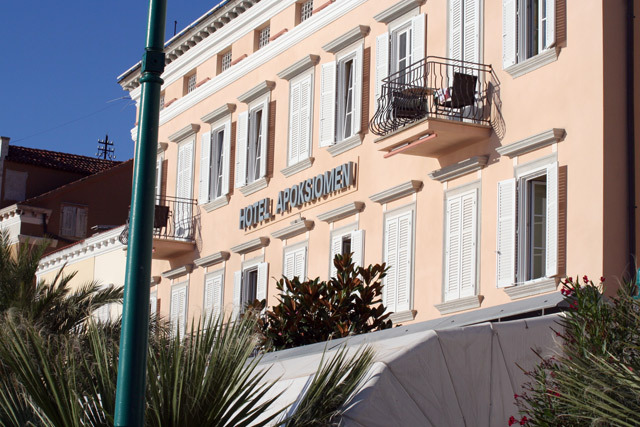 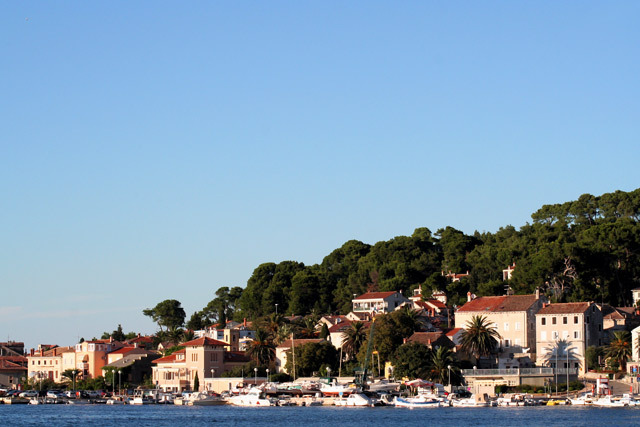 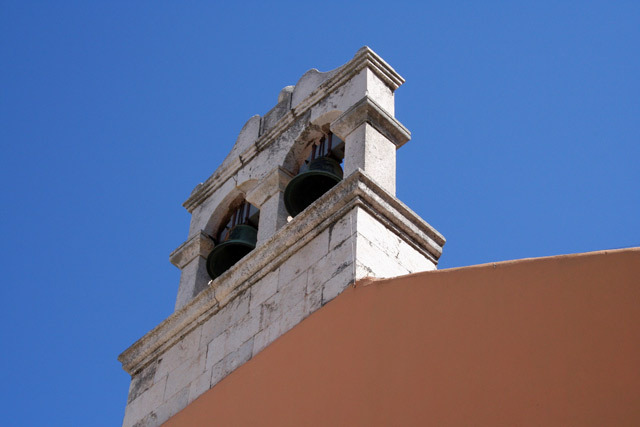 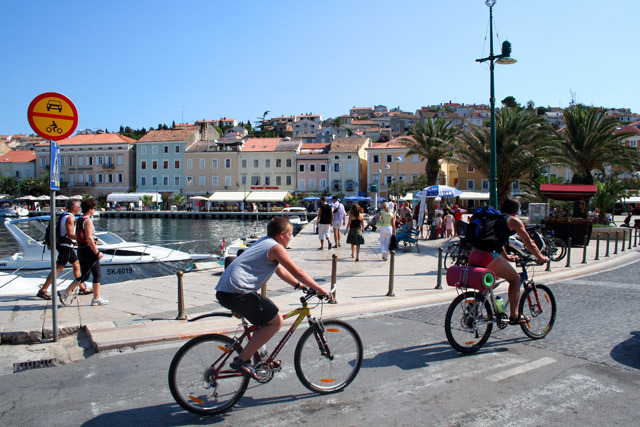 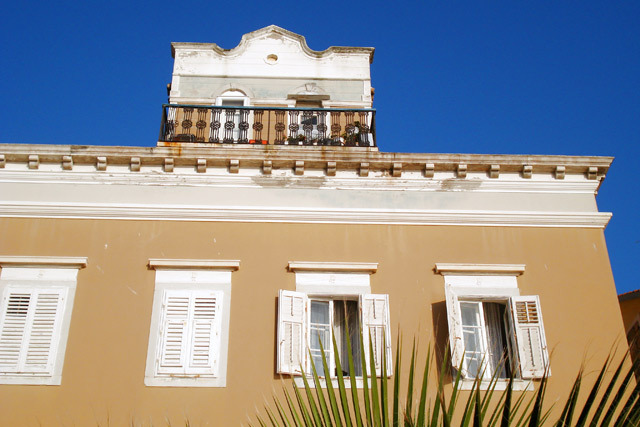 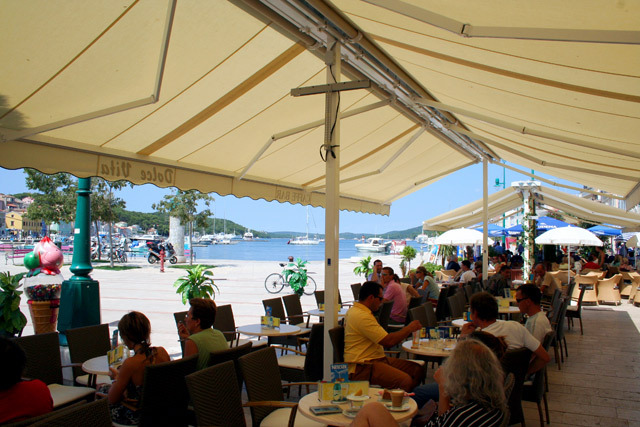 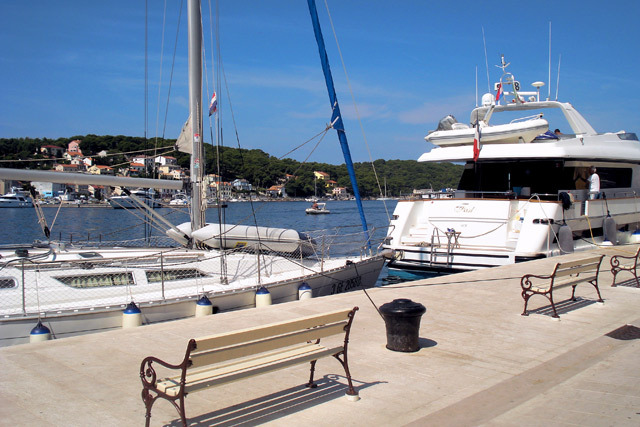 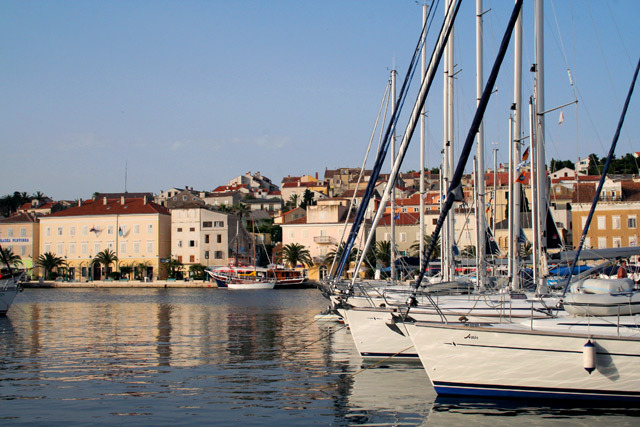 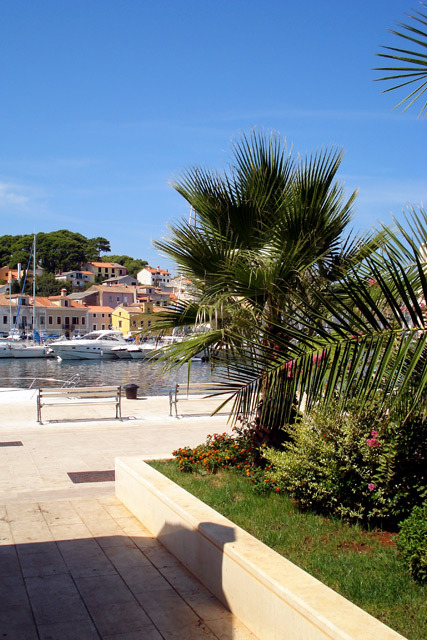 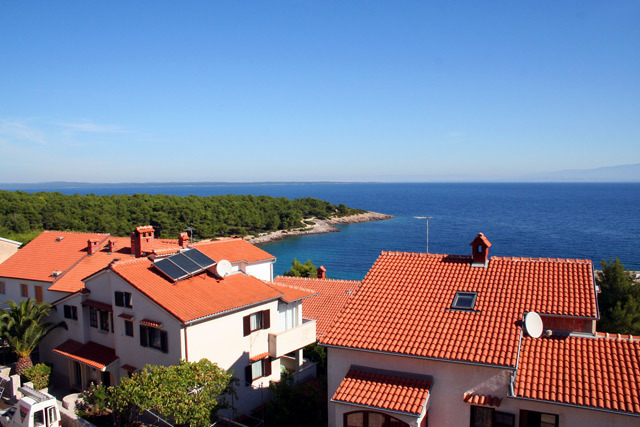 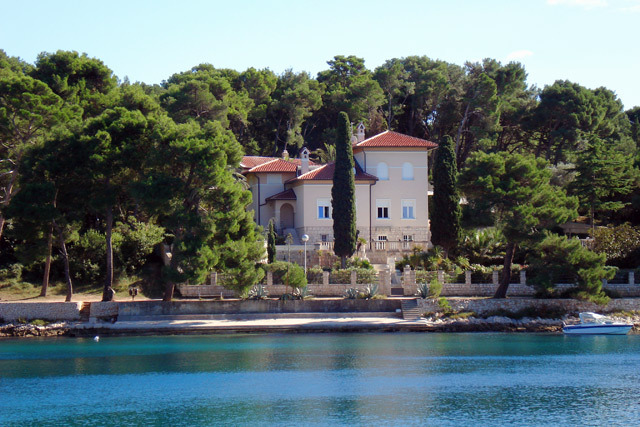 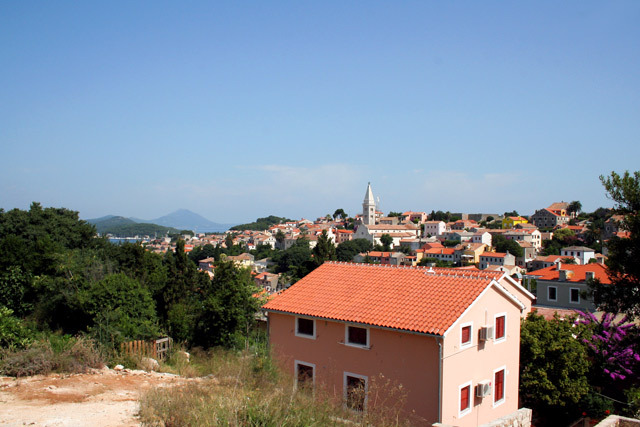 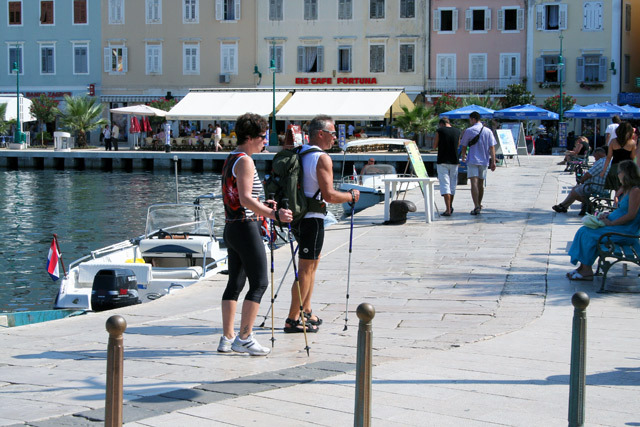 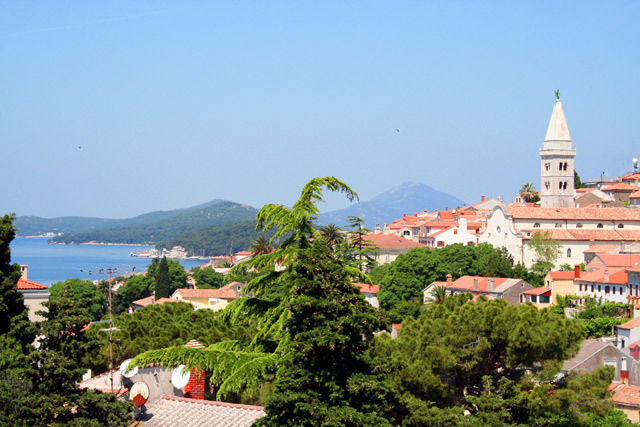 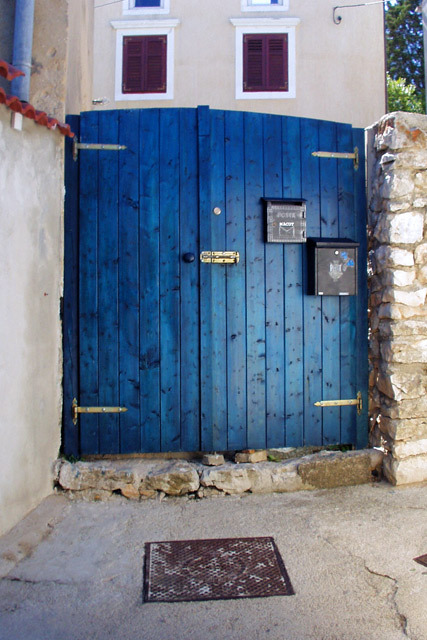 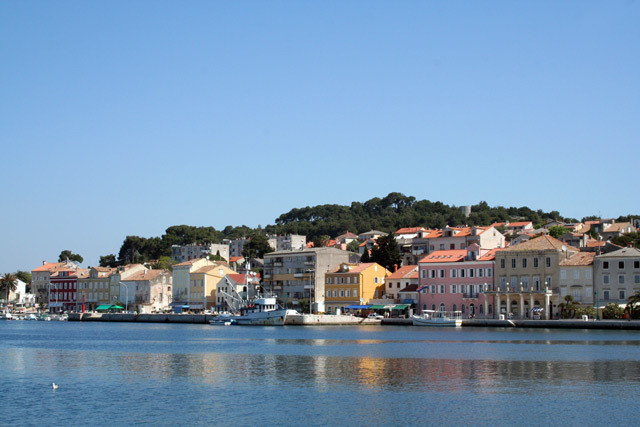 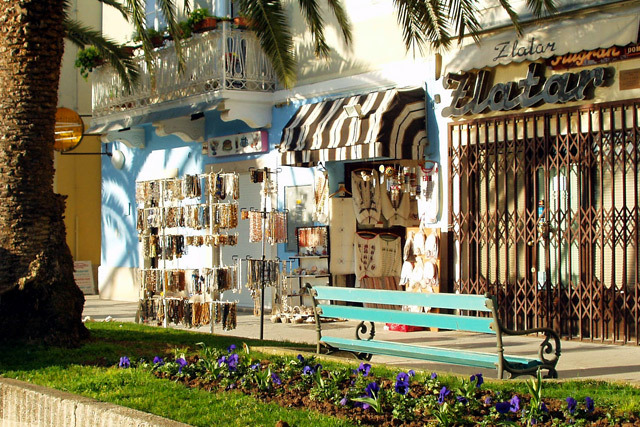 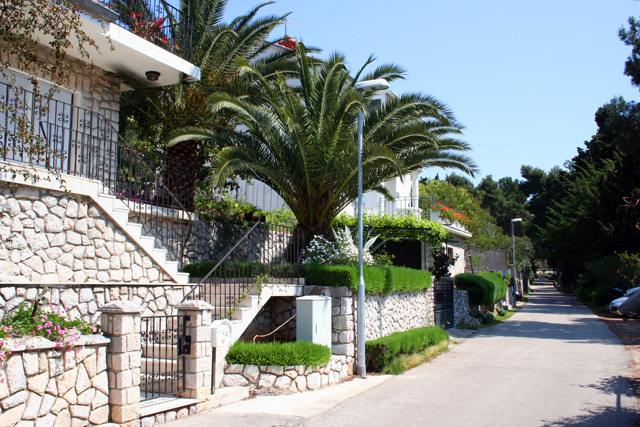 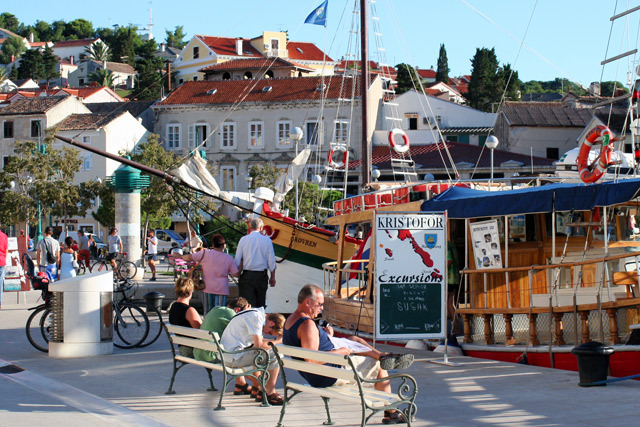 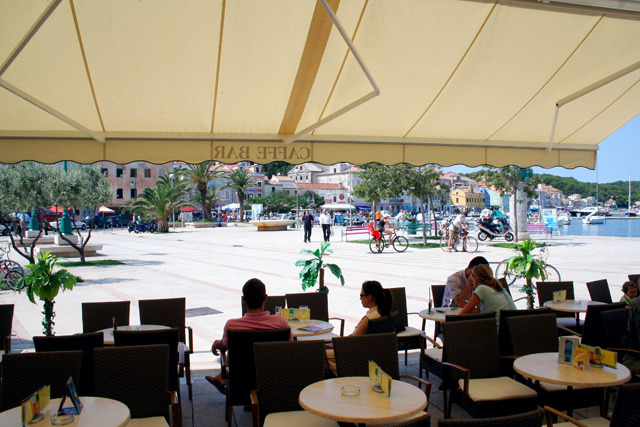 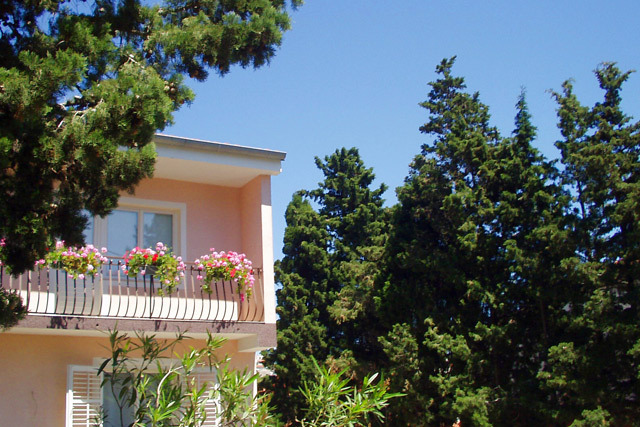 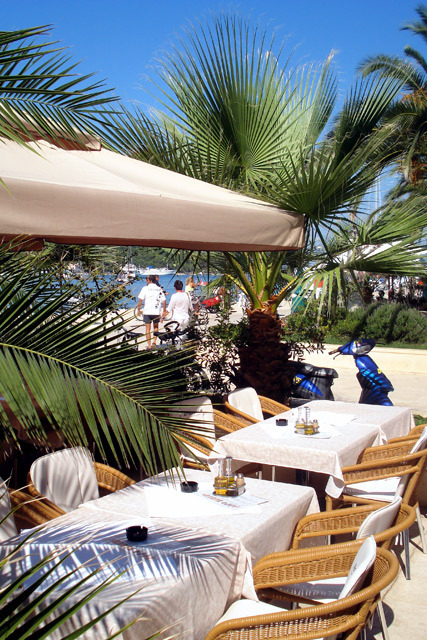 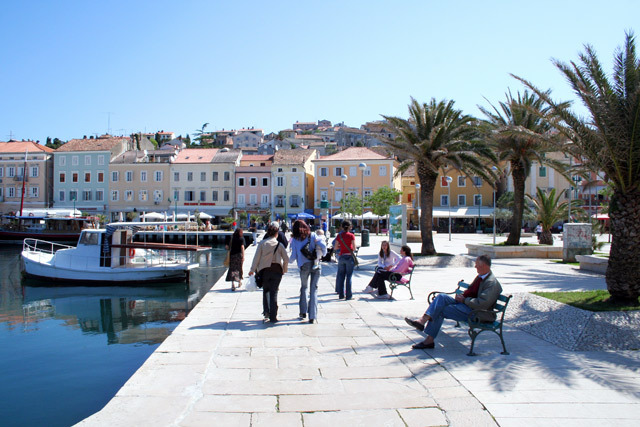 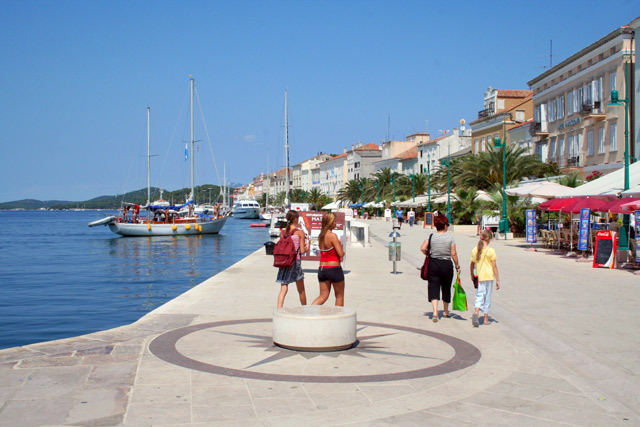 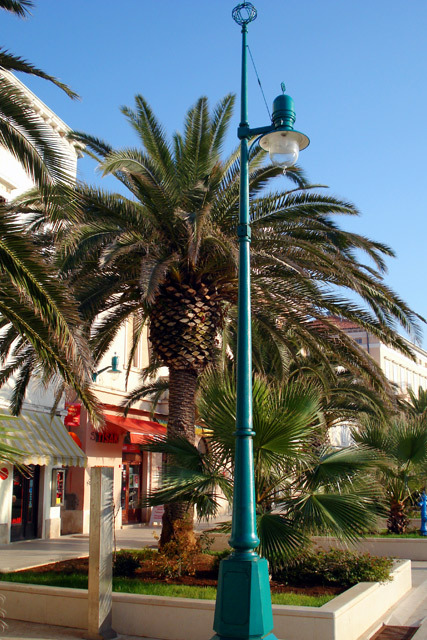 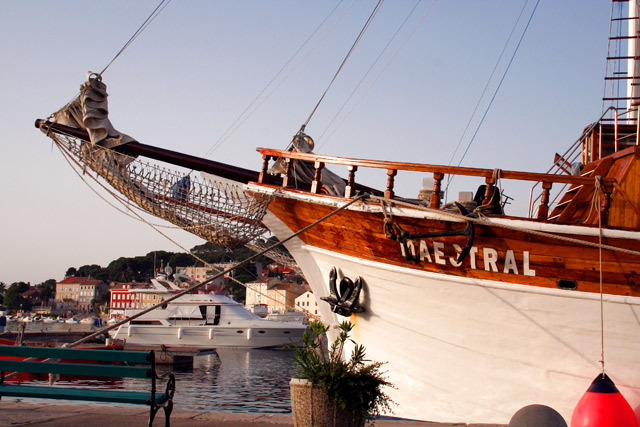 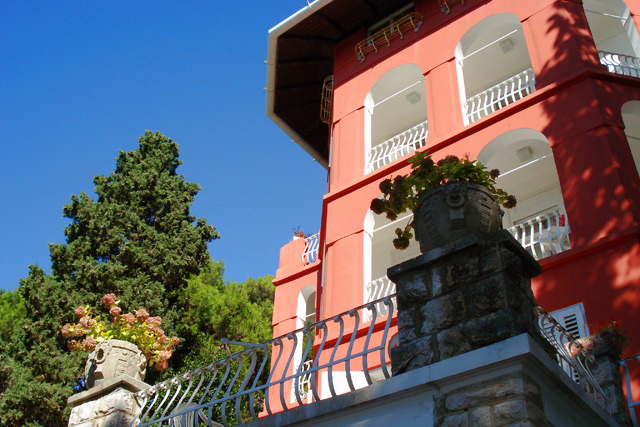 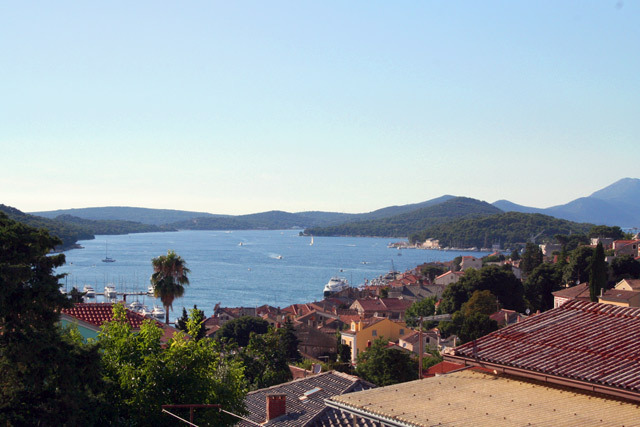 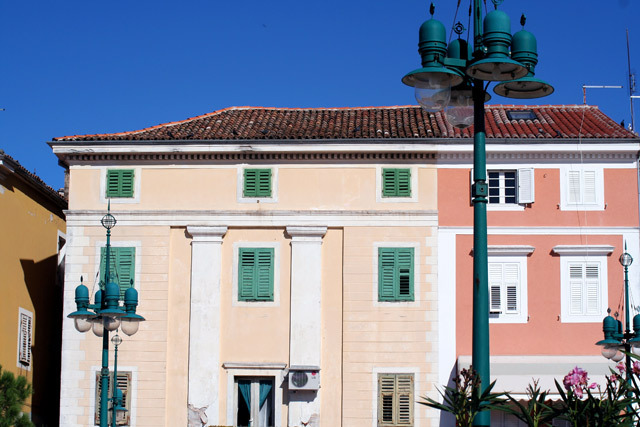 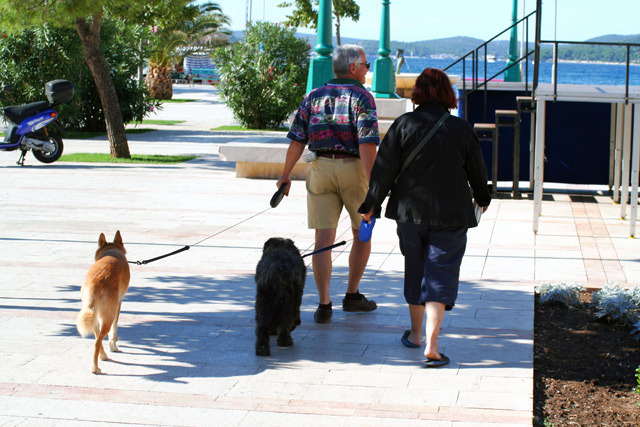 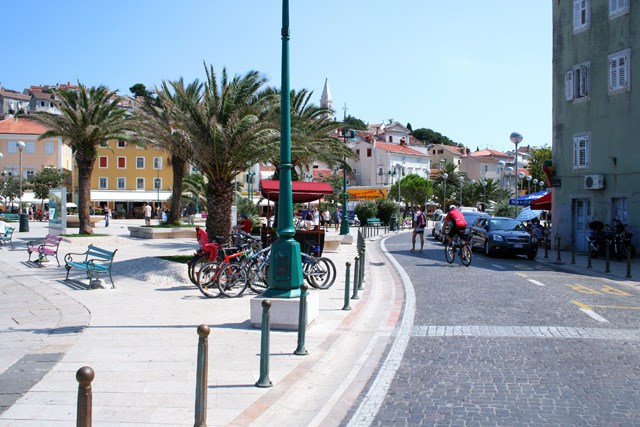 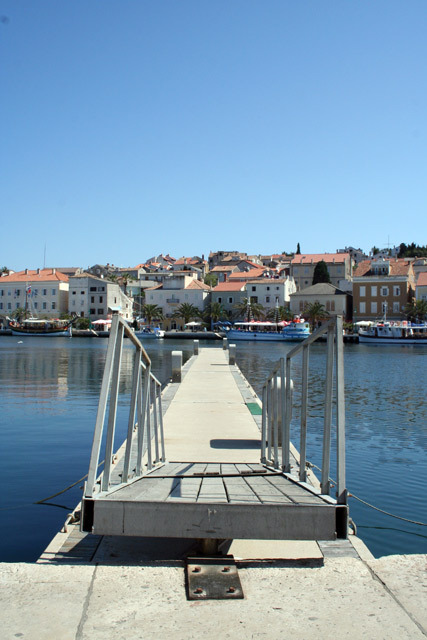 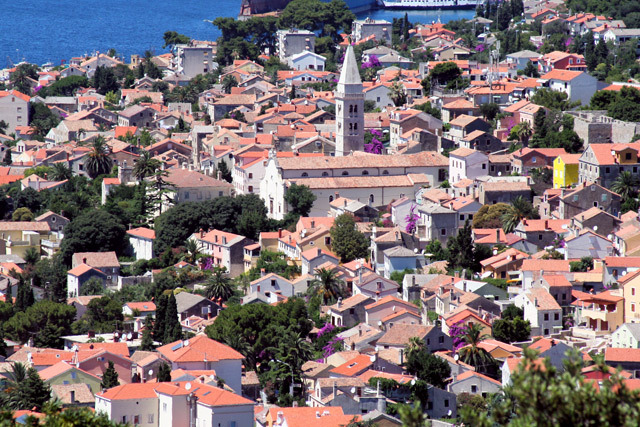 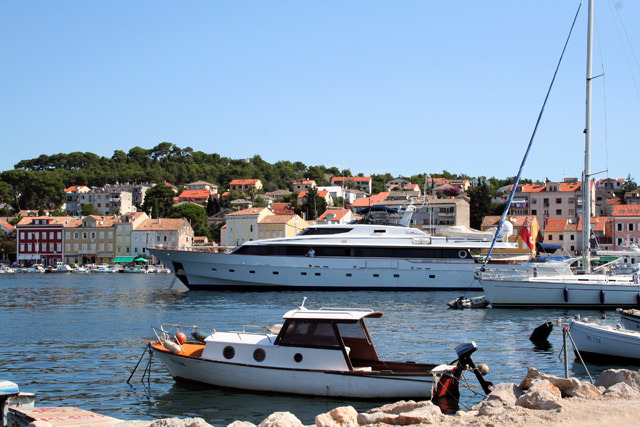 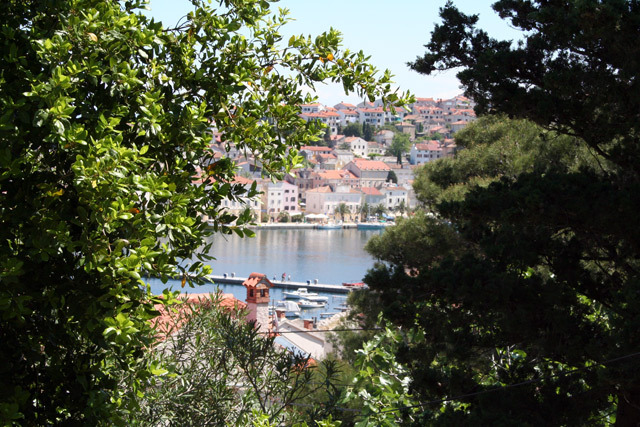 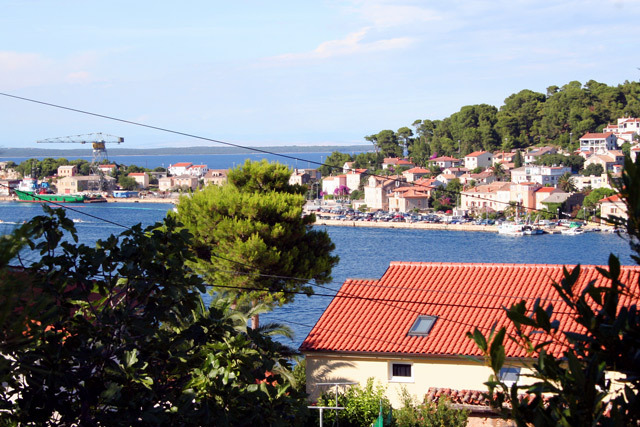 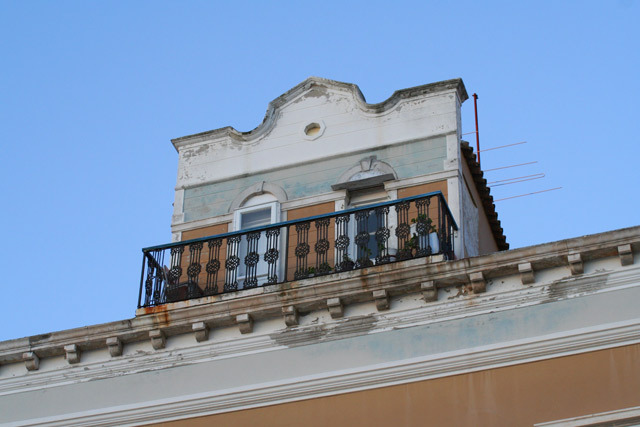 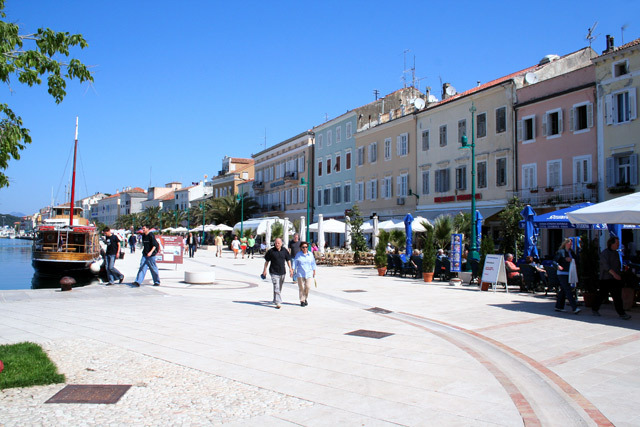 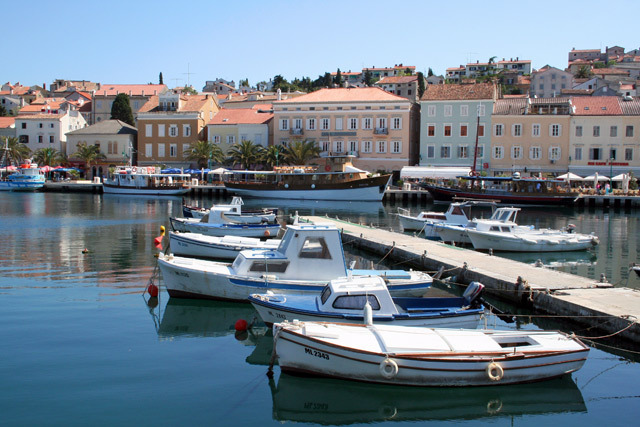 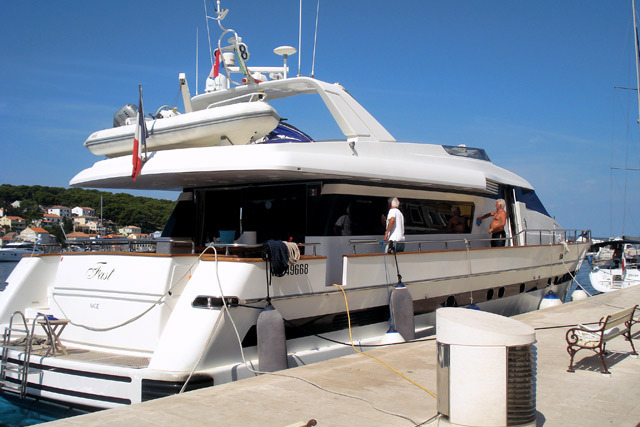 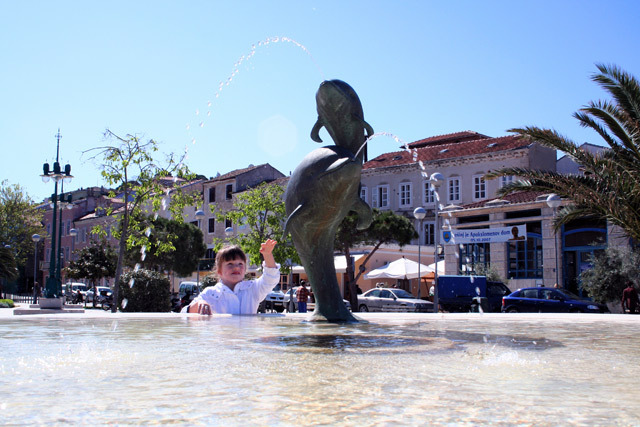 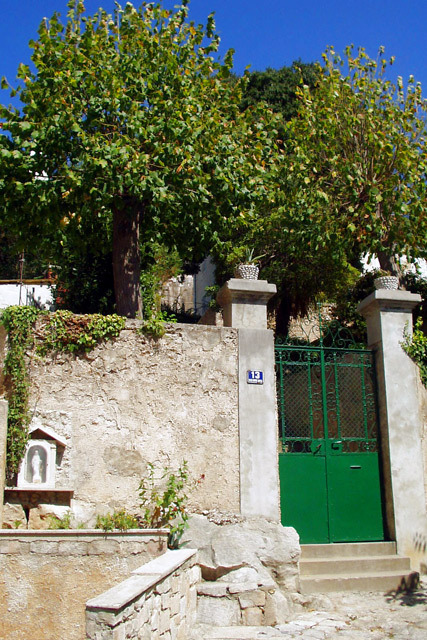 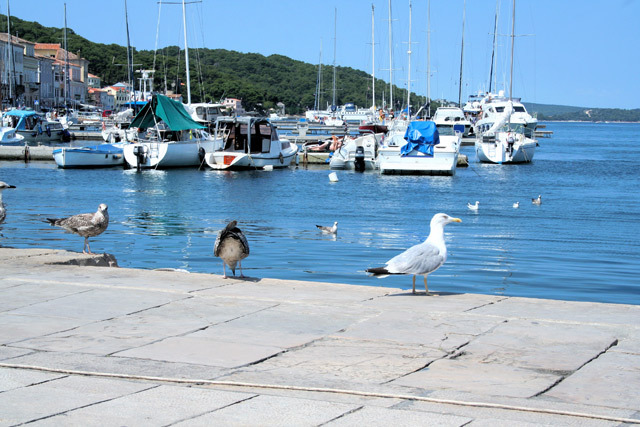 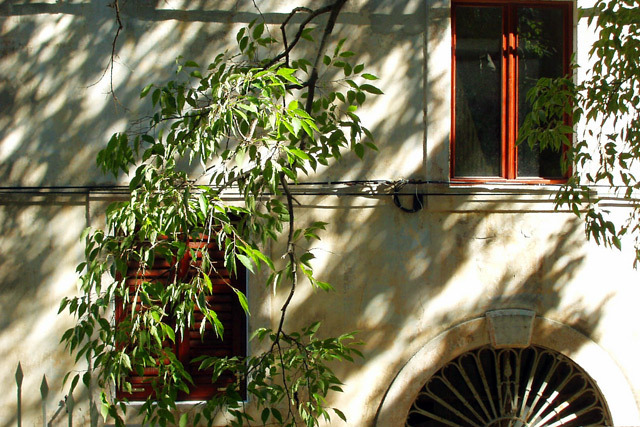 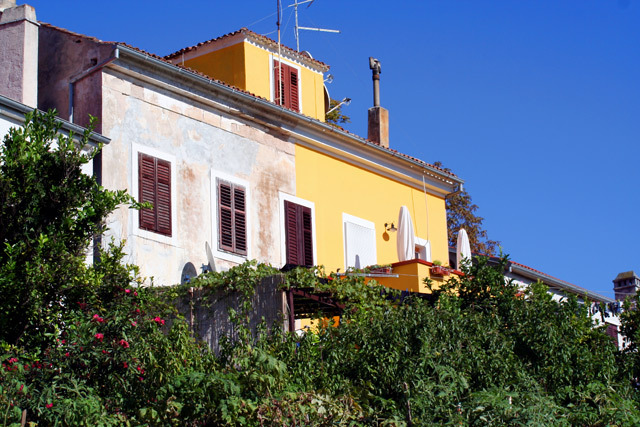 Mali Losinj offers to his visitors all they need for a comfortable stay and rest. 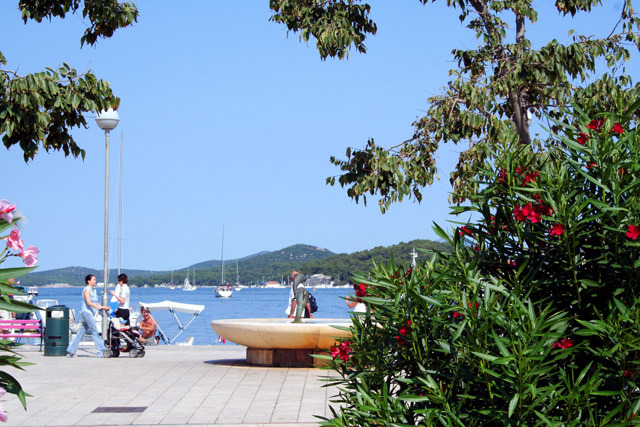 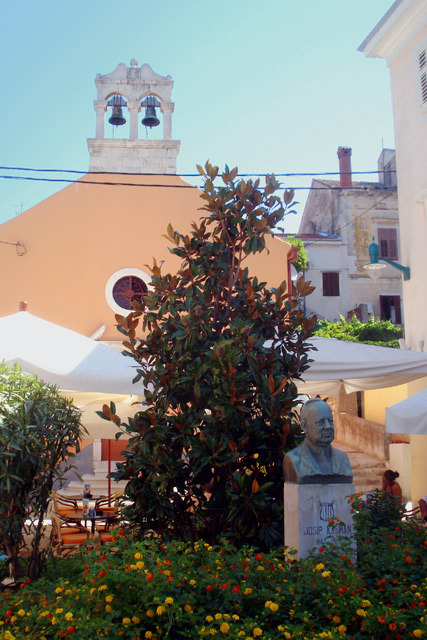 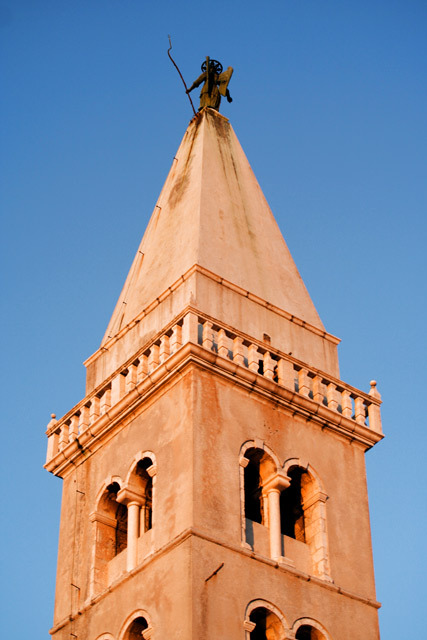 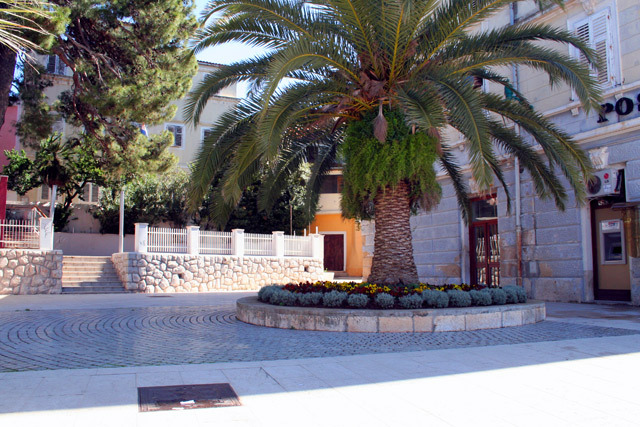 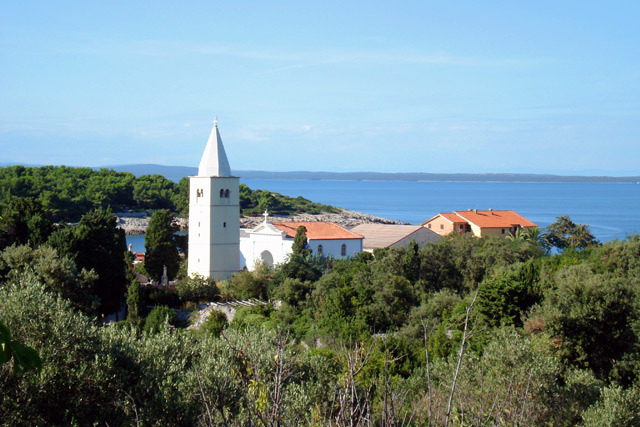 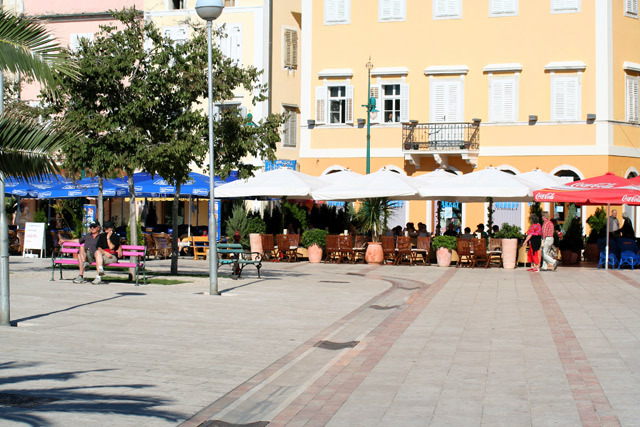 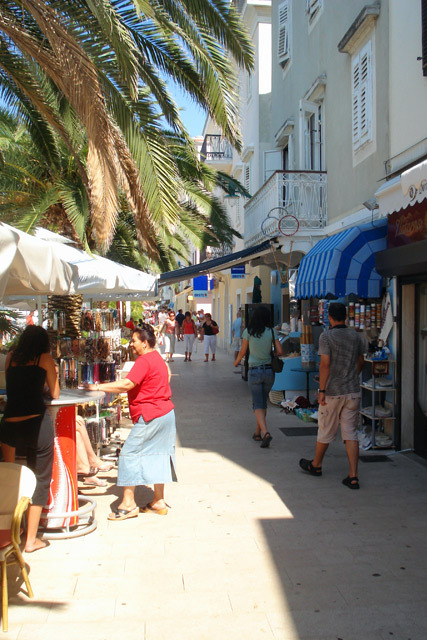 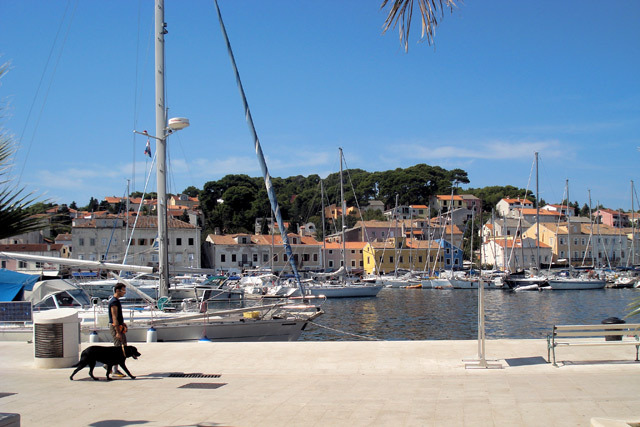 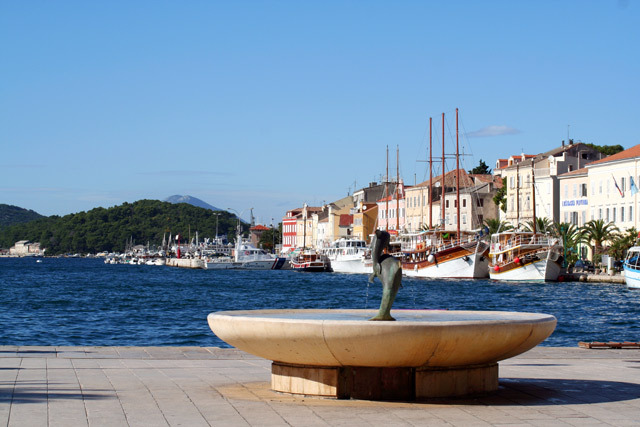 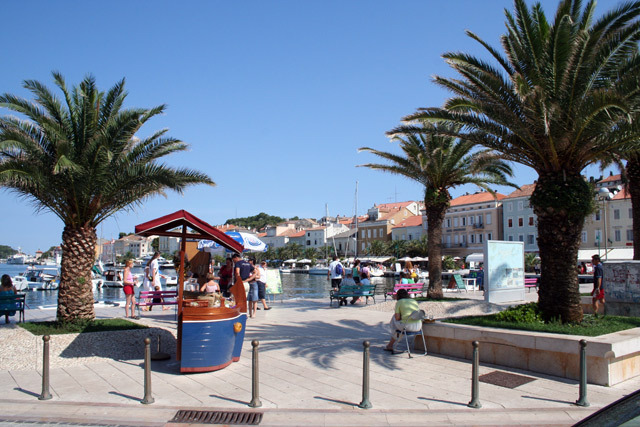 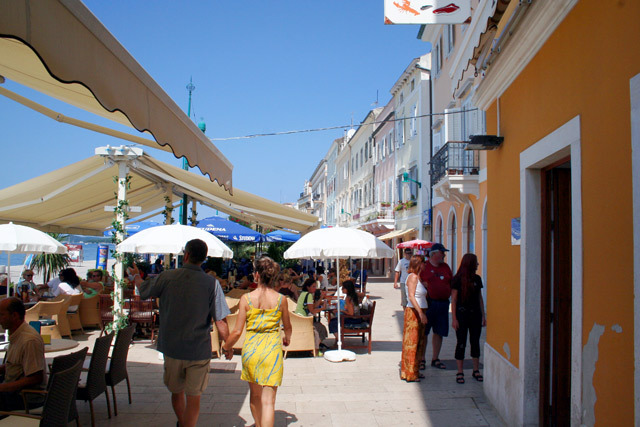 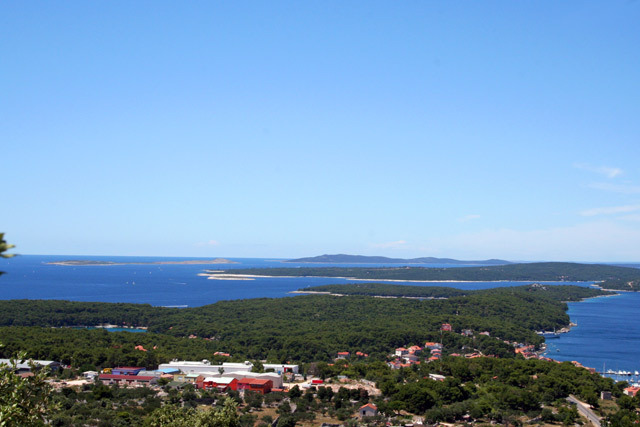 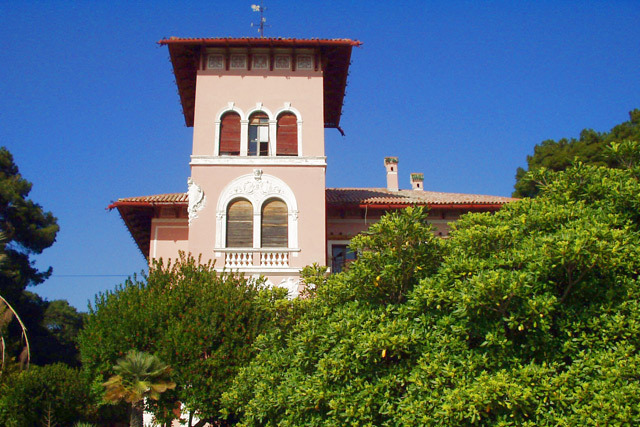 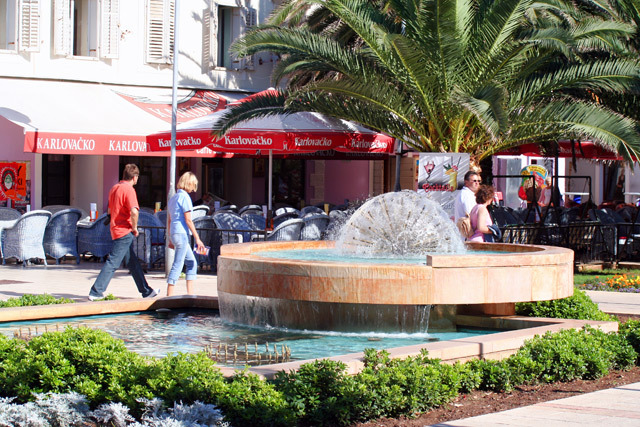 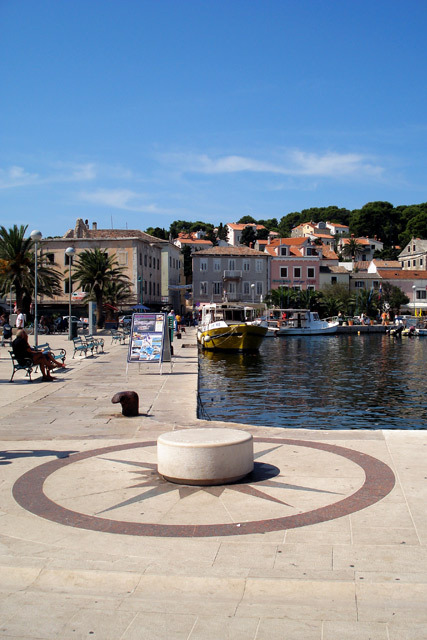 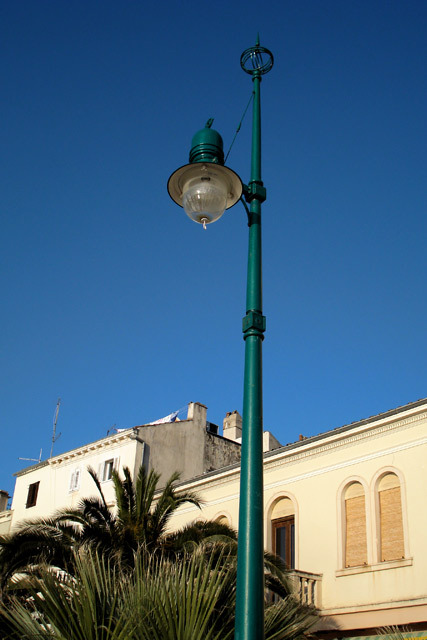 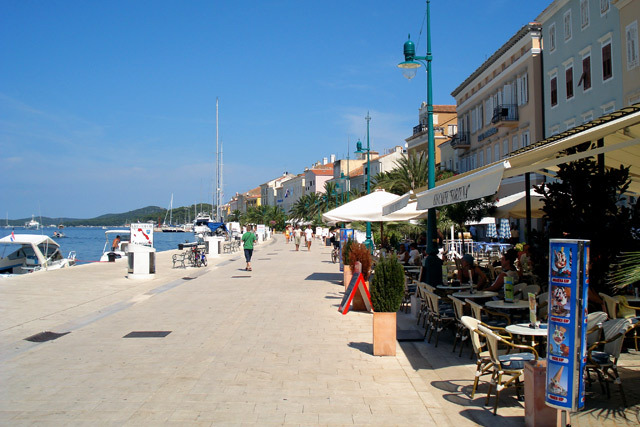 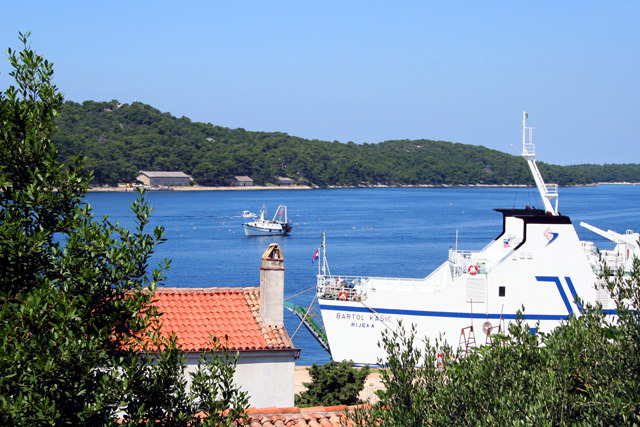 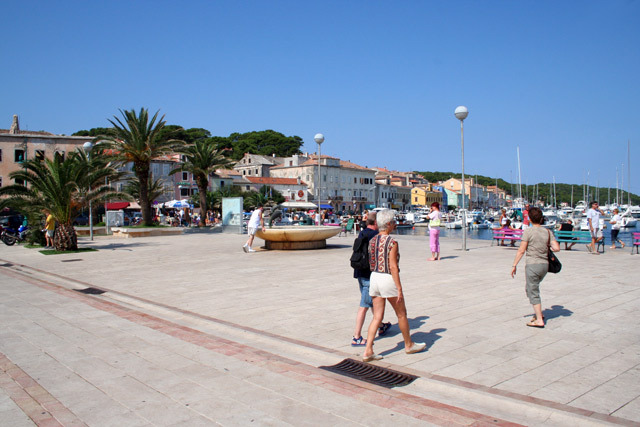 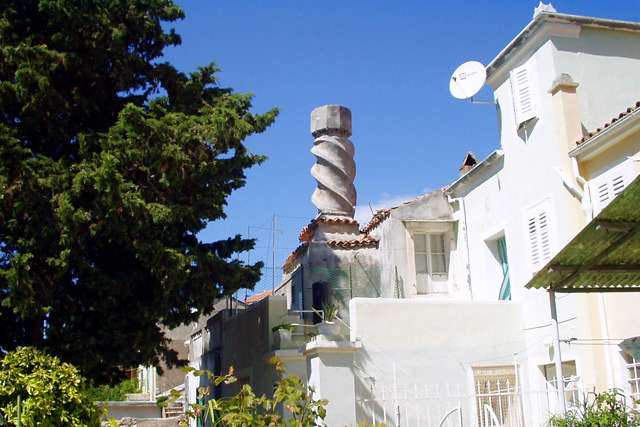 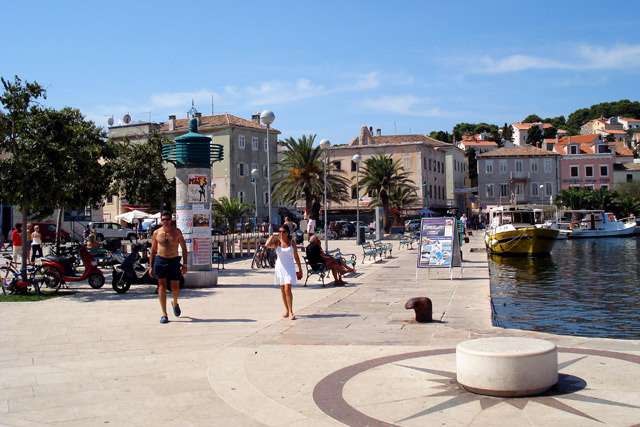 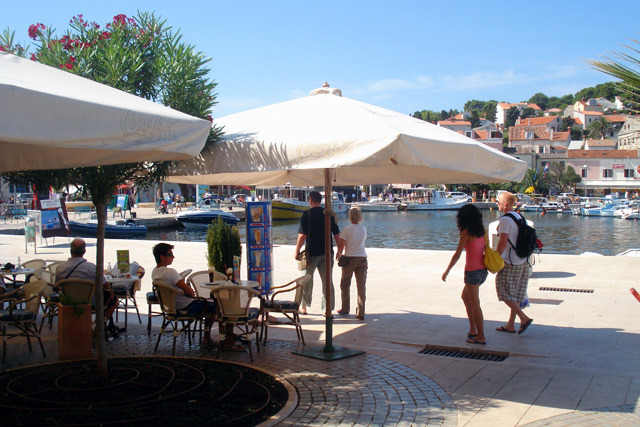 Today, Mali Losinj is the island's tourist centre. 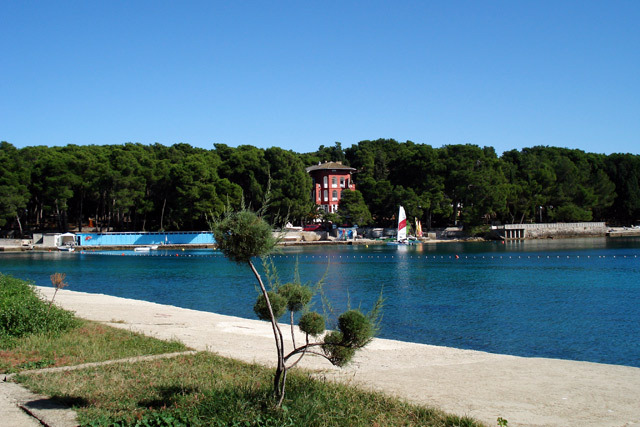 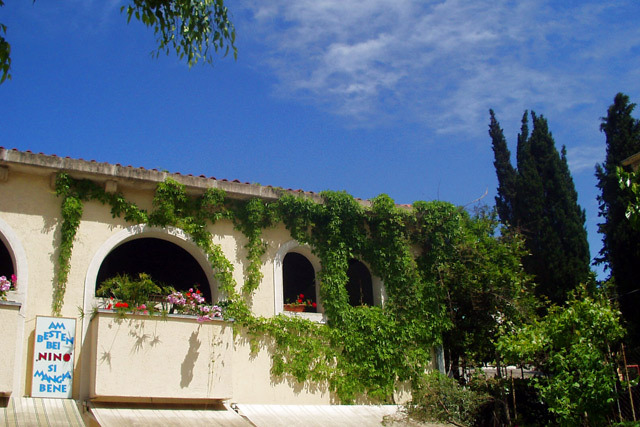 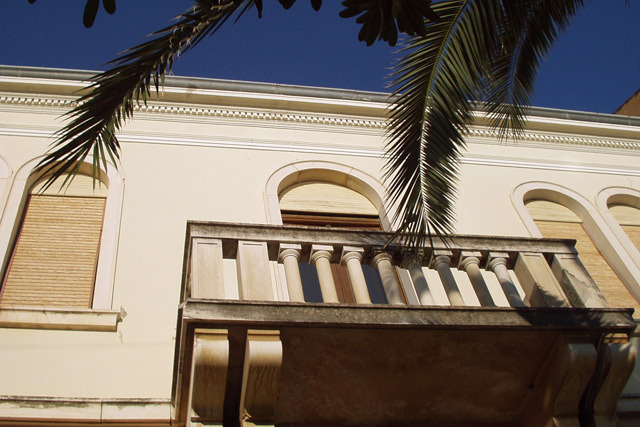 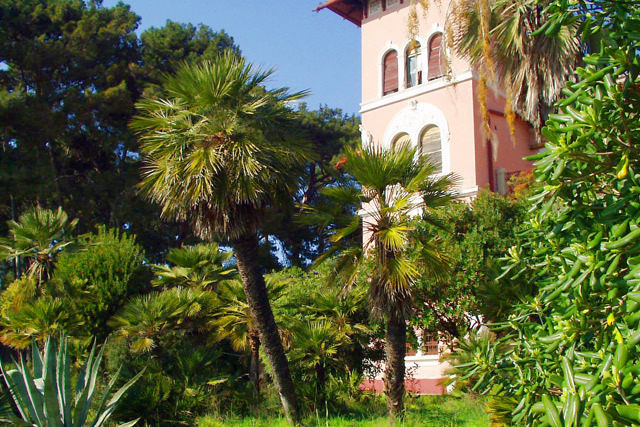 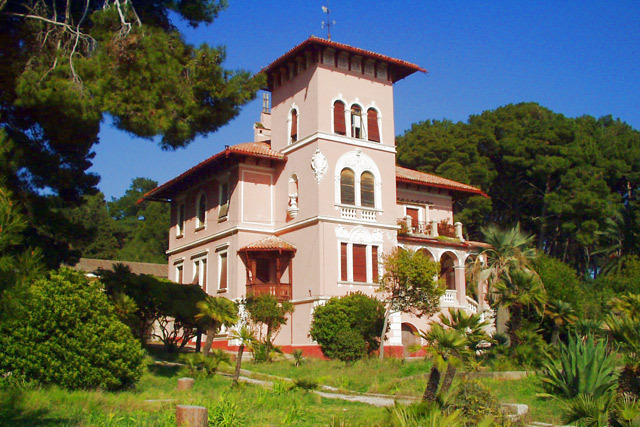 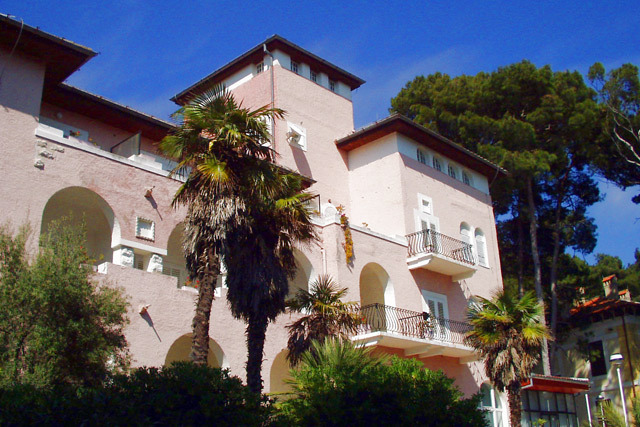 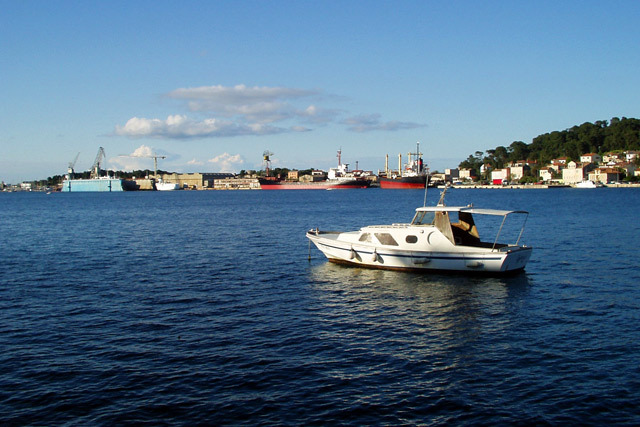 It offers a diverse, top-quality accommodation (hotels, boarding-houses, apartments, camps), sport and recreation facilities (sailing course, diving course, surfing, sport fishing, tennis, mini golf, bowling), specialties of domestic and international cuisine, and many cultural events, walks, ship trips and visits. 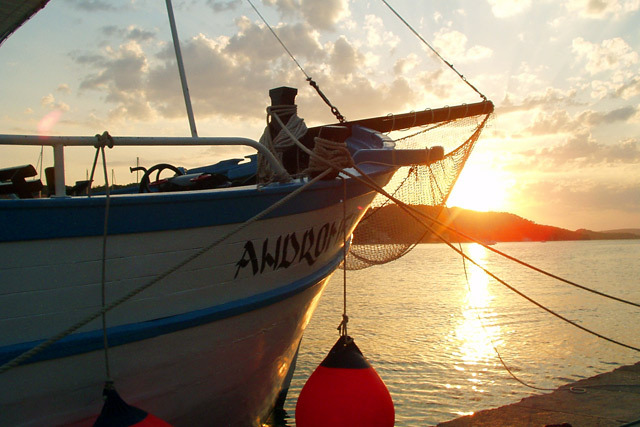 Photographs are protected by authorship rights. 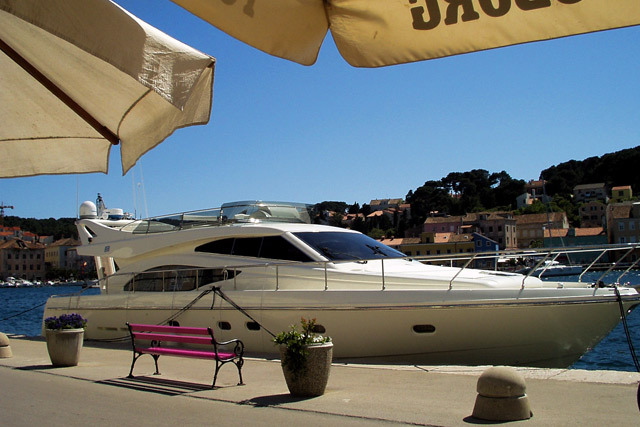 It is forbidden to publish them or use them for commercial purposes without prior consent of the author.